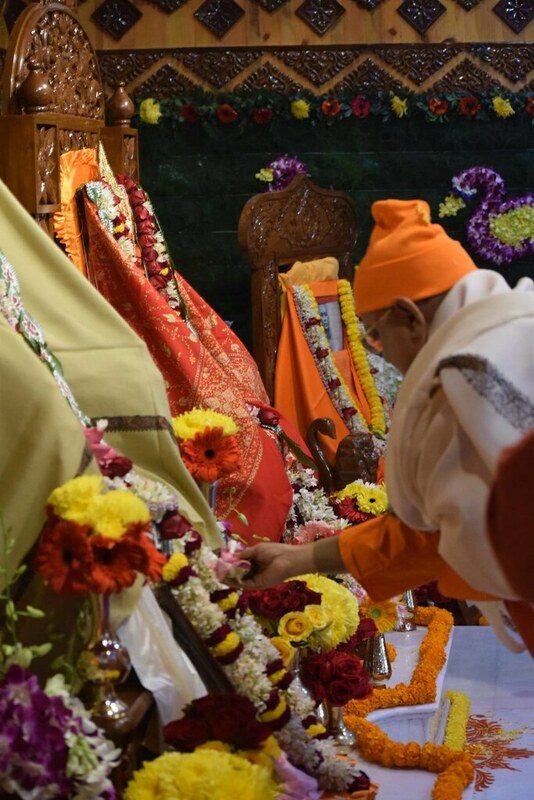 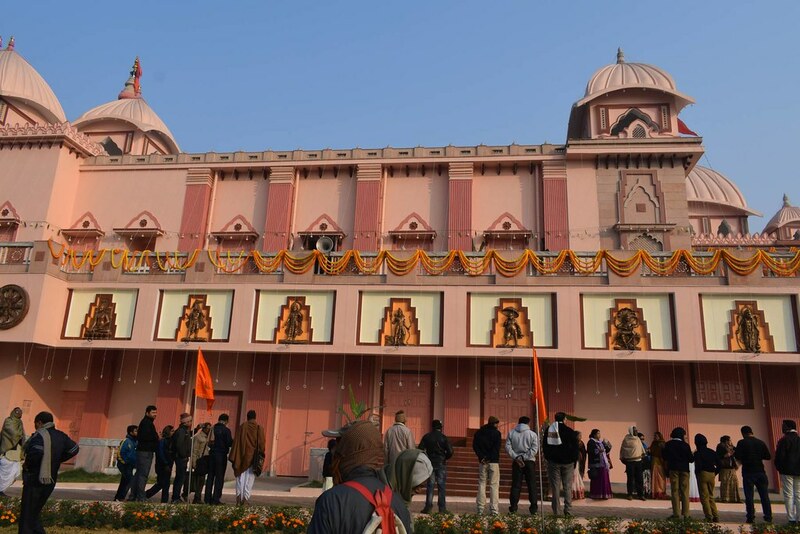 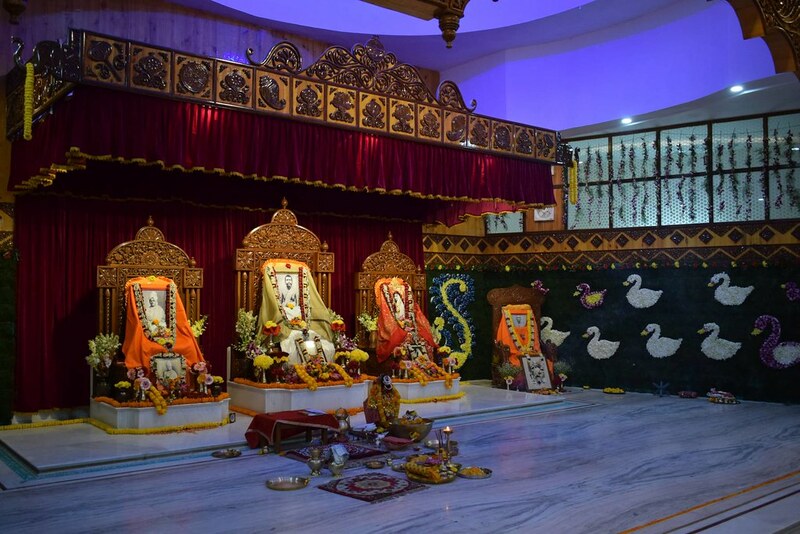 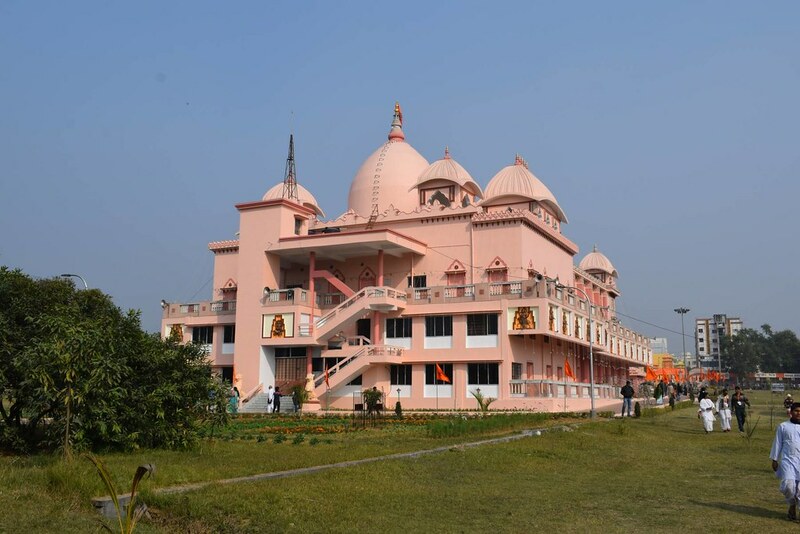 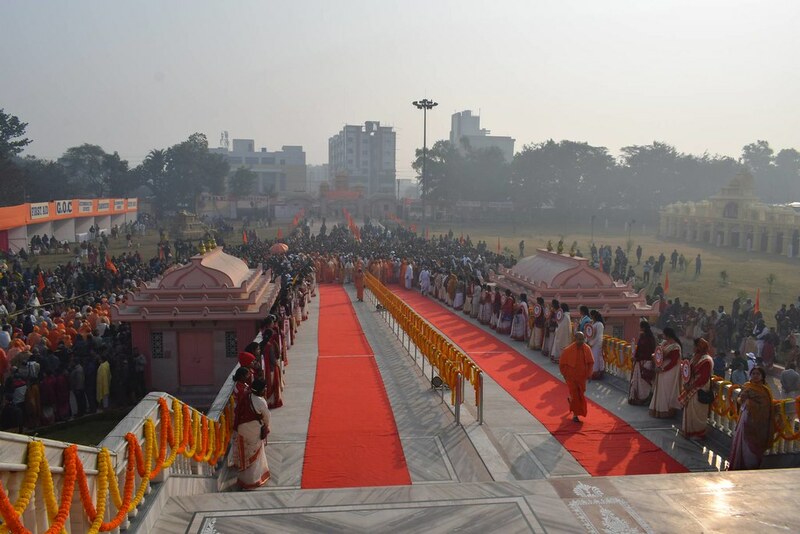 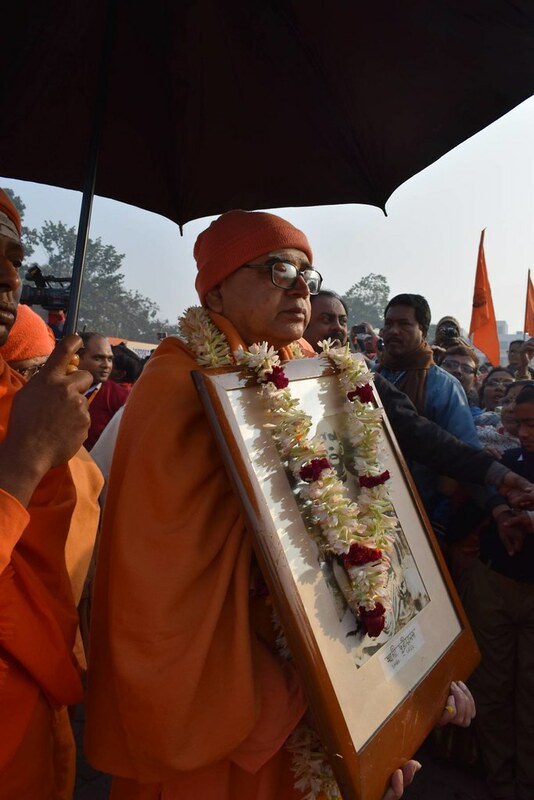 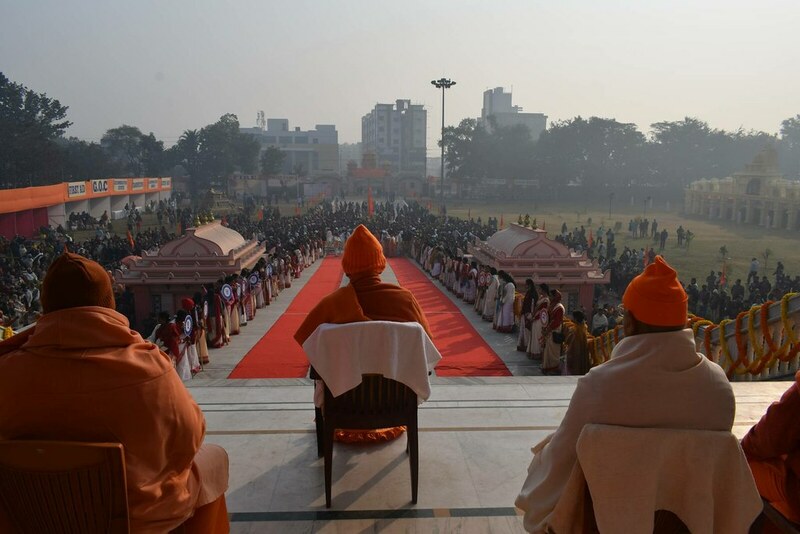 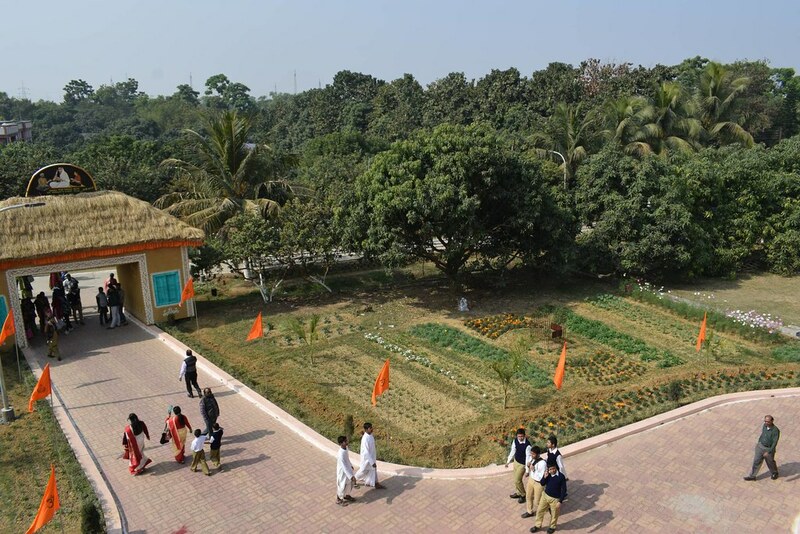 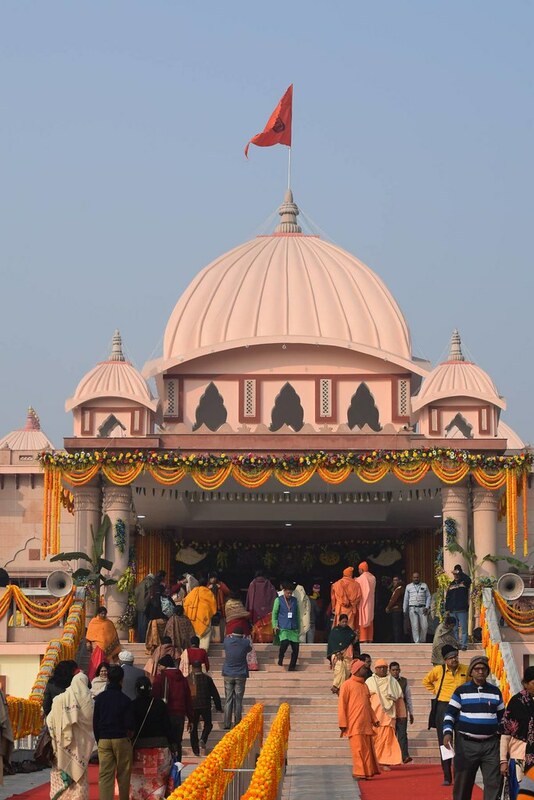 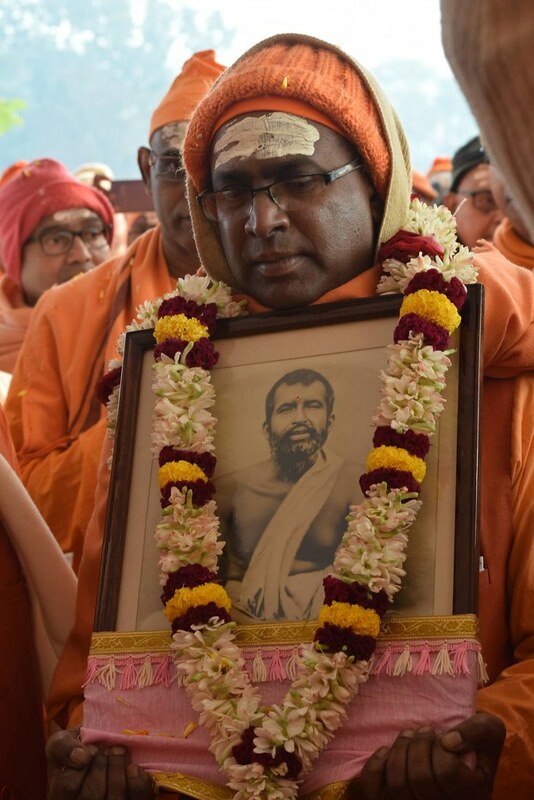 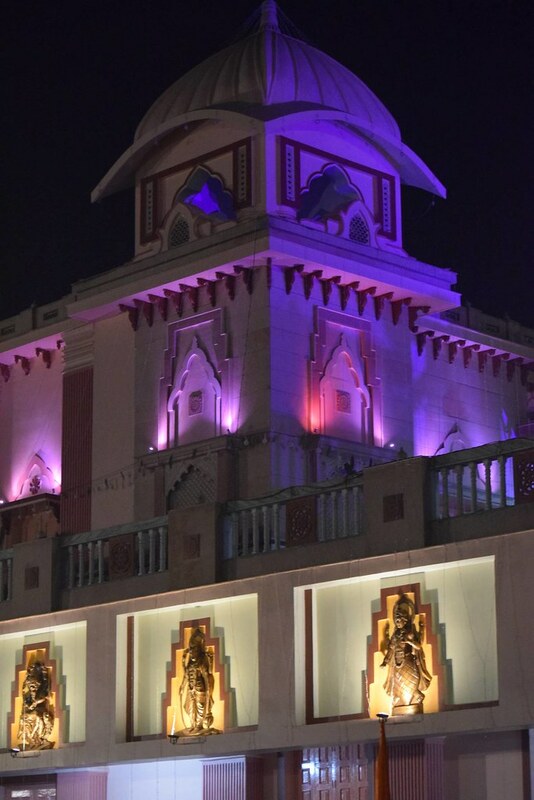 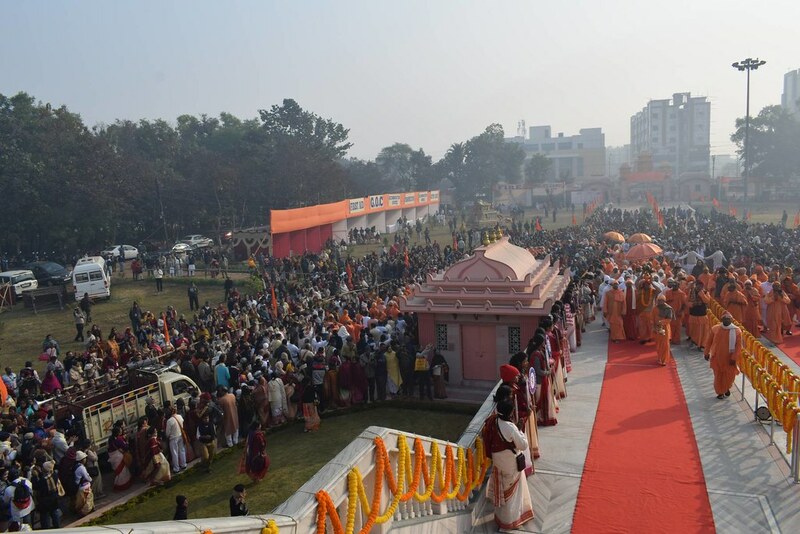 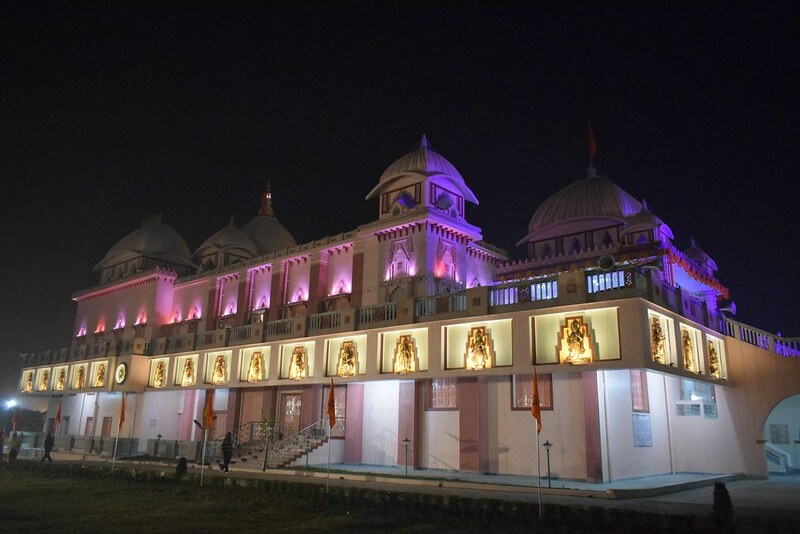 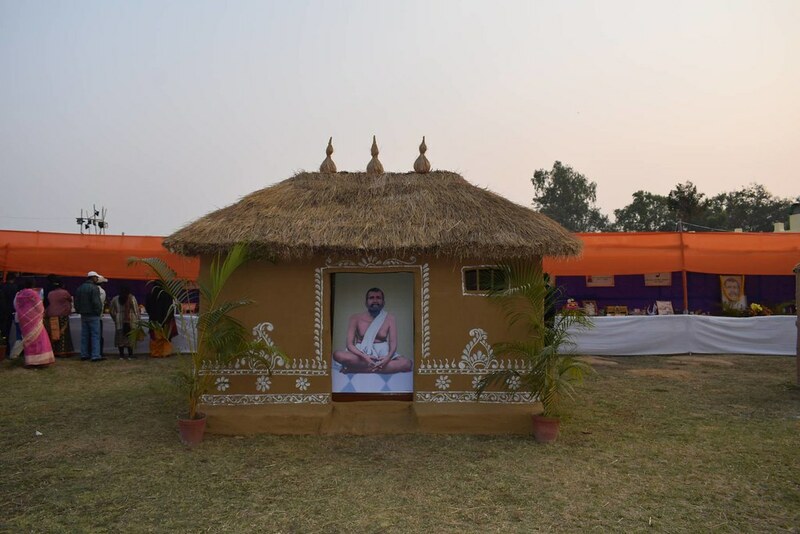 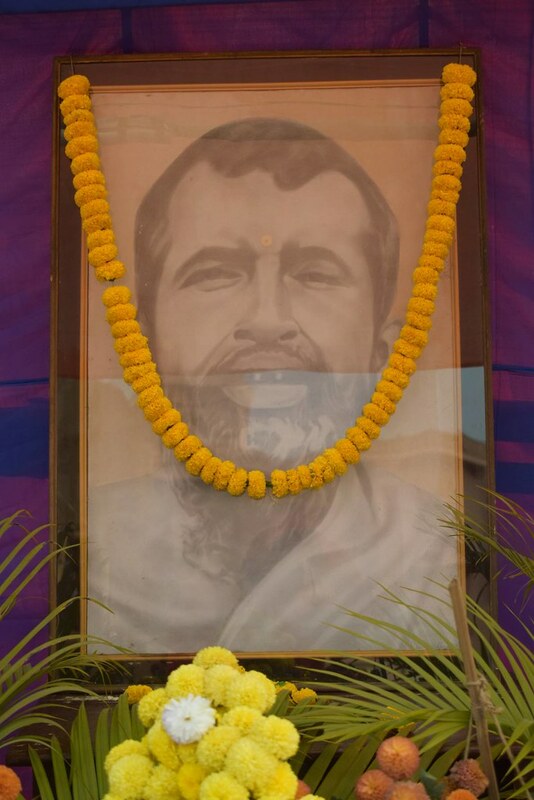 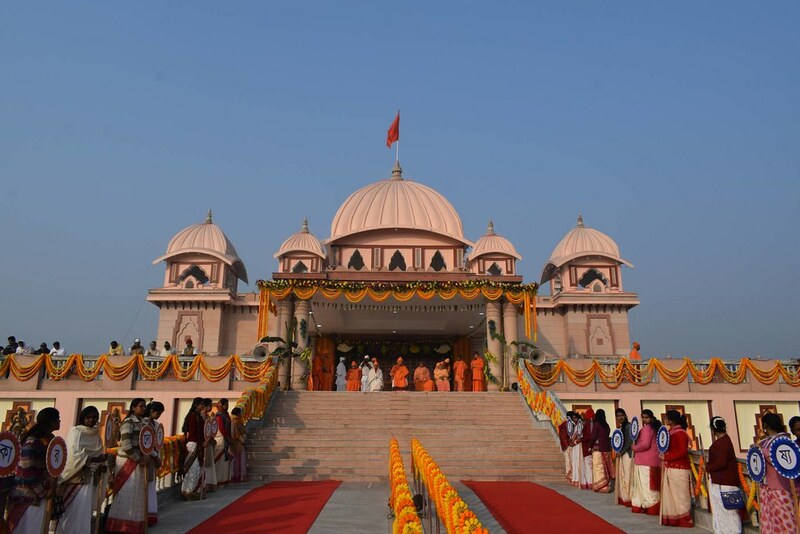 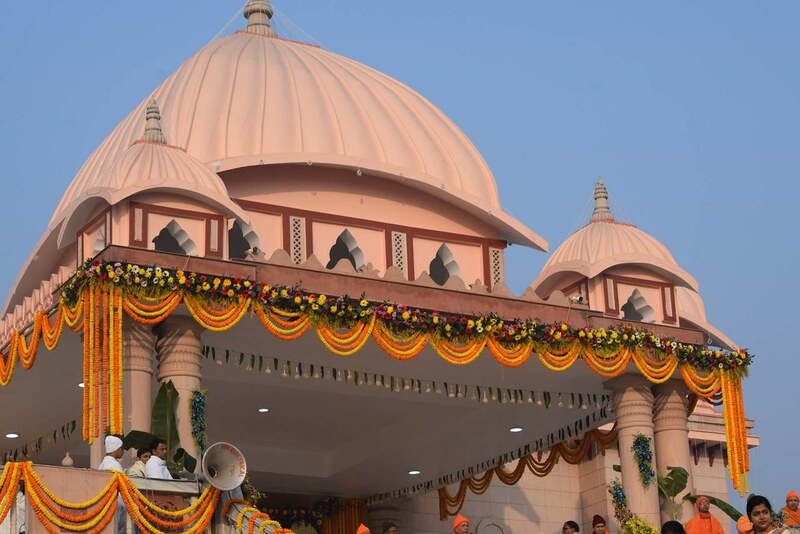 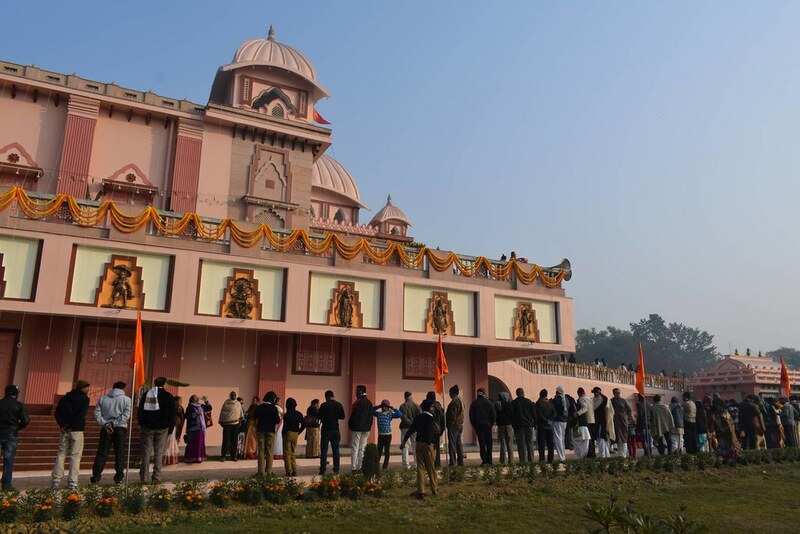 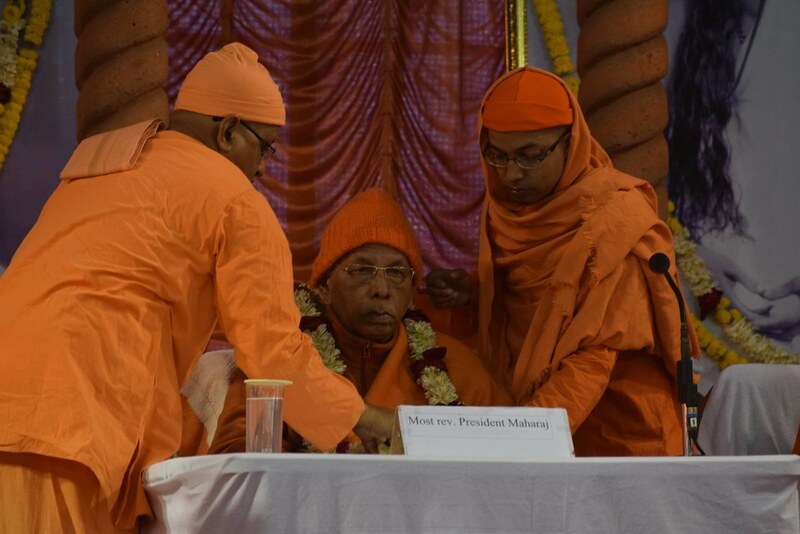 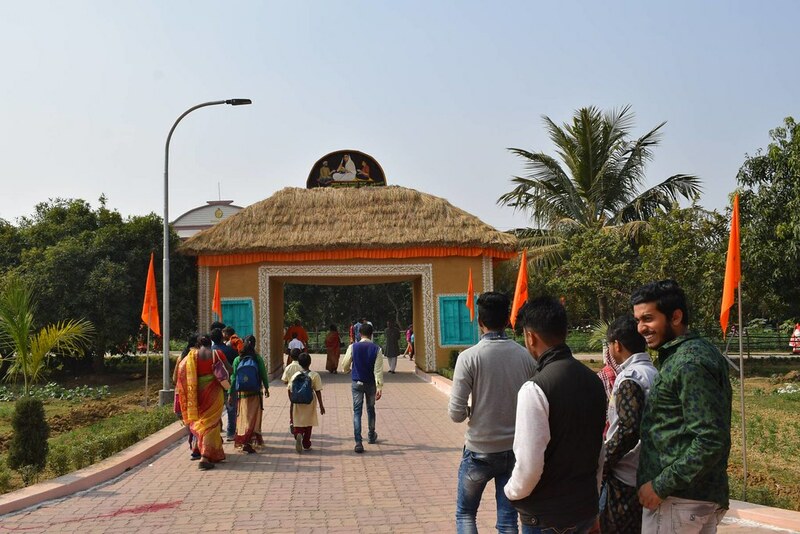 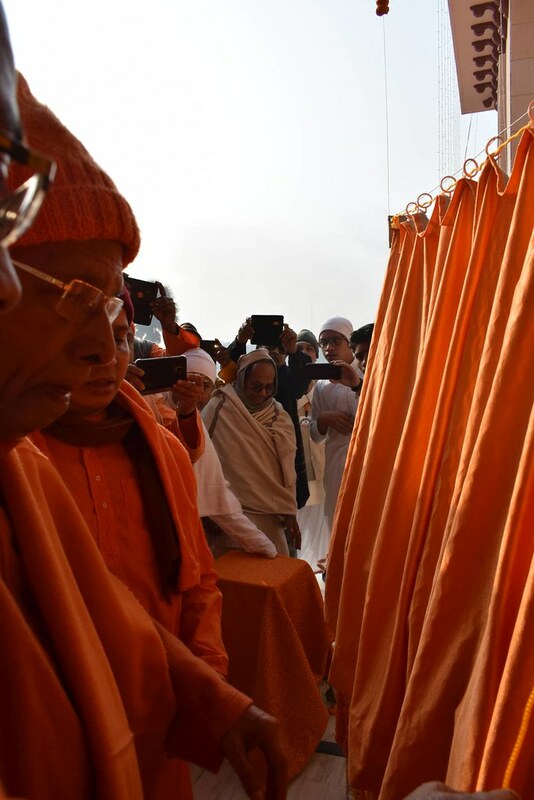 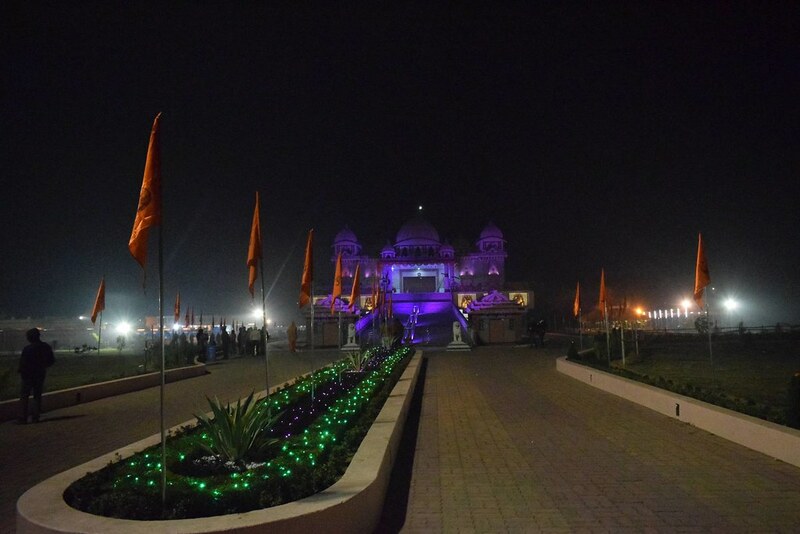 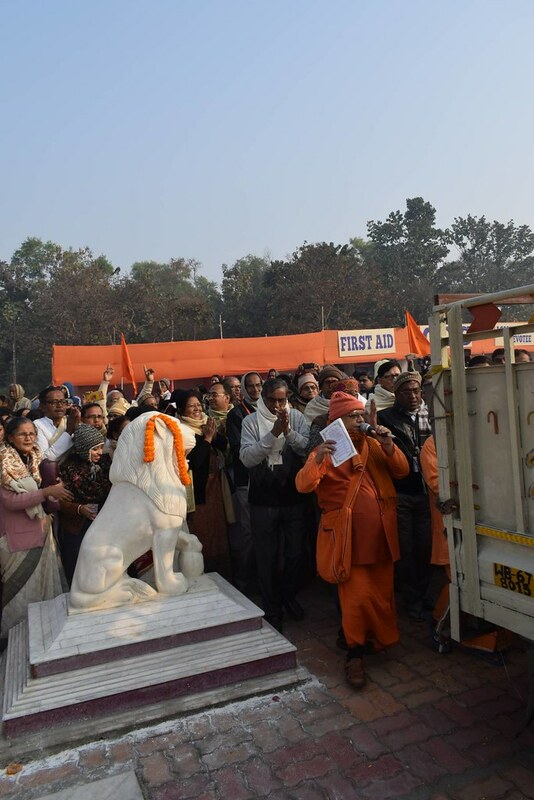 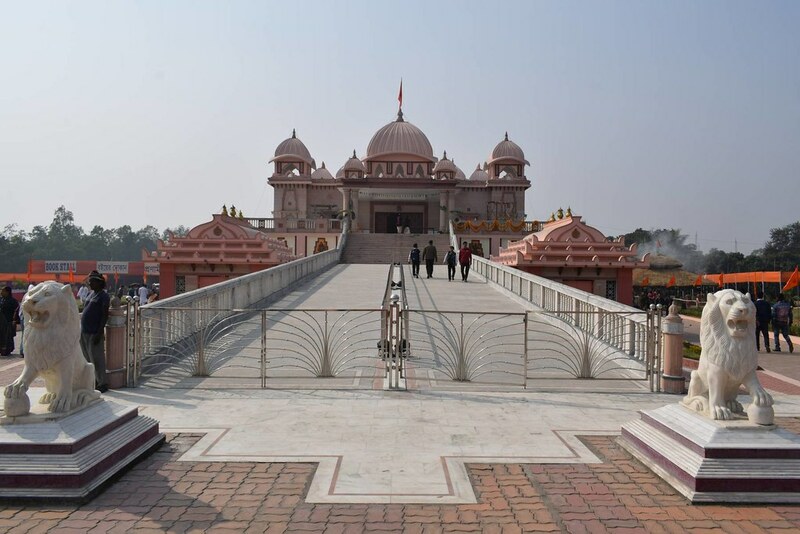 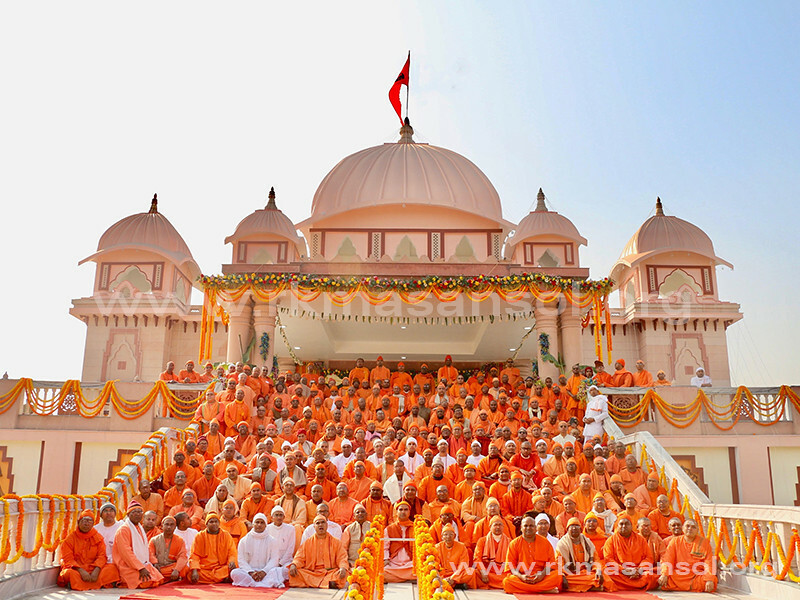 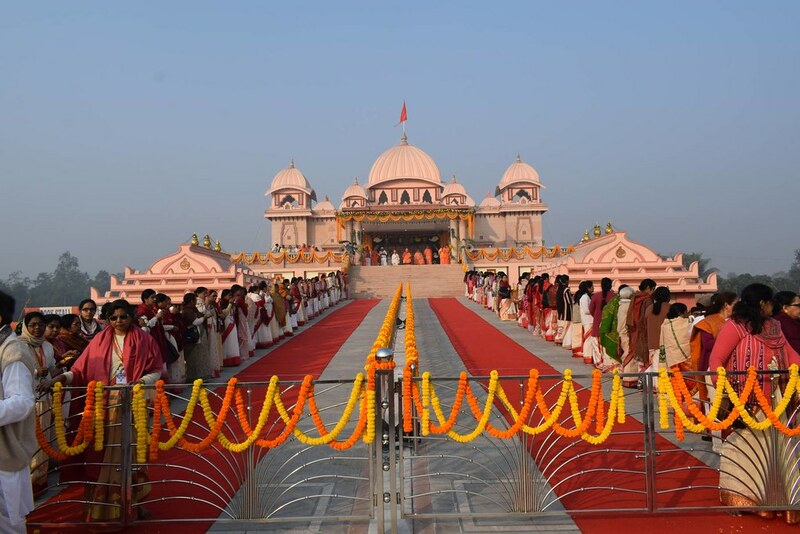 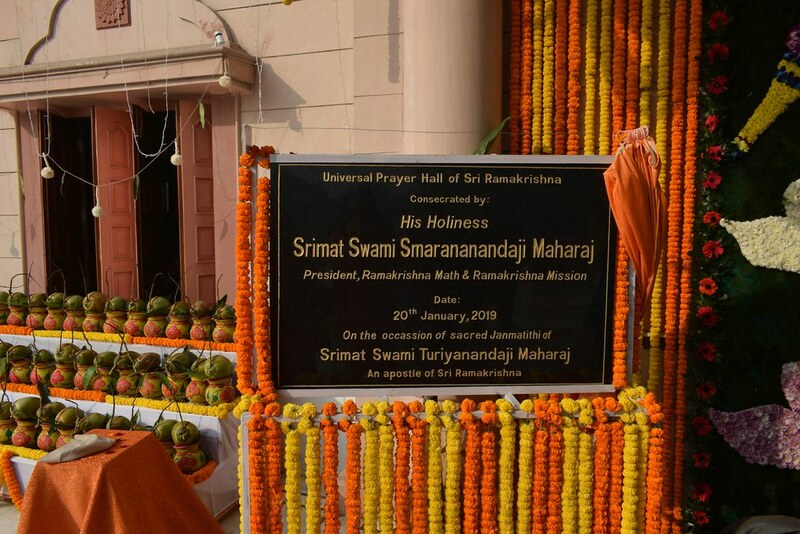 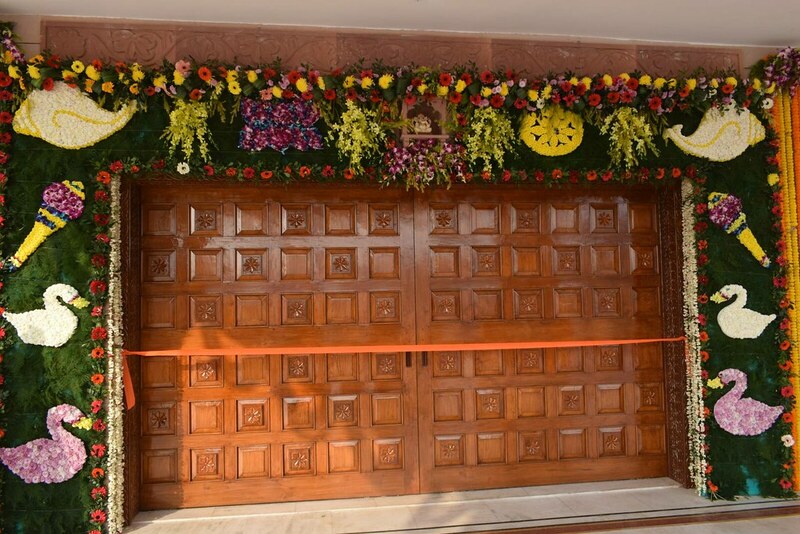 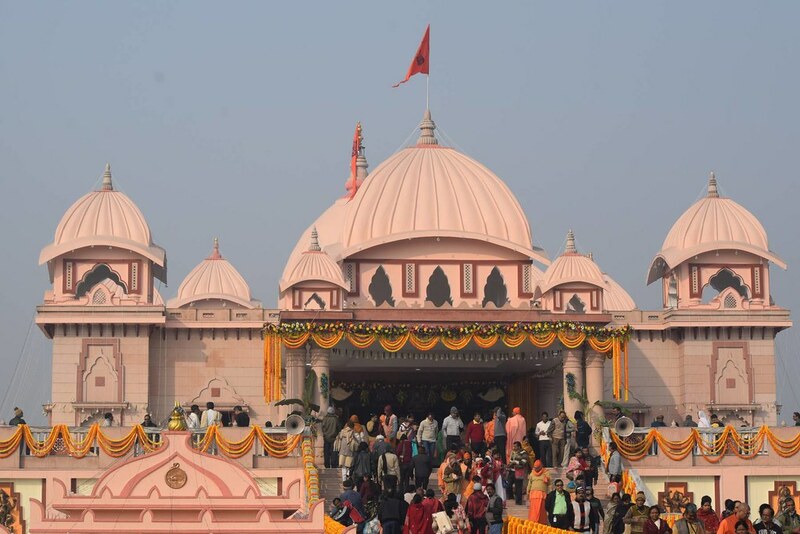 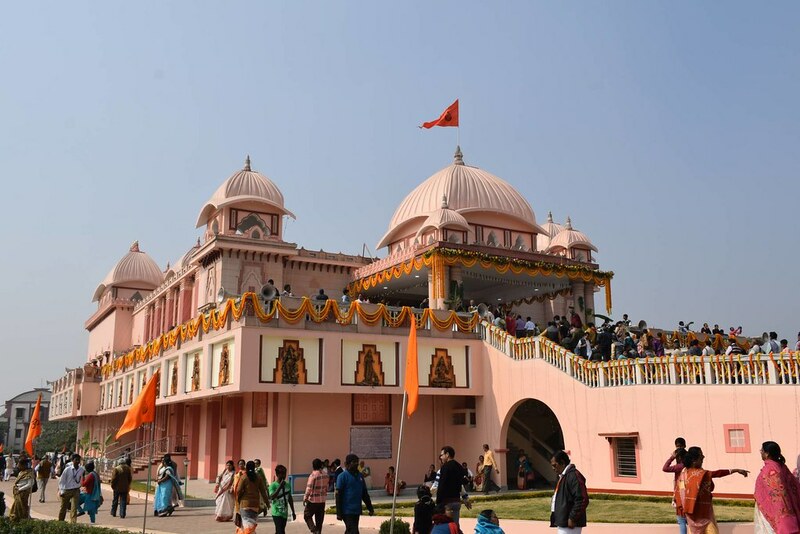 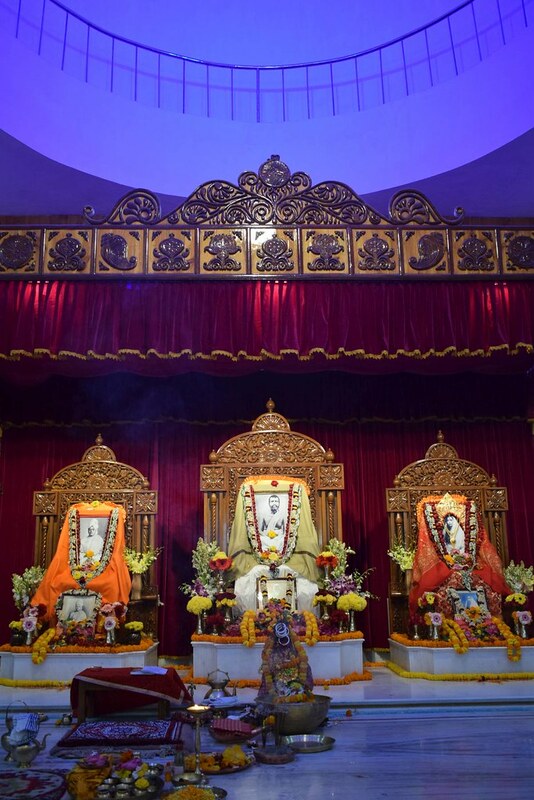 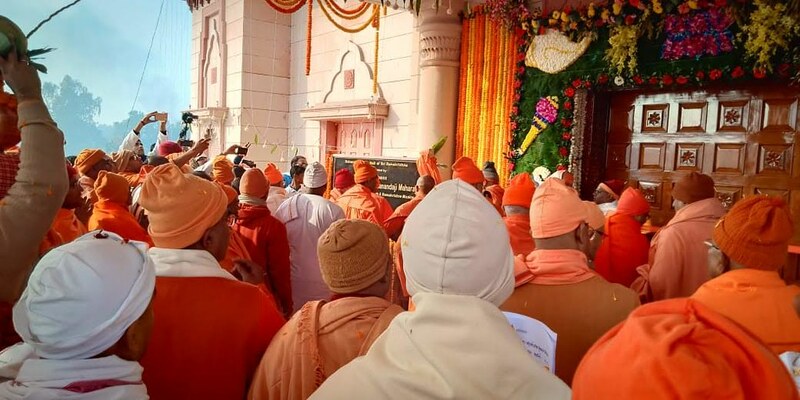 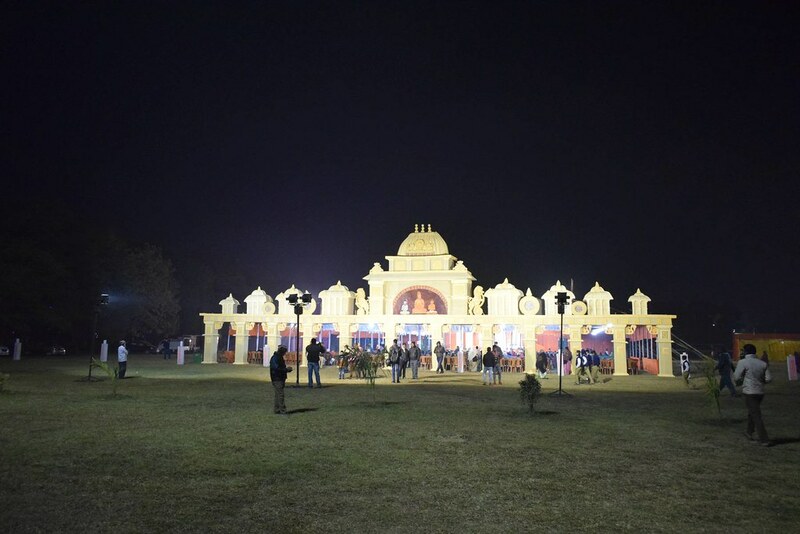 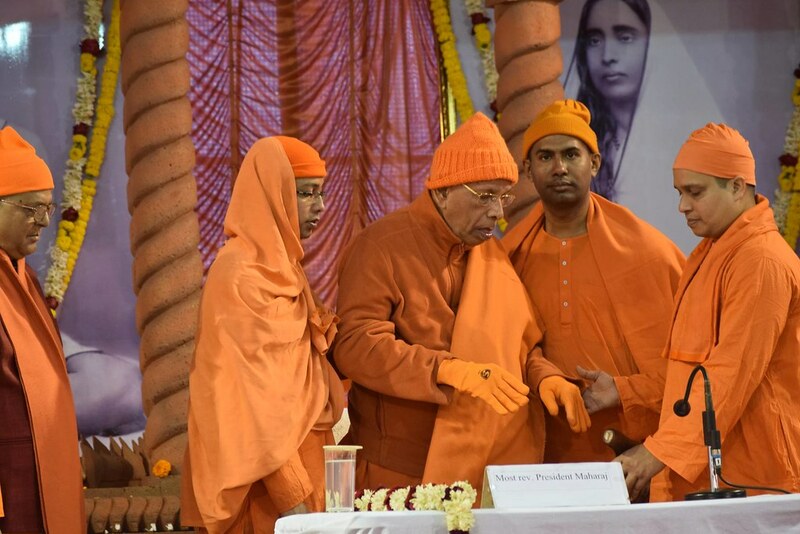 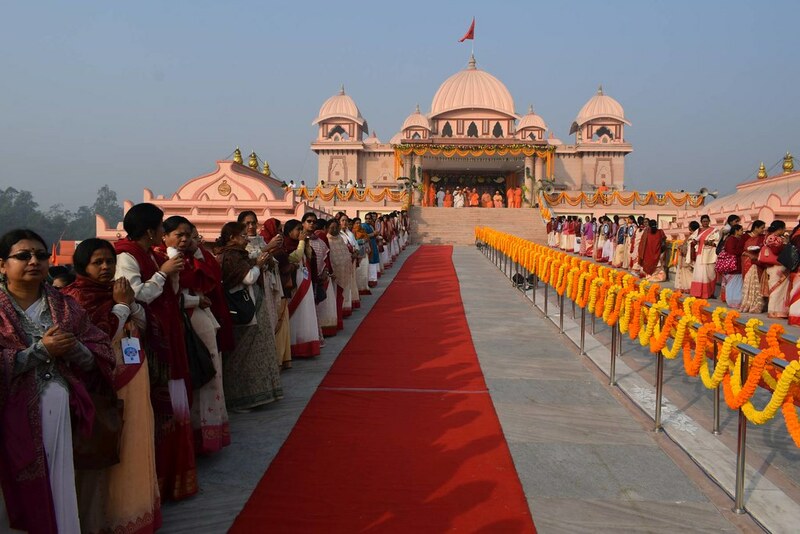 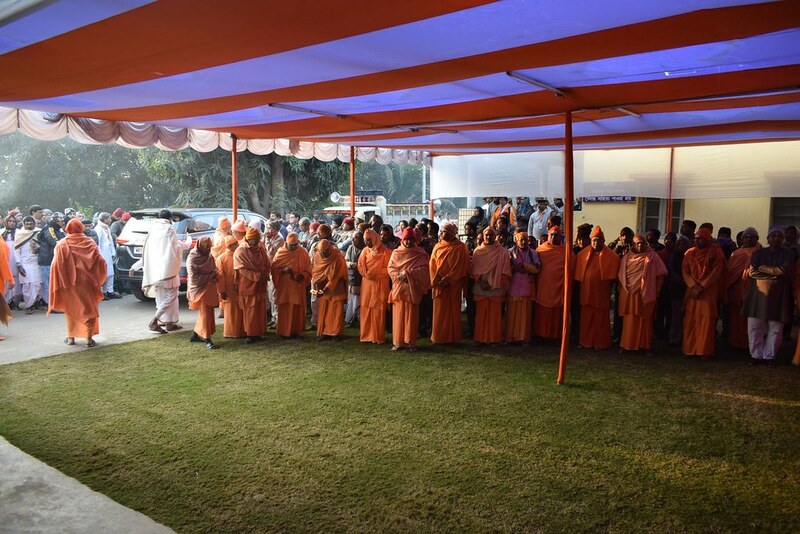 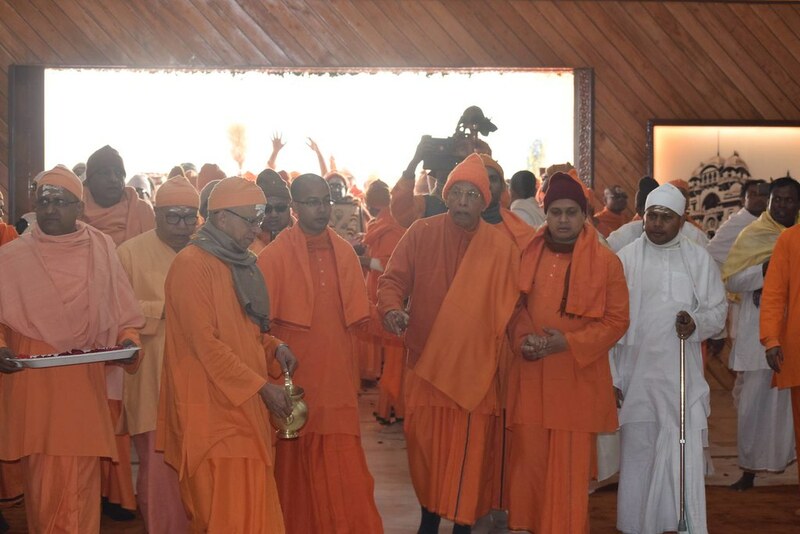 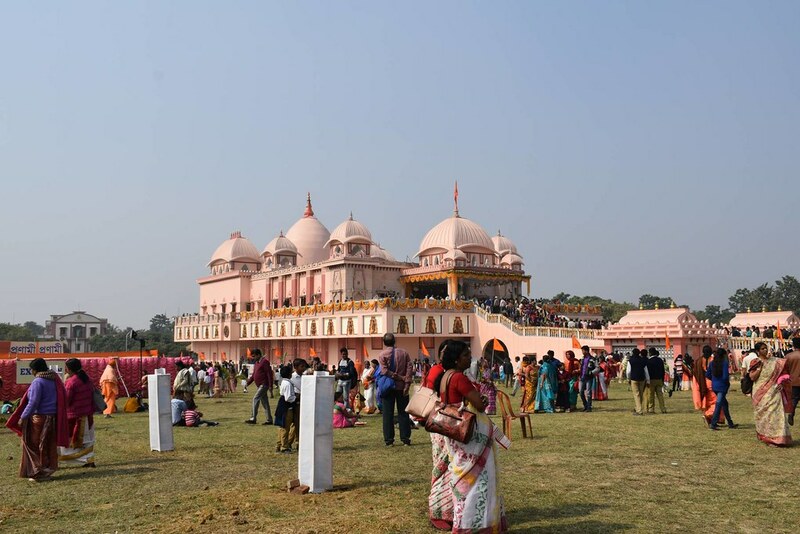 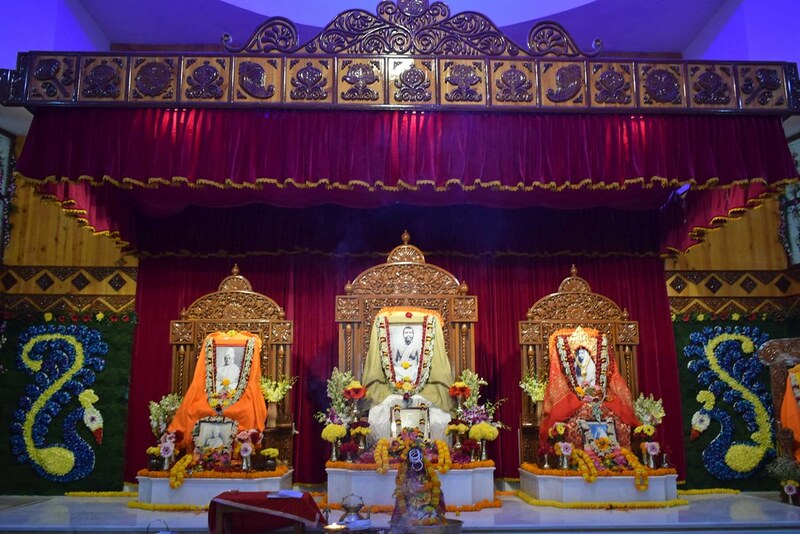 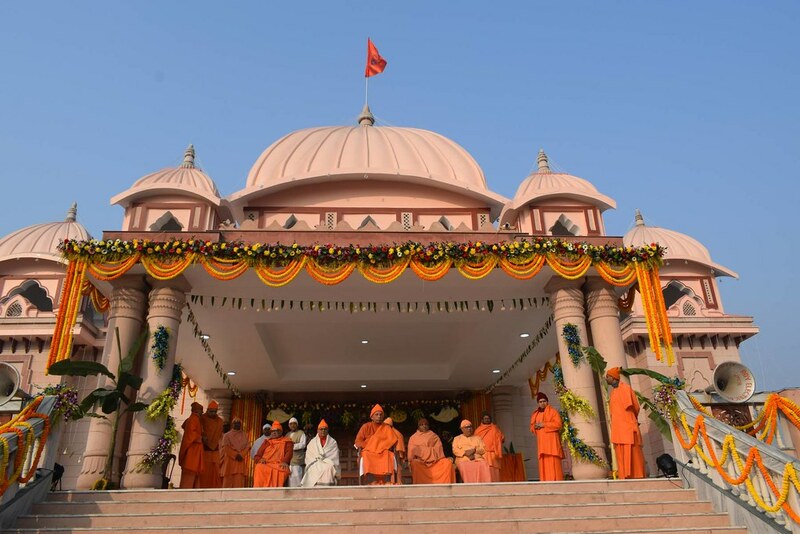 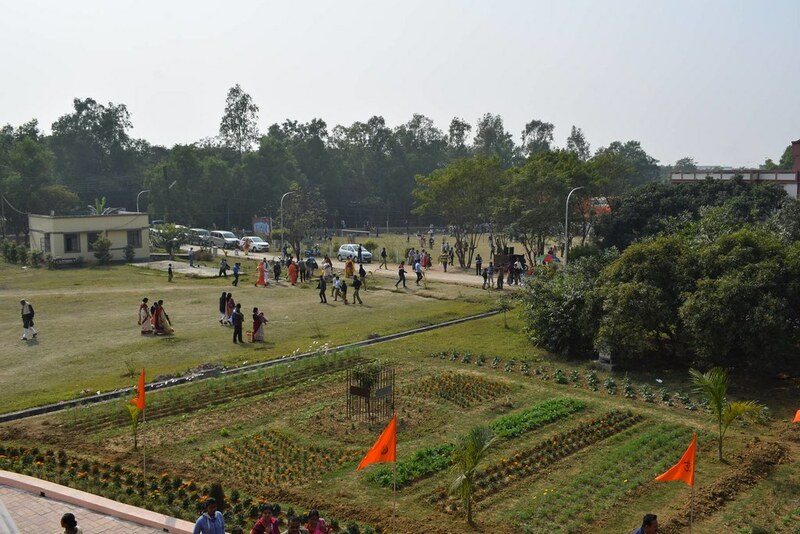 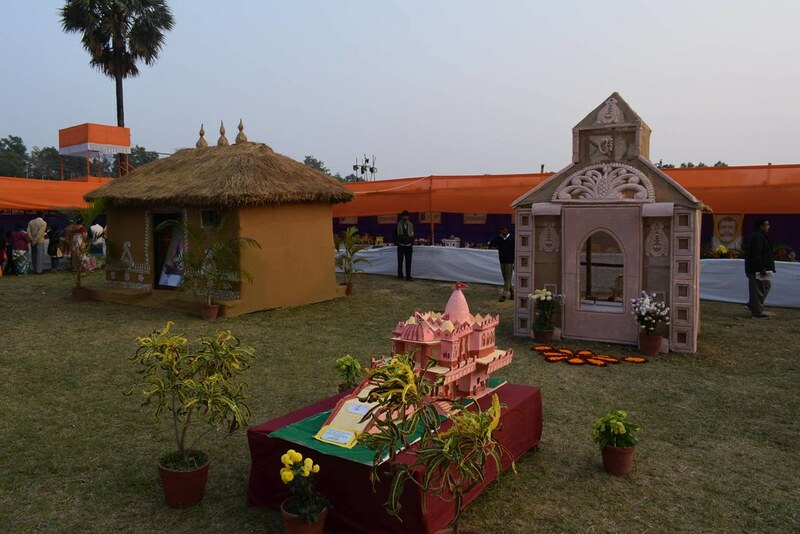 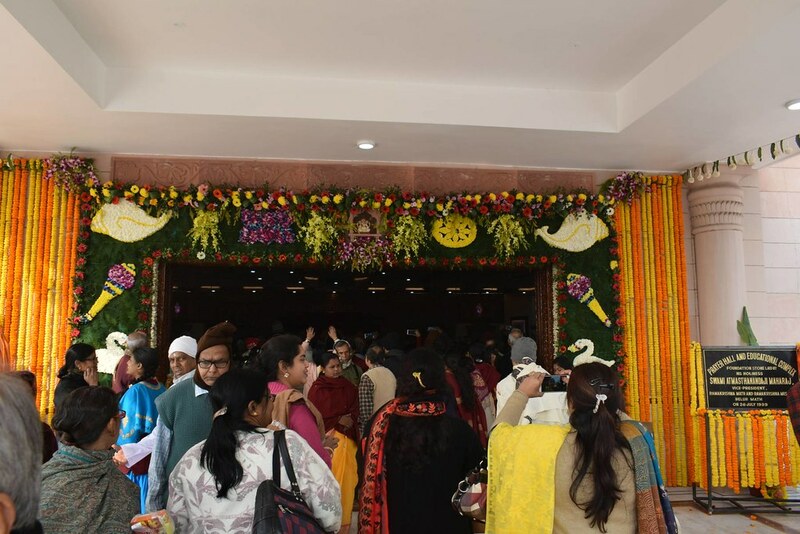 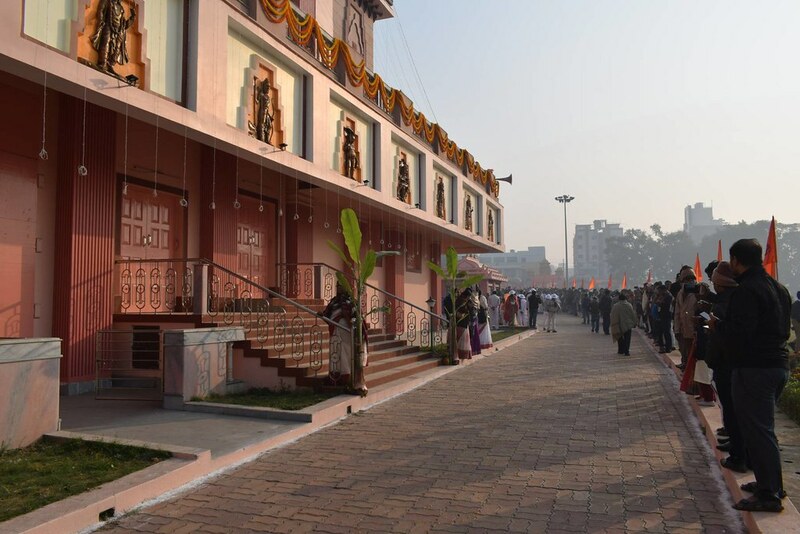 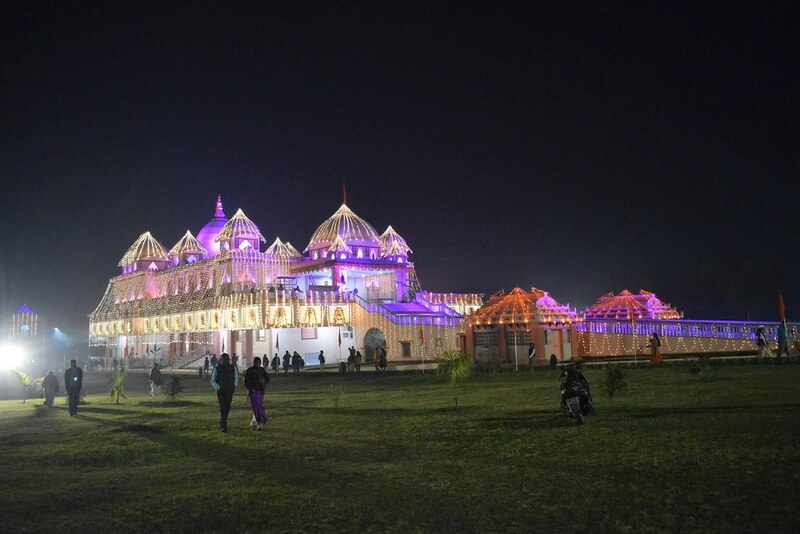 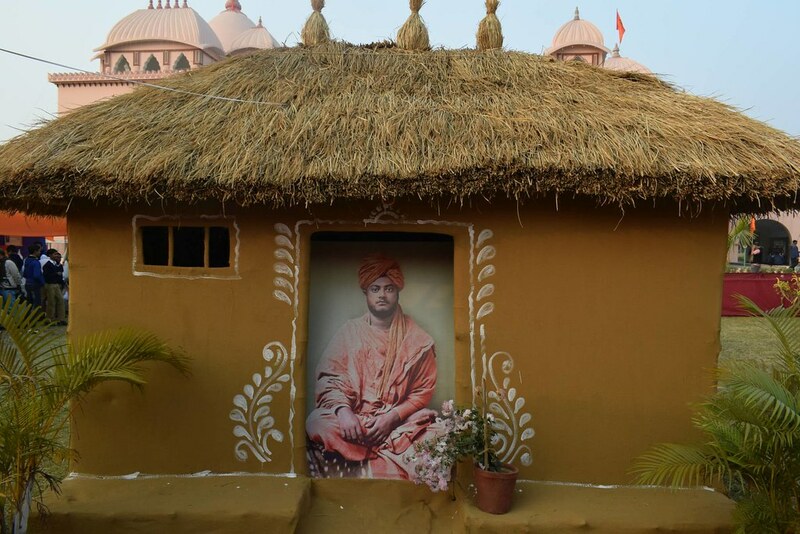 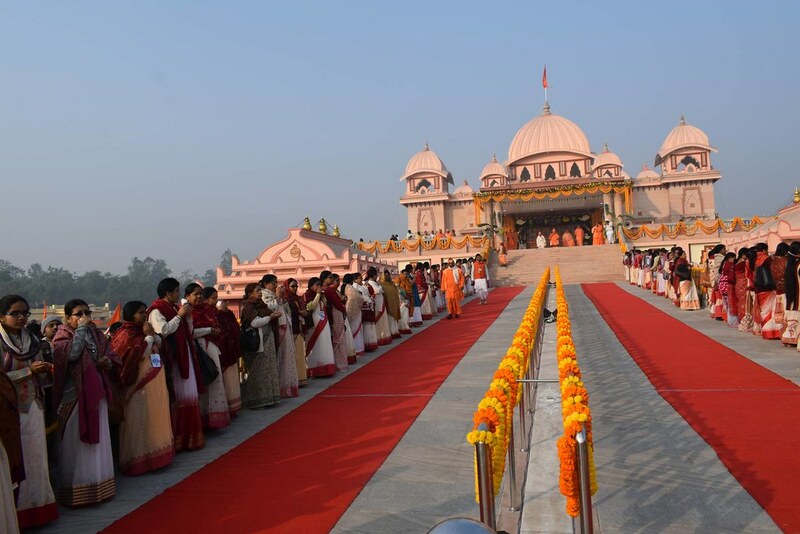 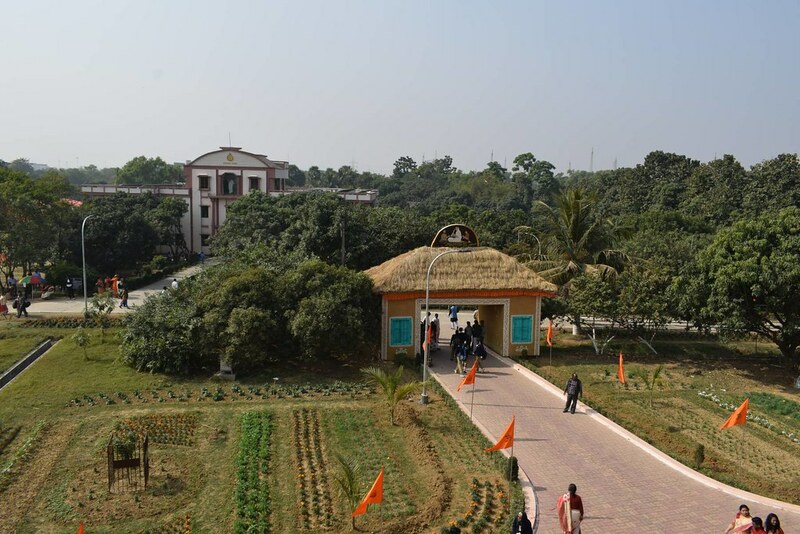 On 20 January 2019, the newly built temple of Sri Ramakrishna at Ramakrishna Mission Ashrama, Asansol, West Bengal was consecrated by Most Revered President Maharaj, Swami Smaranananda ji. 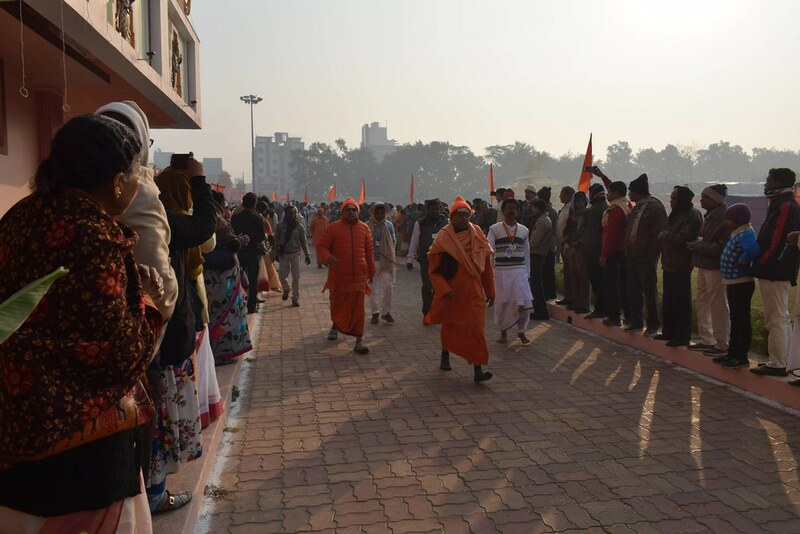 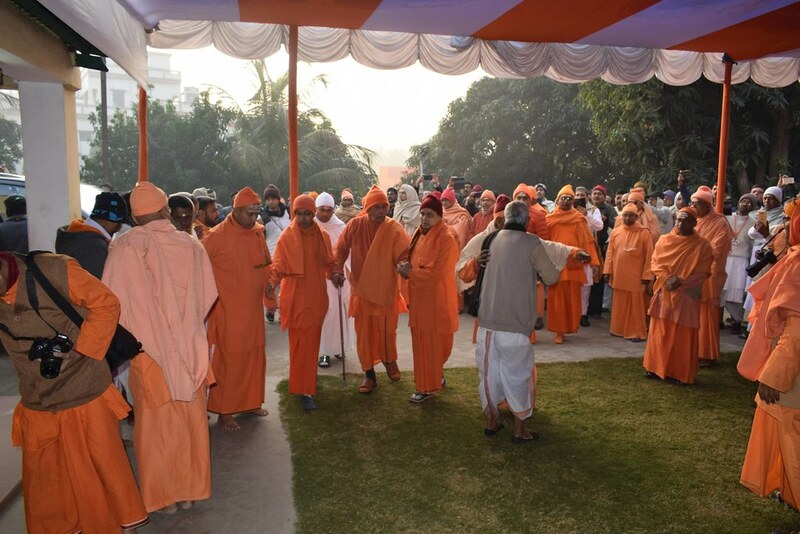 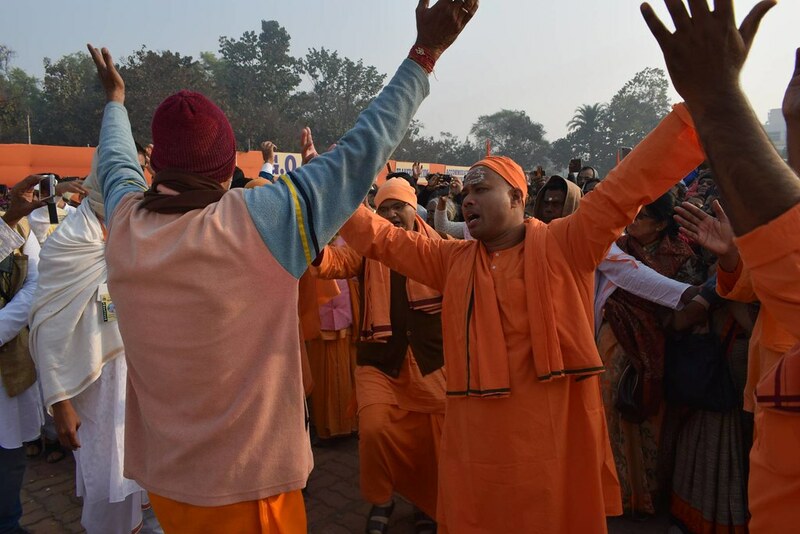 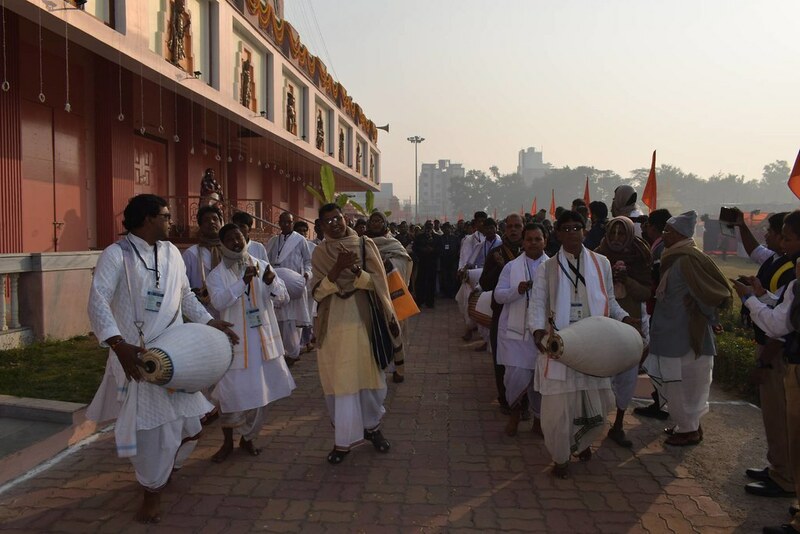 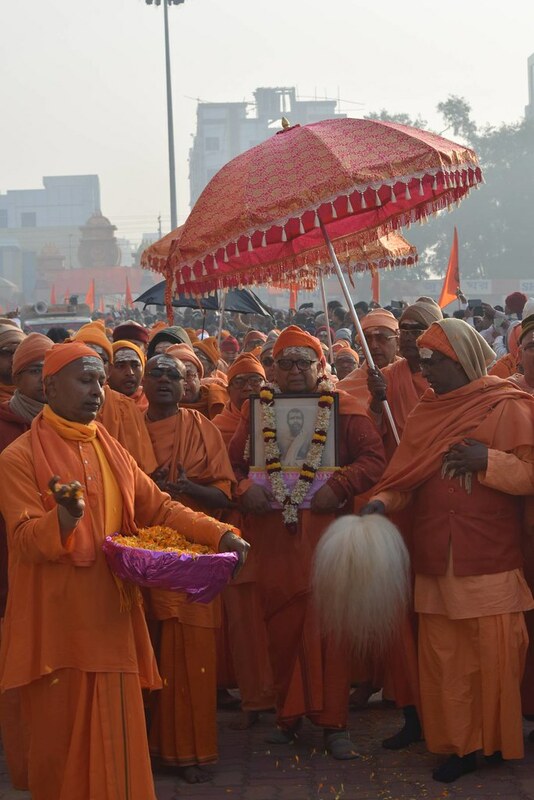 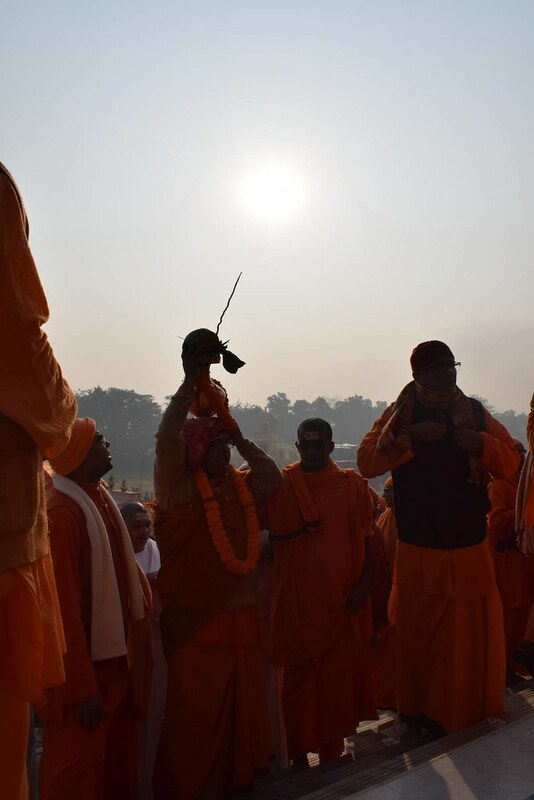 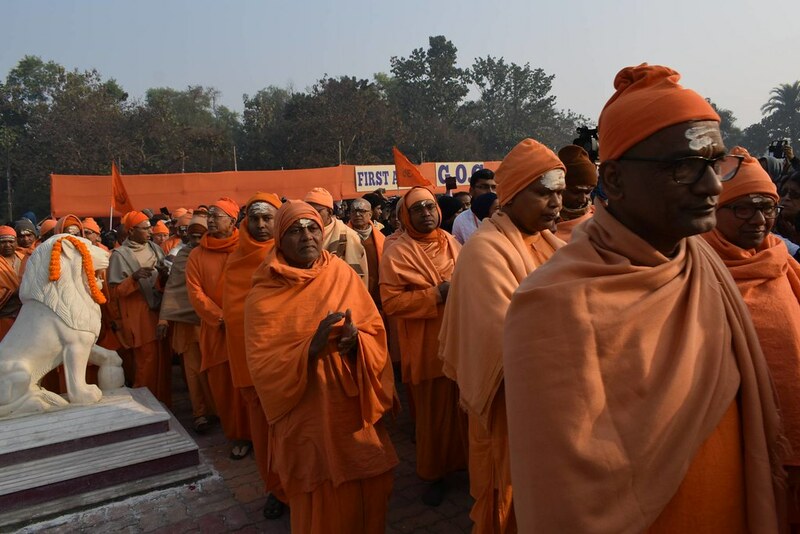 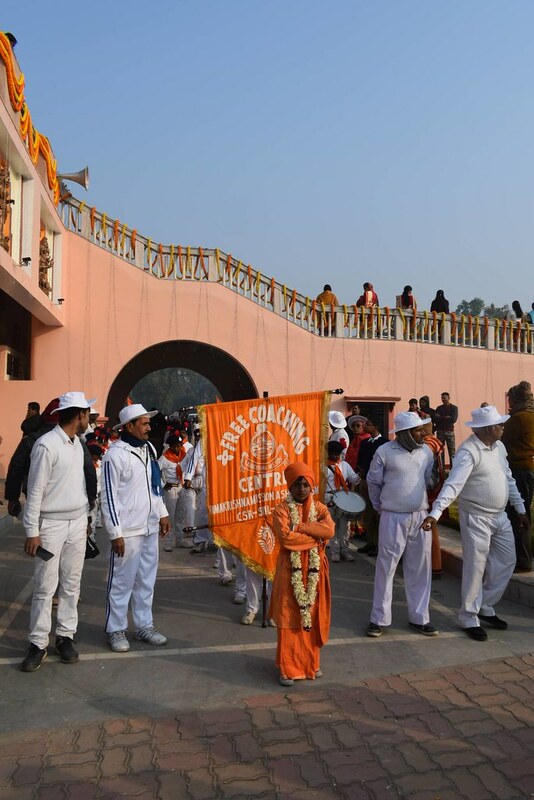 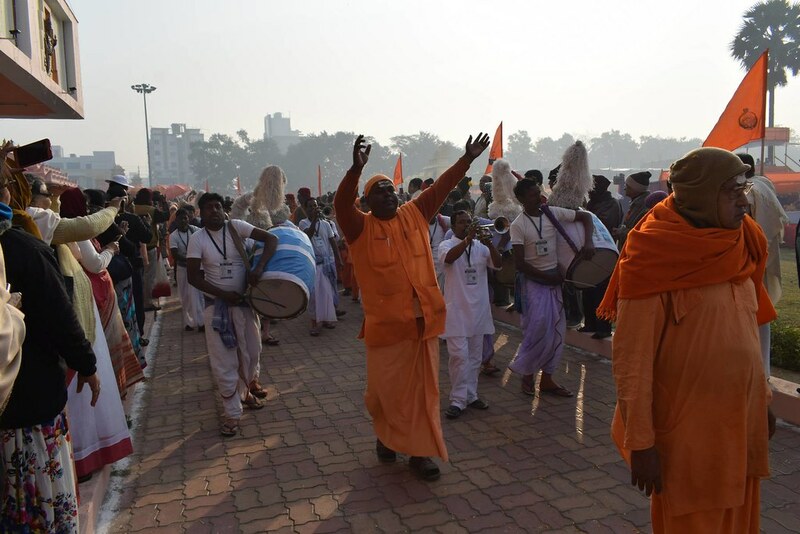 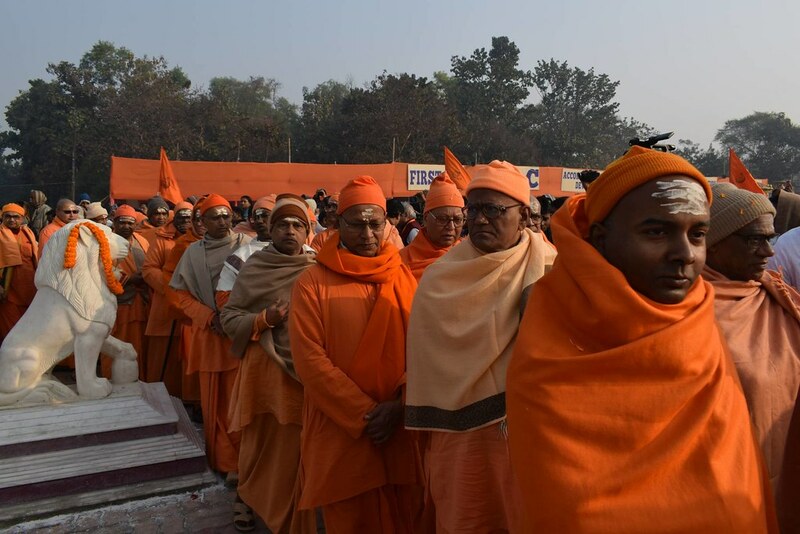 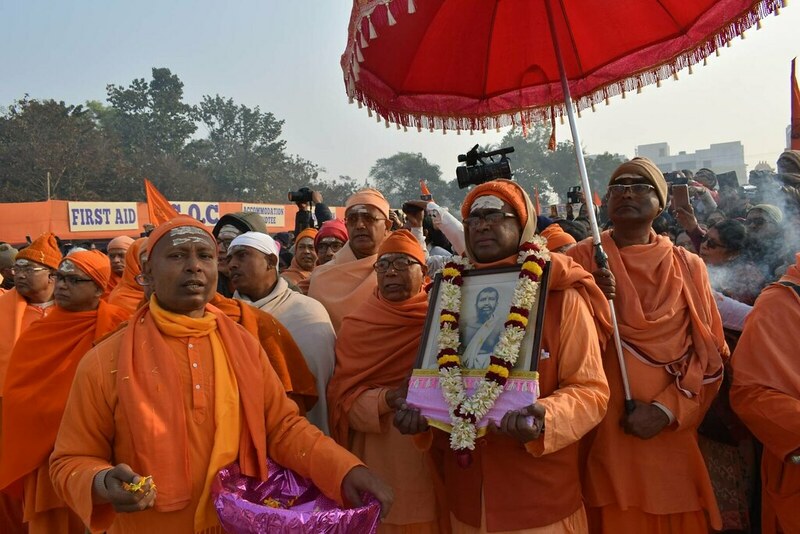 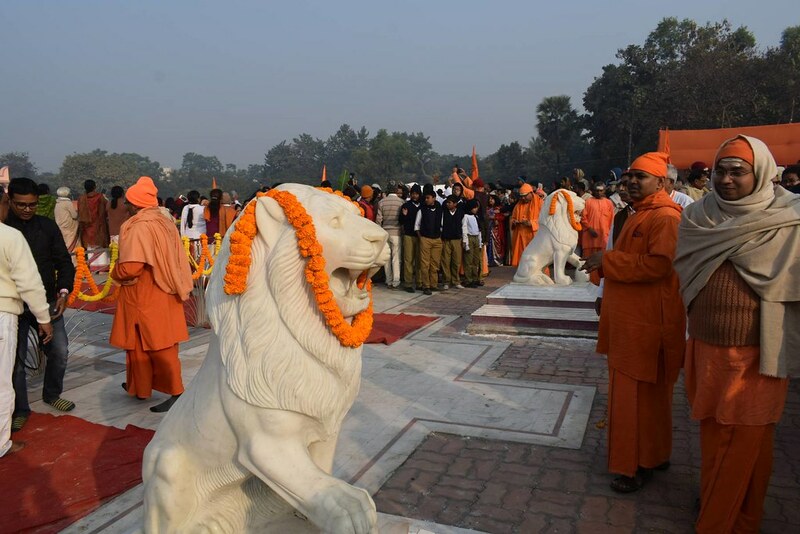 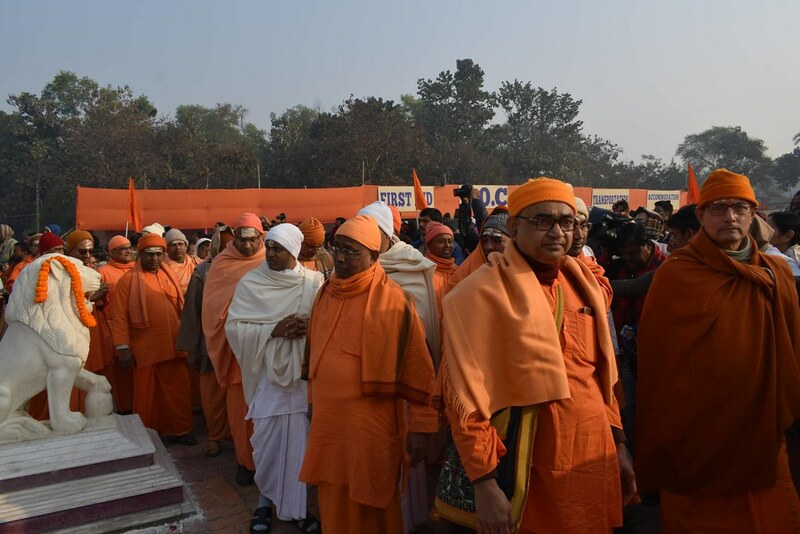 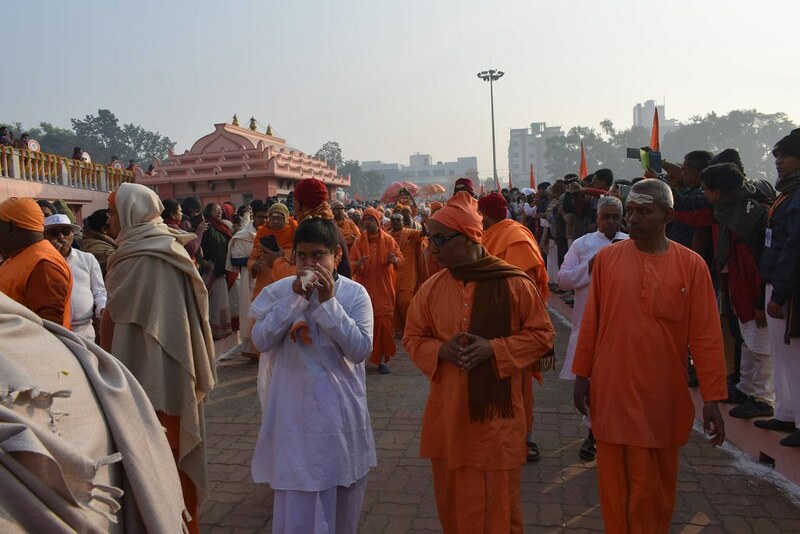 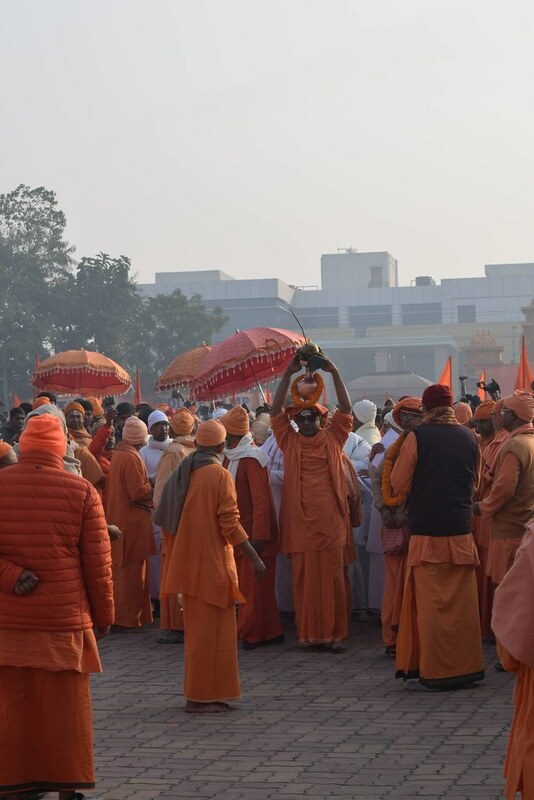 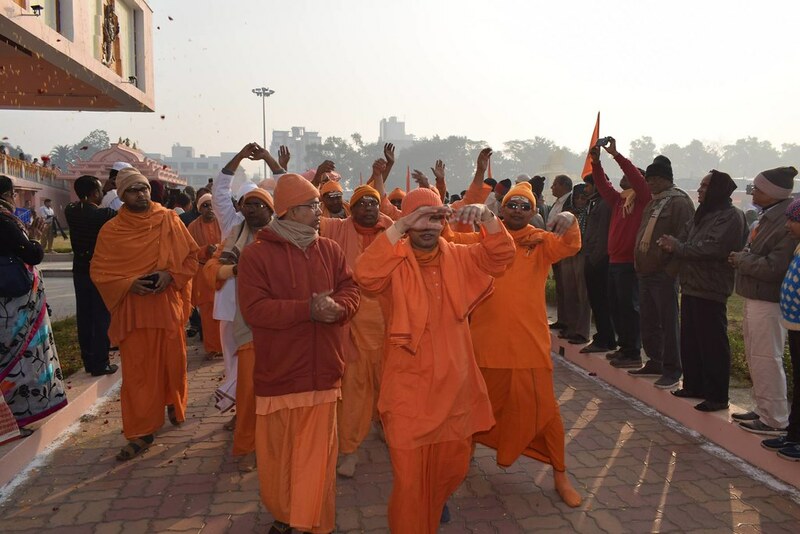 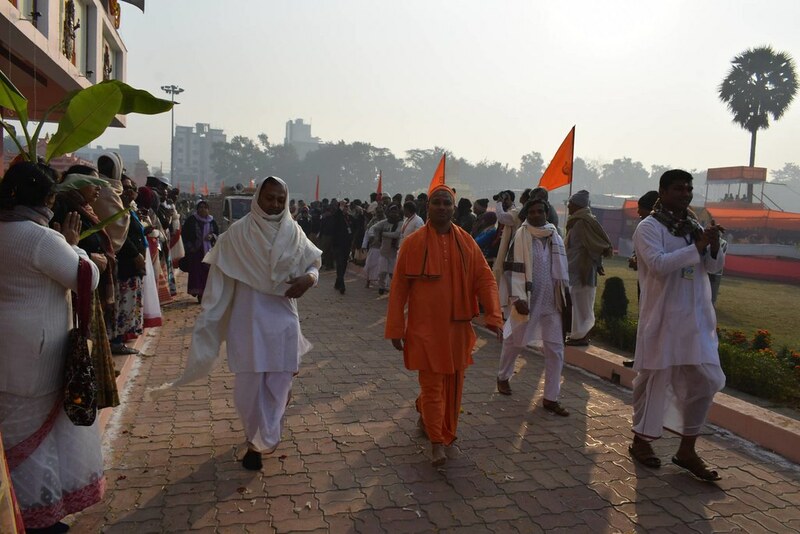 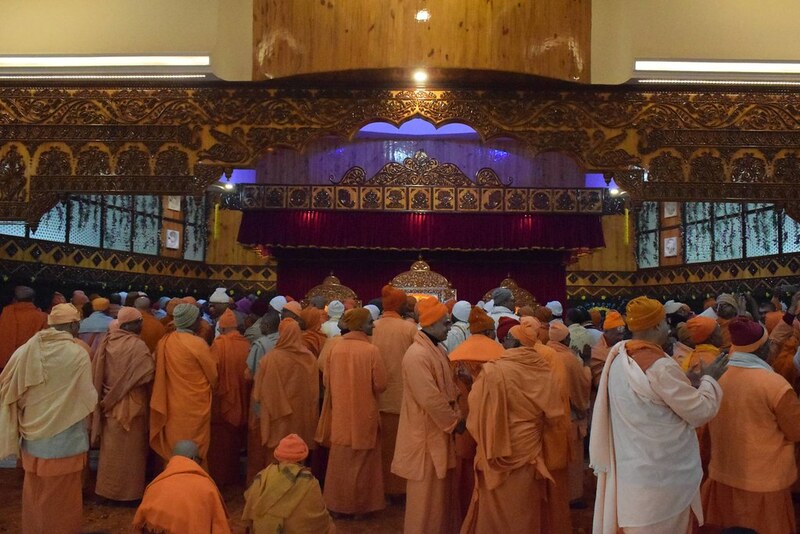 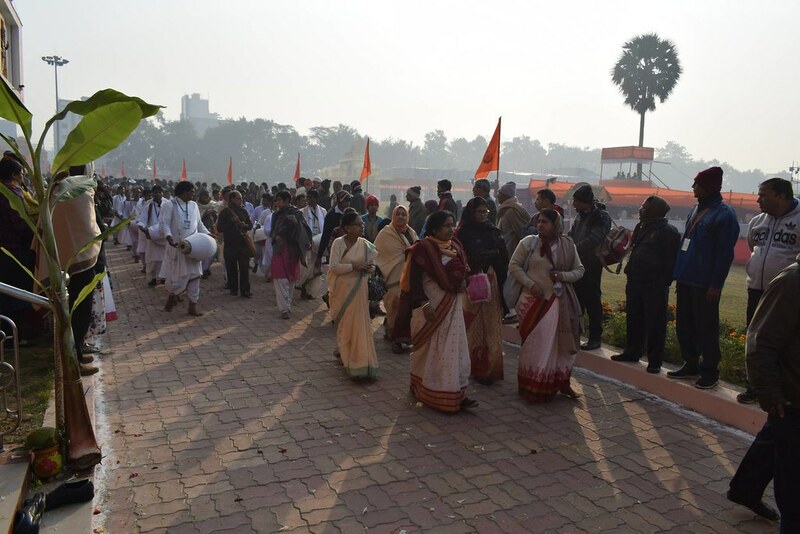 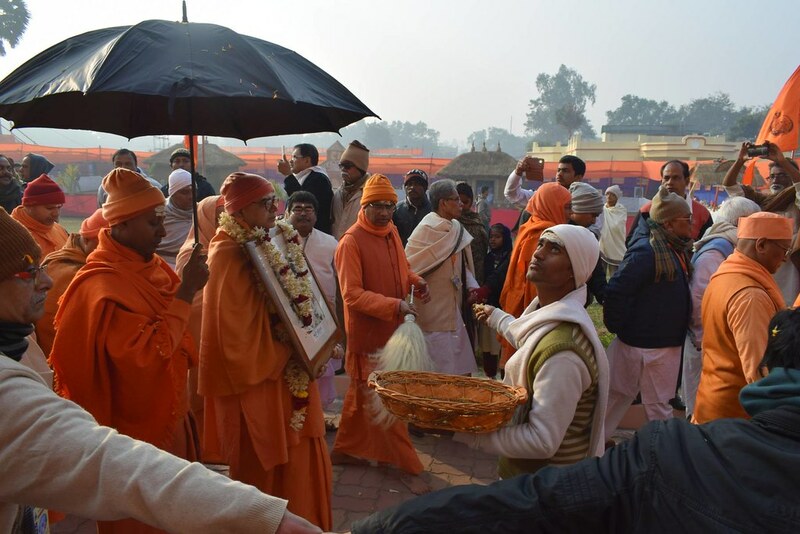 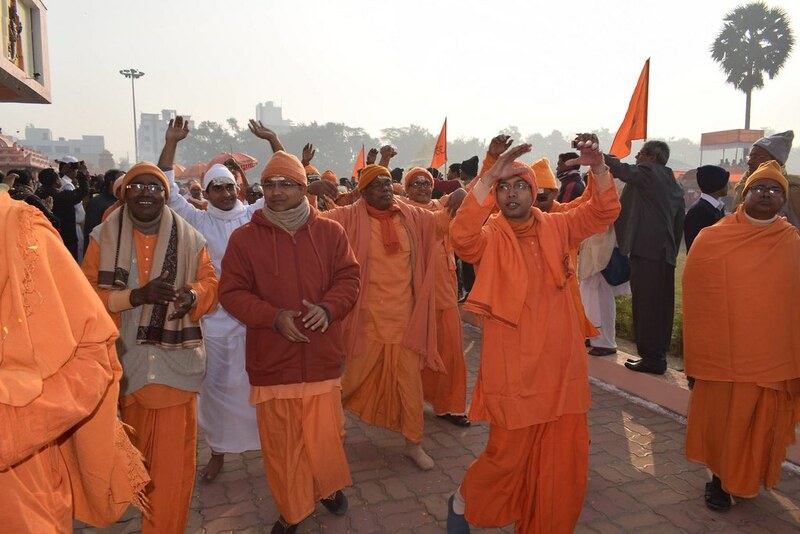 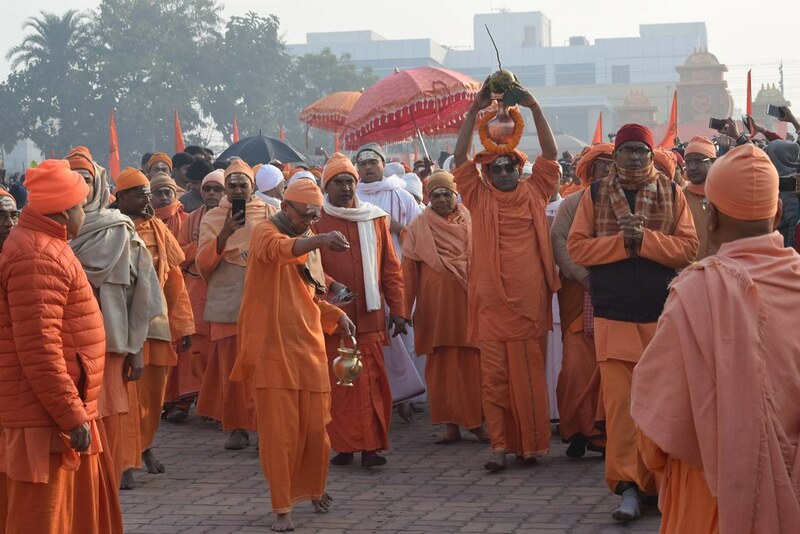 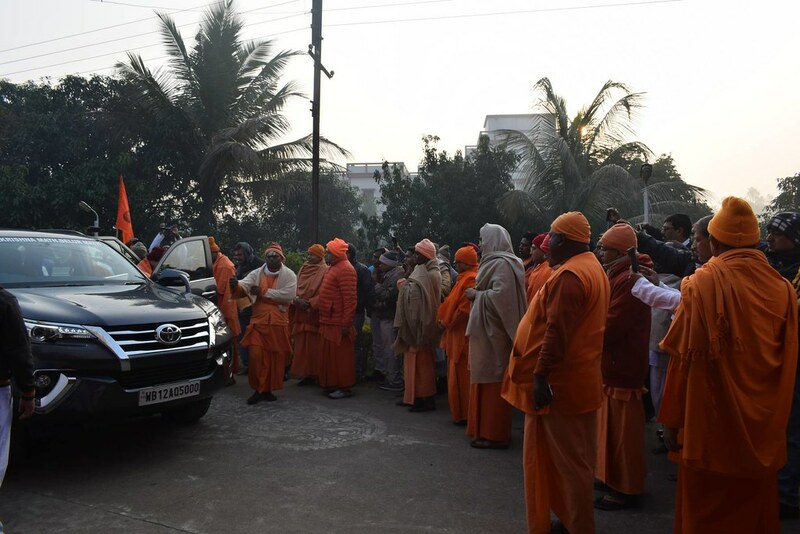 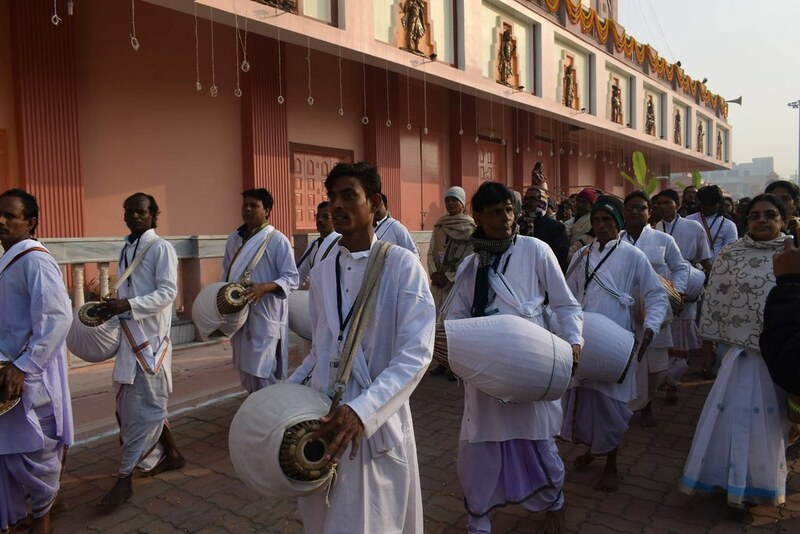 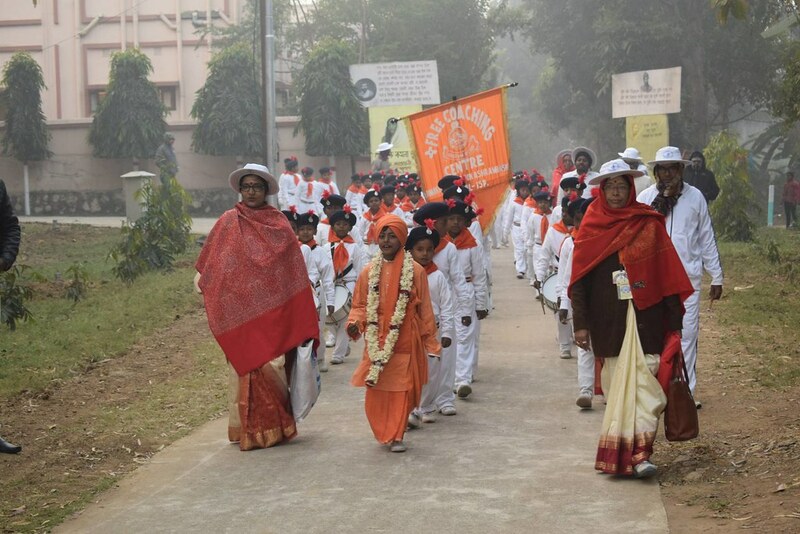 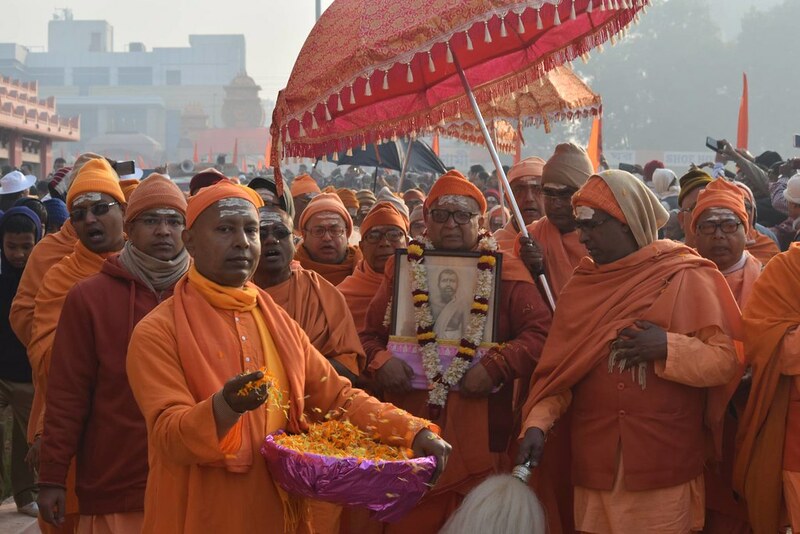 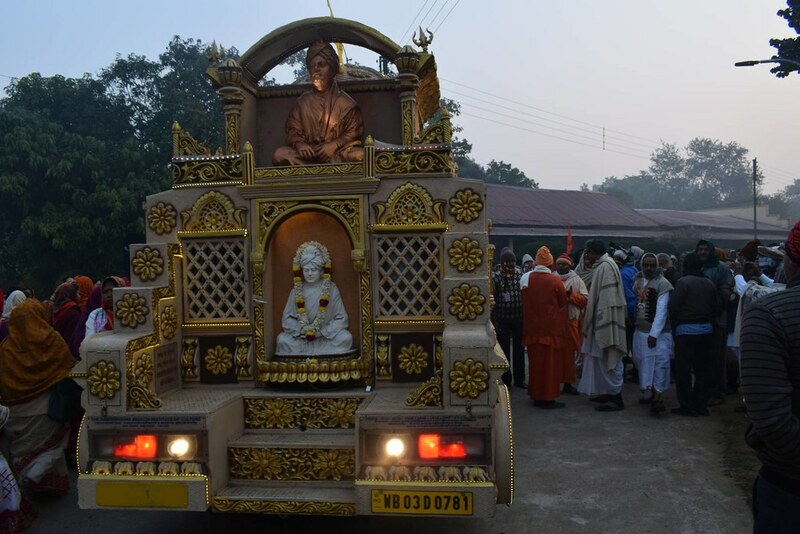 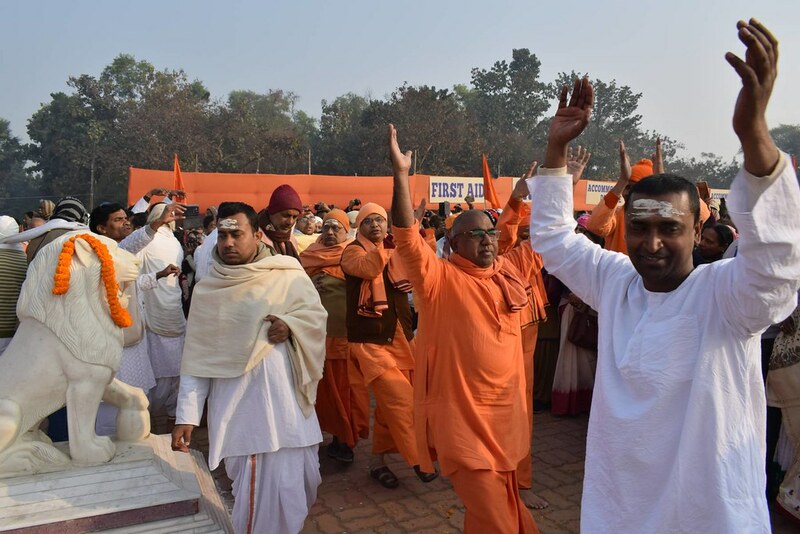 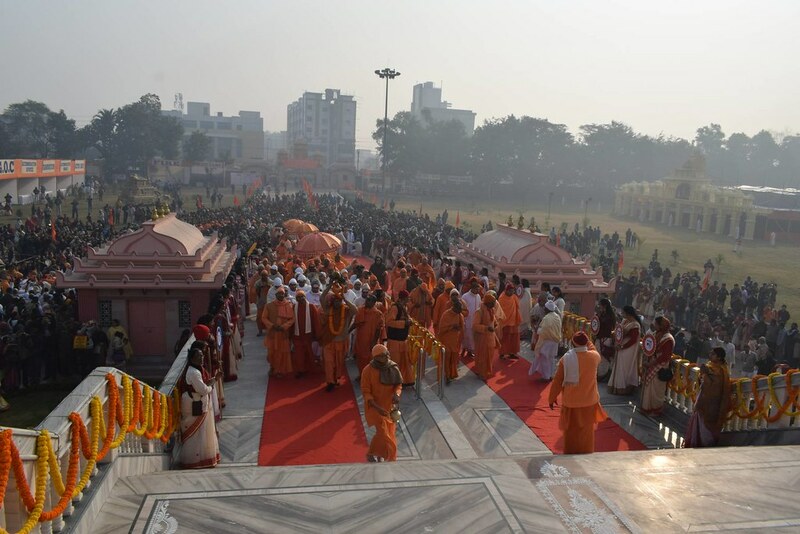 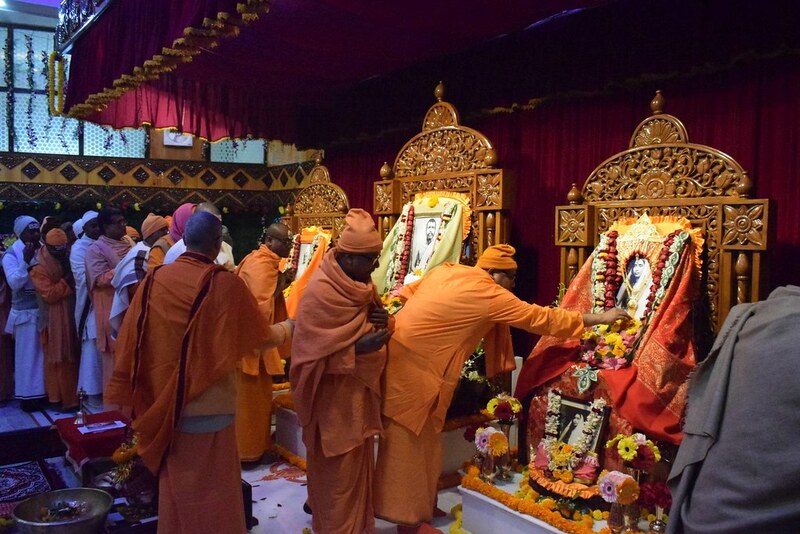 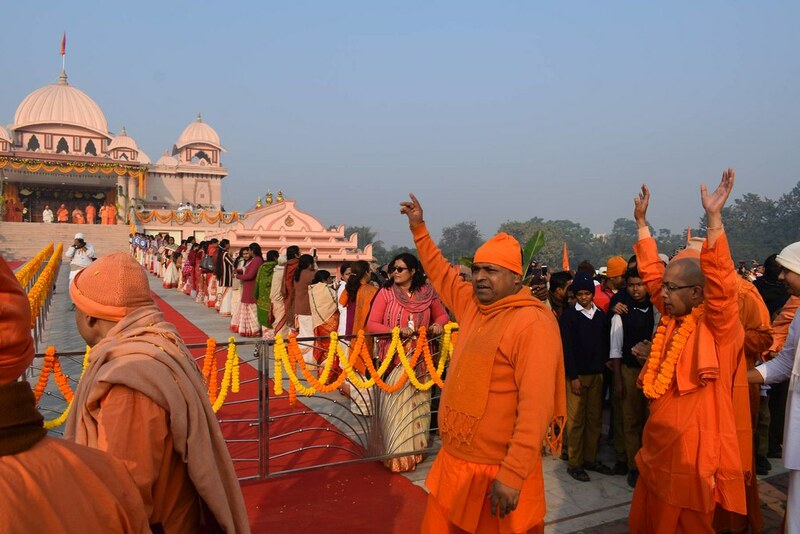 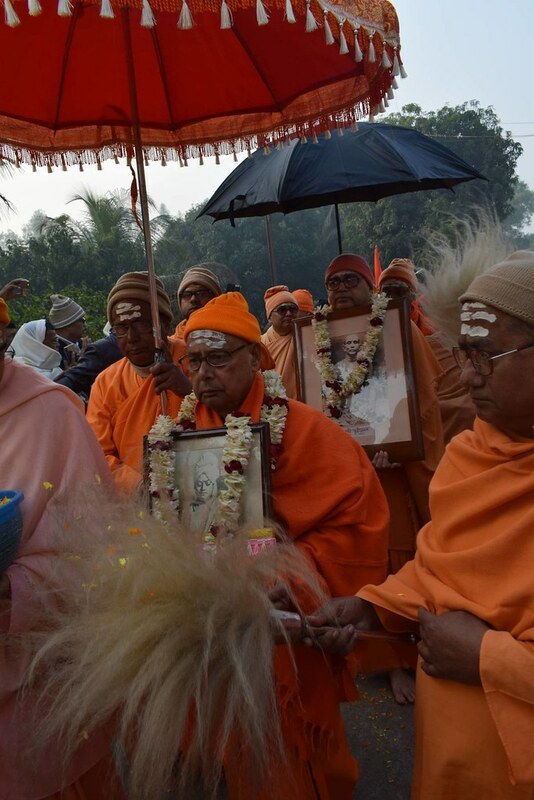 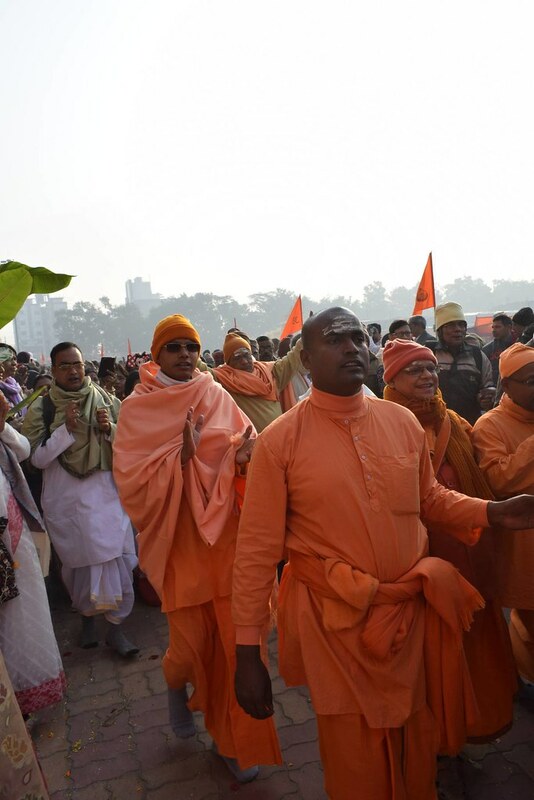 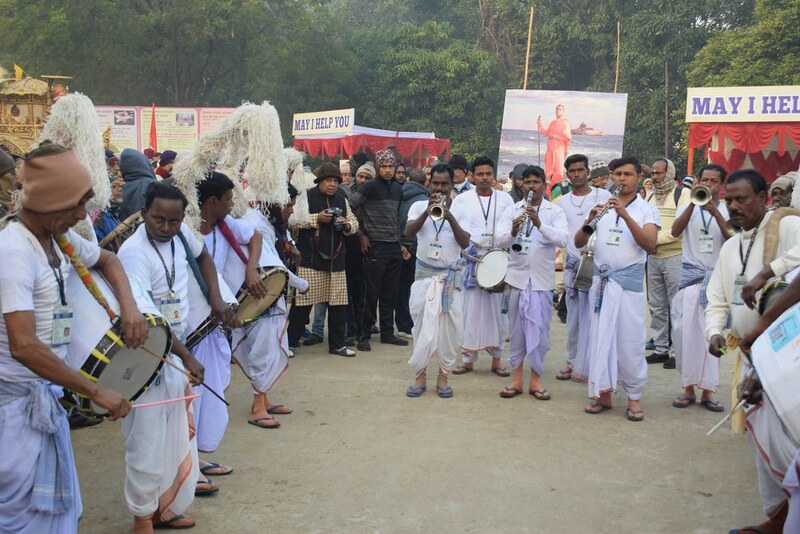 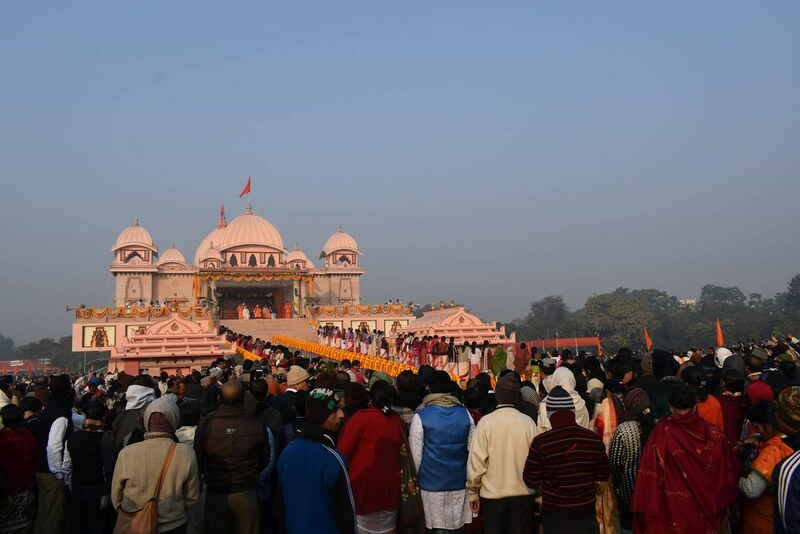 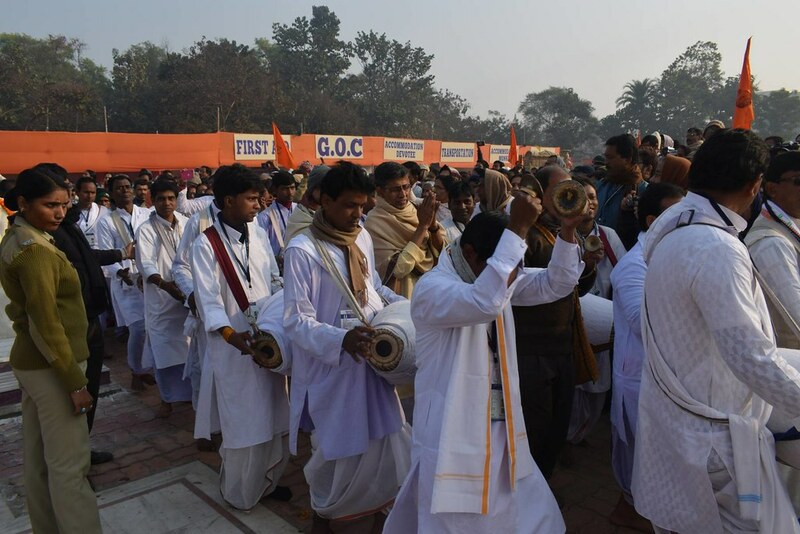 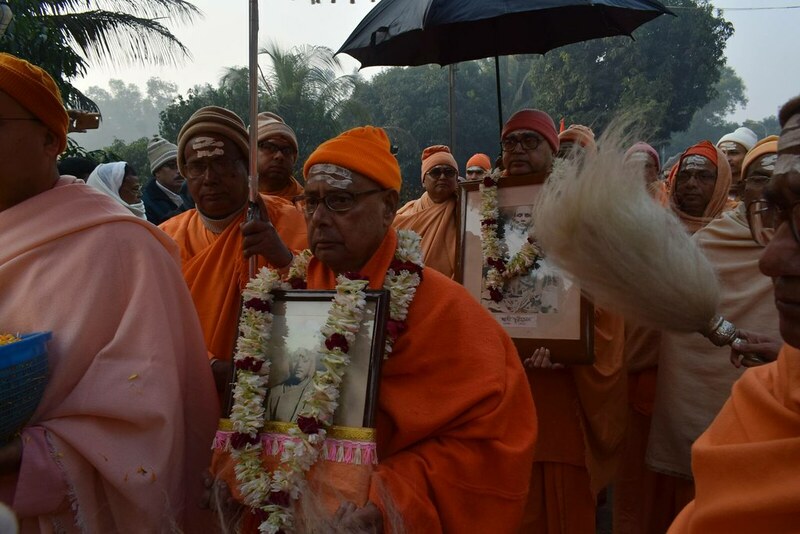 At around 8 am some senior monks carried the portraits of Sri Sri Thakur, Sri Sri Ma and Swamiji from the old prayer hall to the new temple, while other monks and brahmacharins, devotees and students followed them circumambulating the new temple with chanting and singing of mantras and devotional songs. 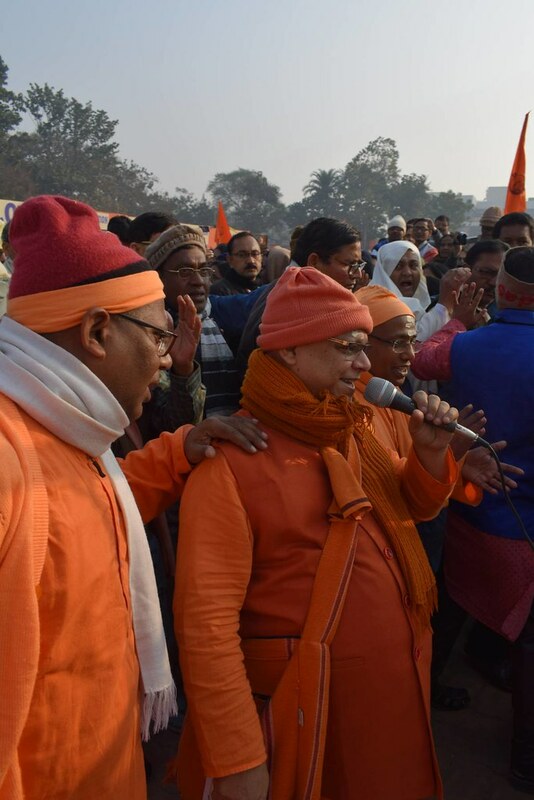 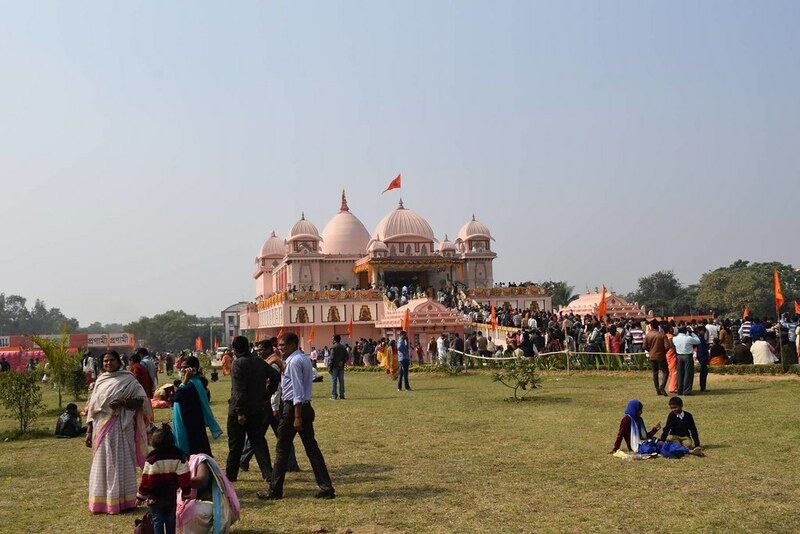 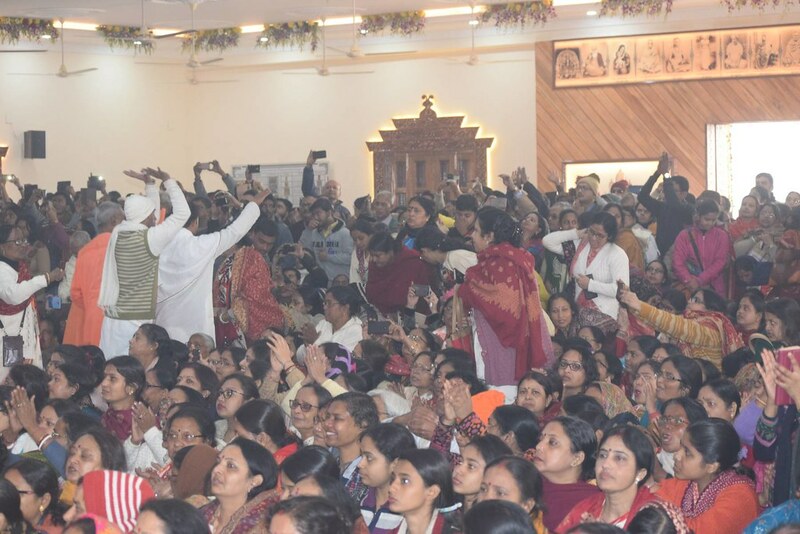 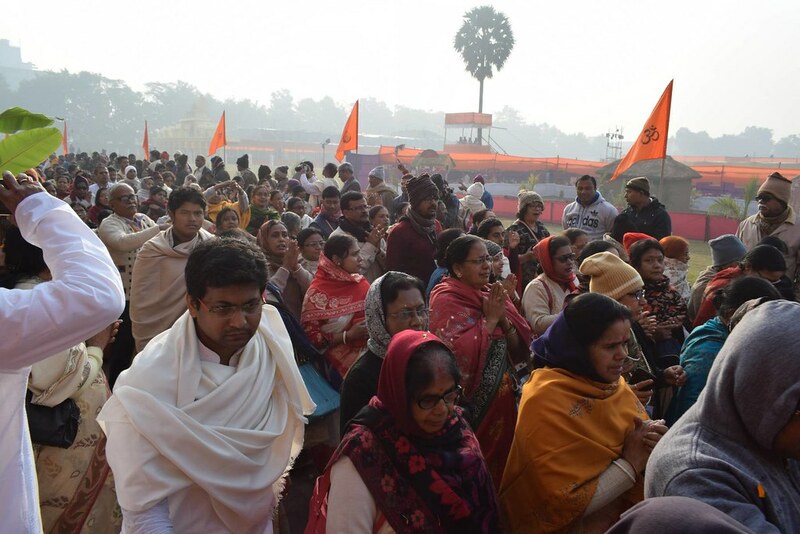 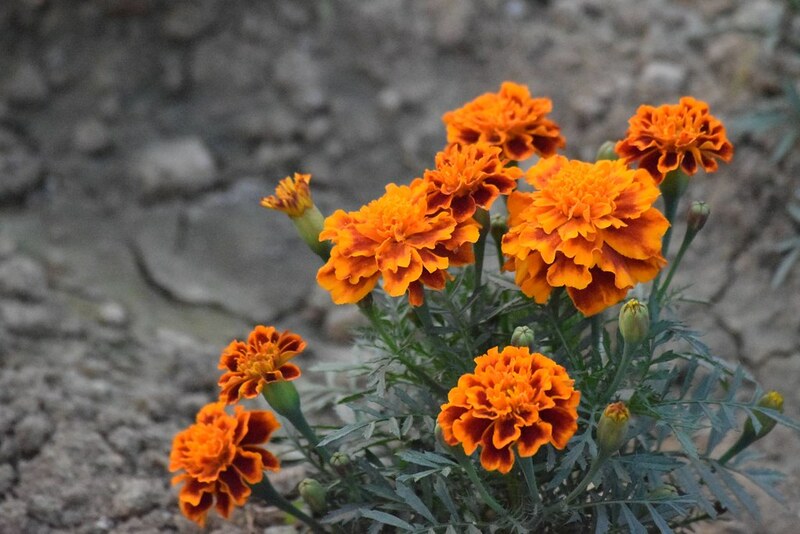 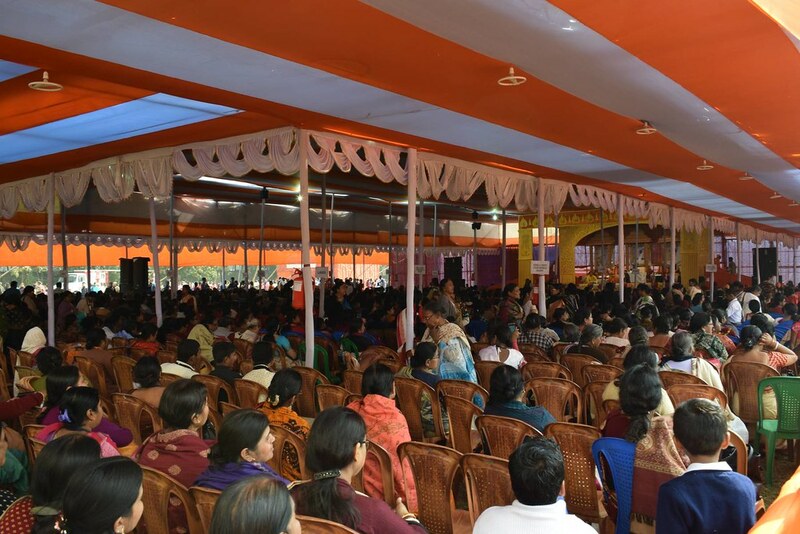 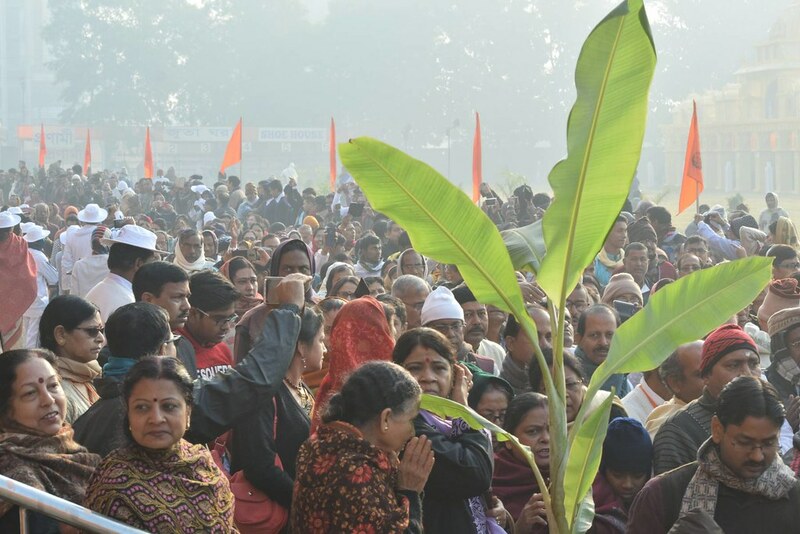 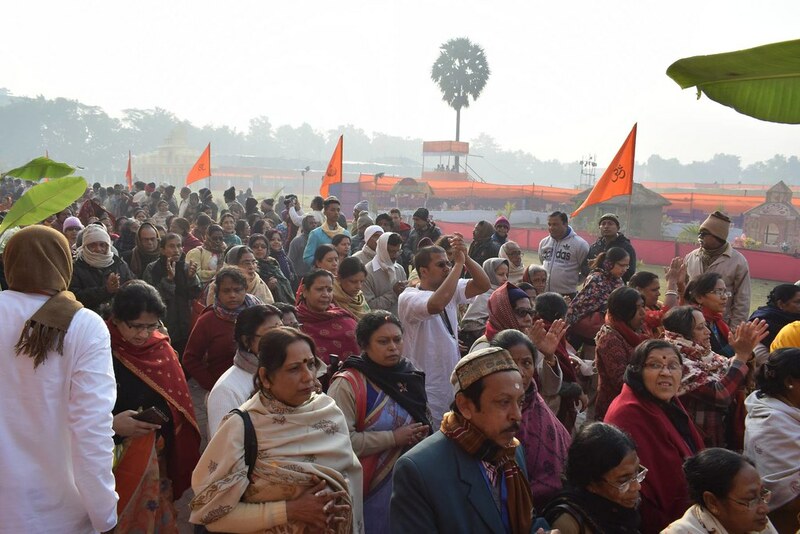 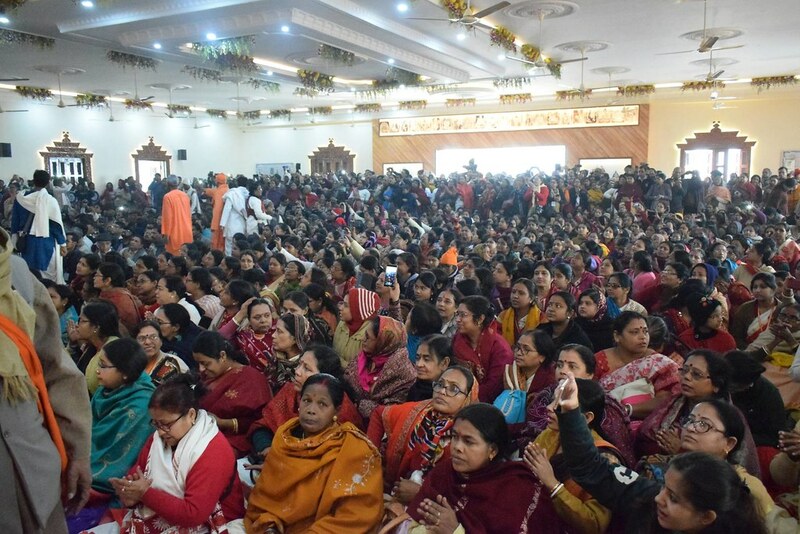 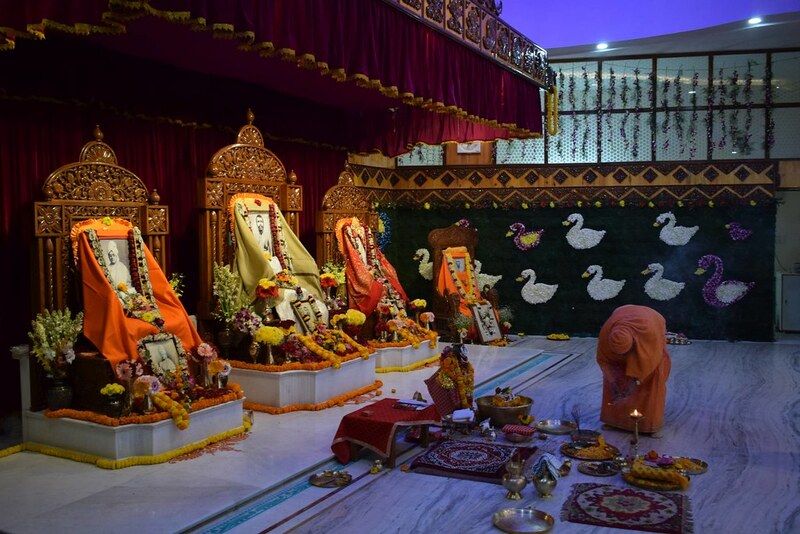 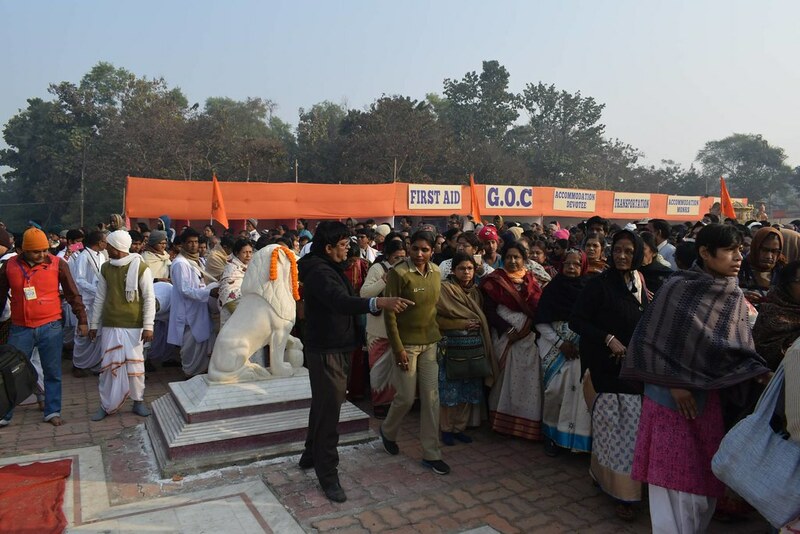 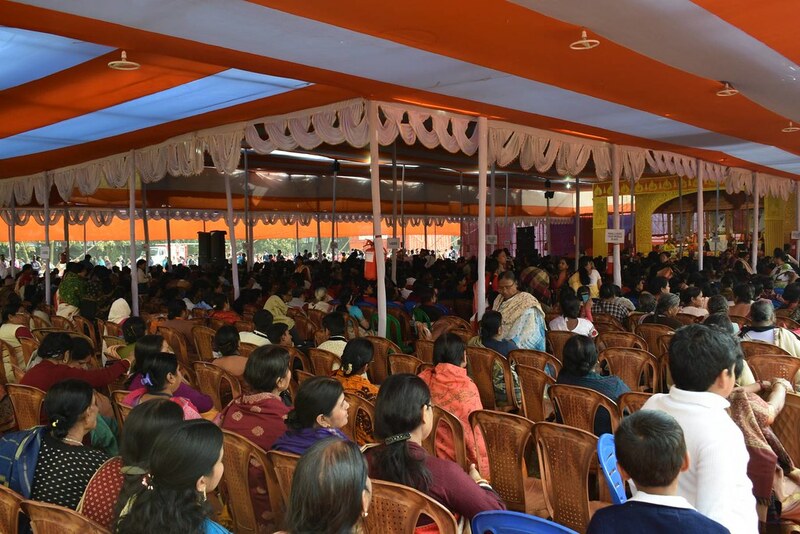 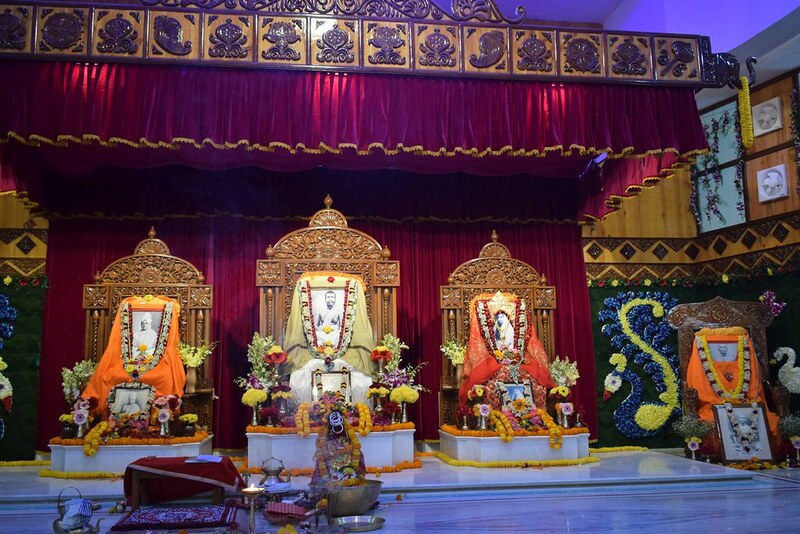 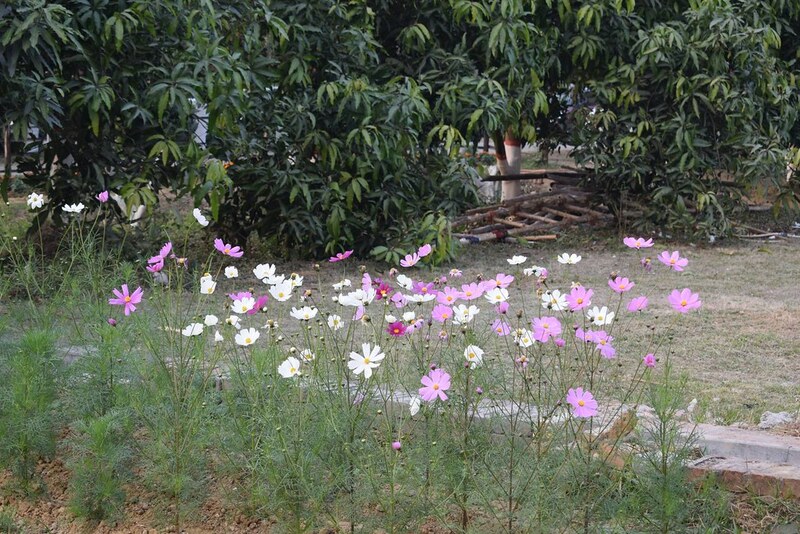 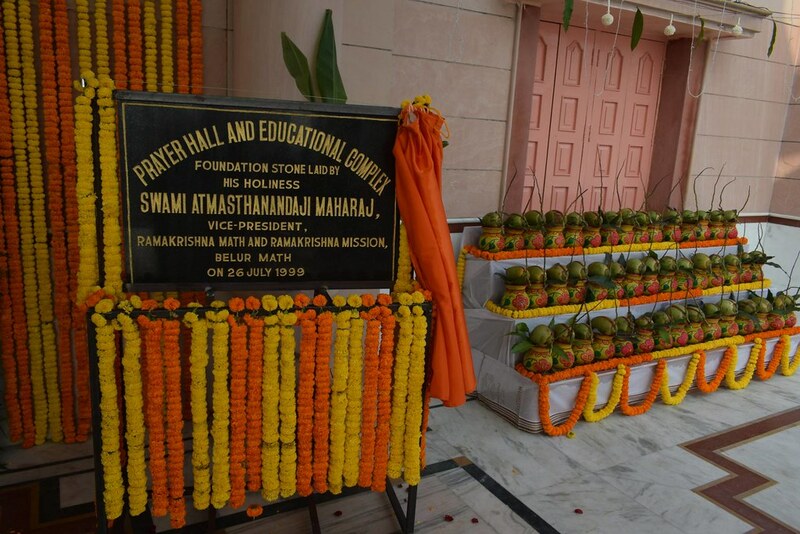 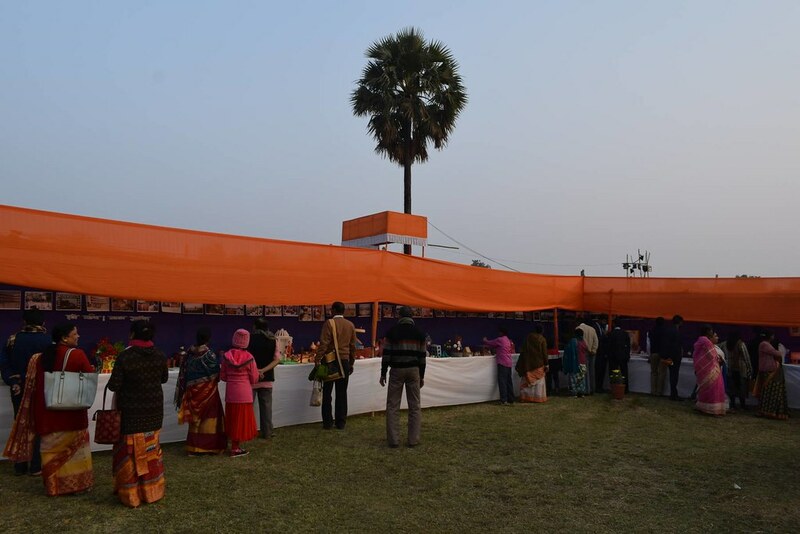 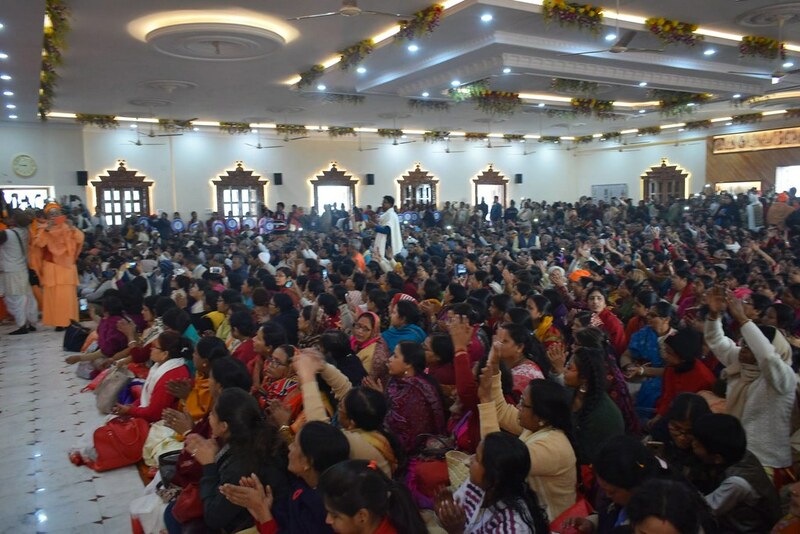 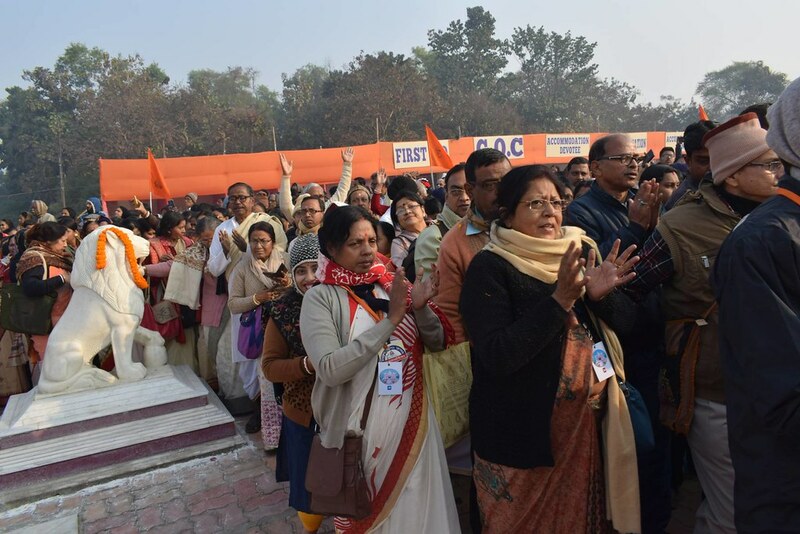 Apart from the special puja of Sri Sri Thakur in the new temple, there was a public meeting in the morning which was presided over by Swami Suvirananda, the General Secretary Maharaj. 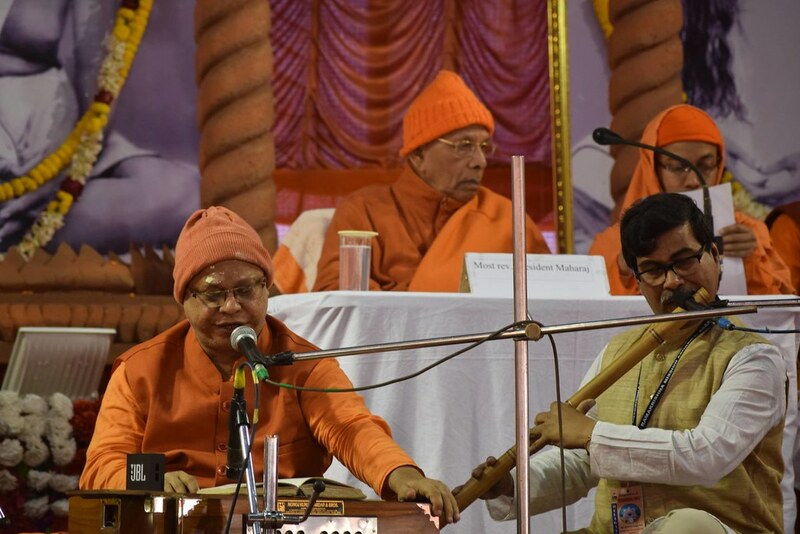 Swami Divyavratananda sang the opening song, followed by a welcome address by Swami Somatmananda, the present Secretary of the Ashrama. 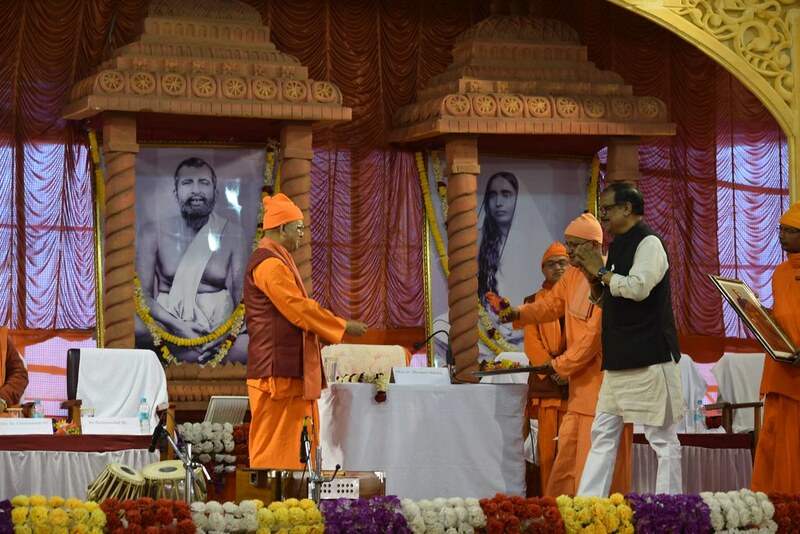 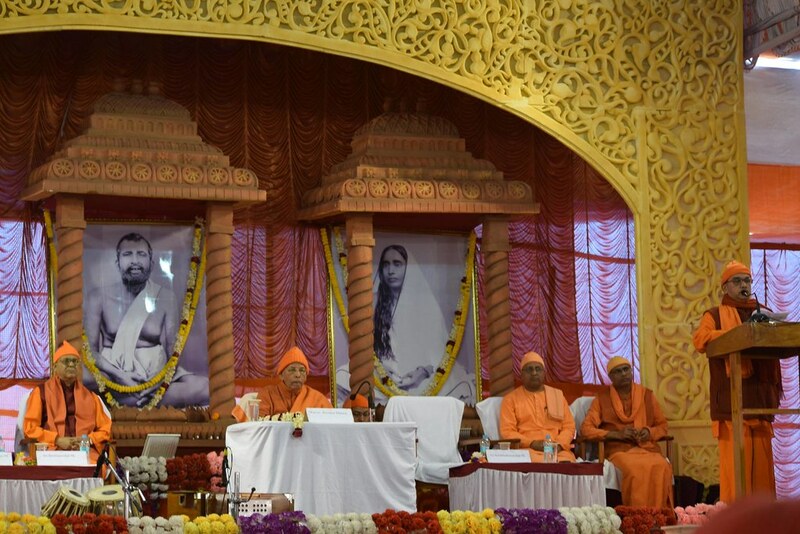 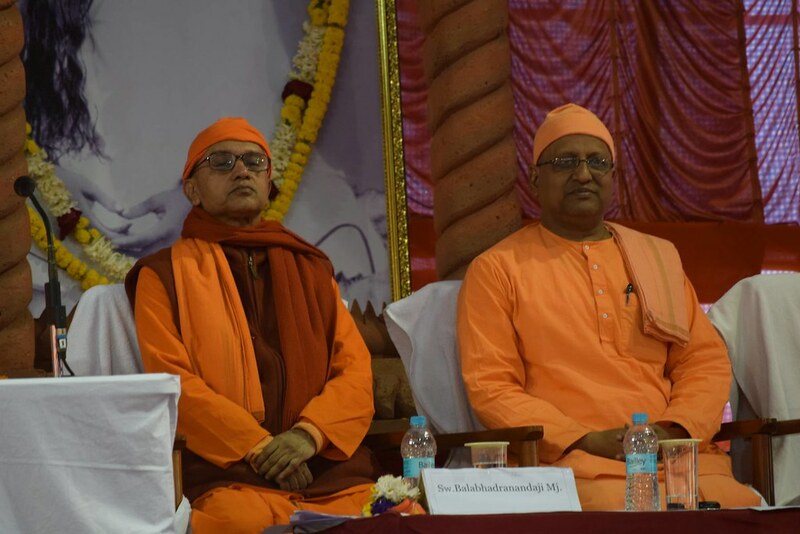 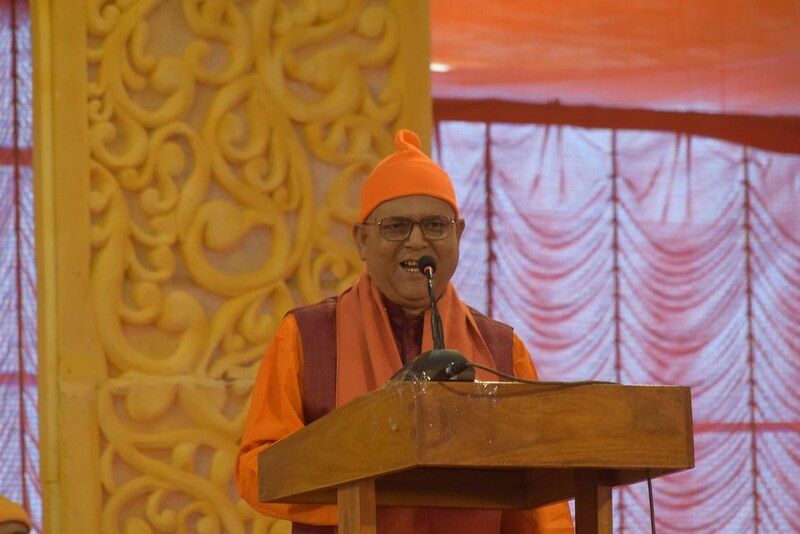 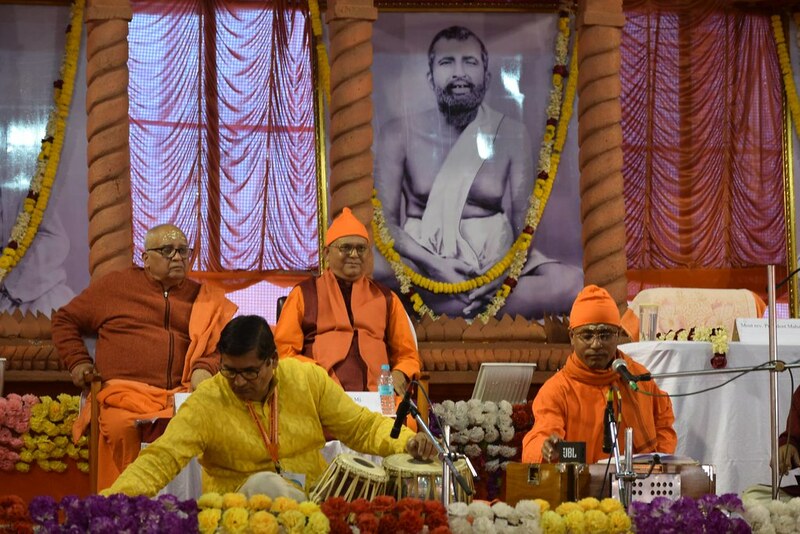 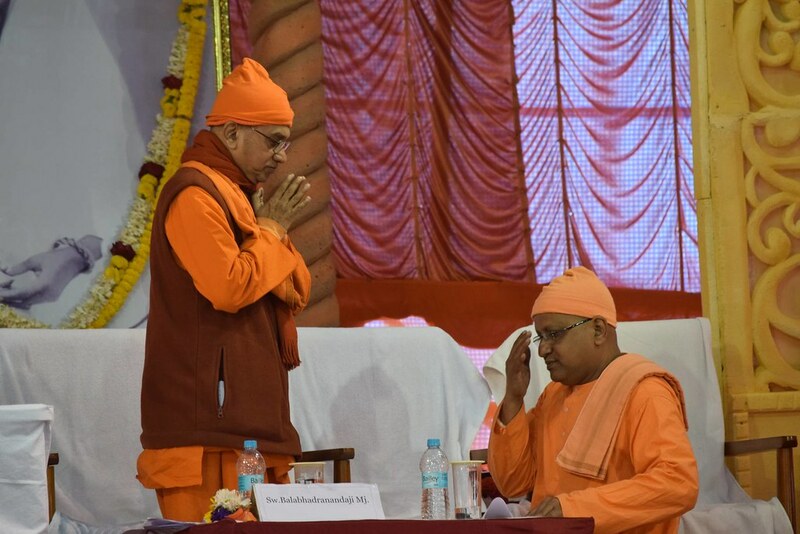 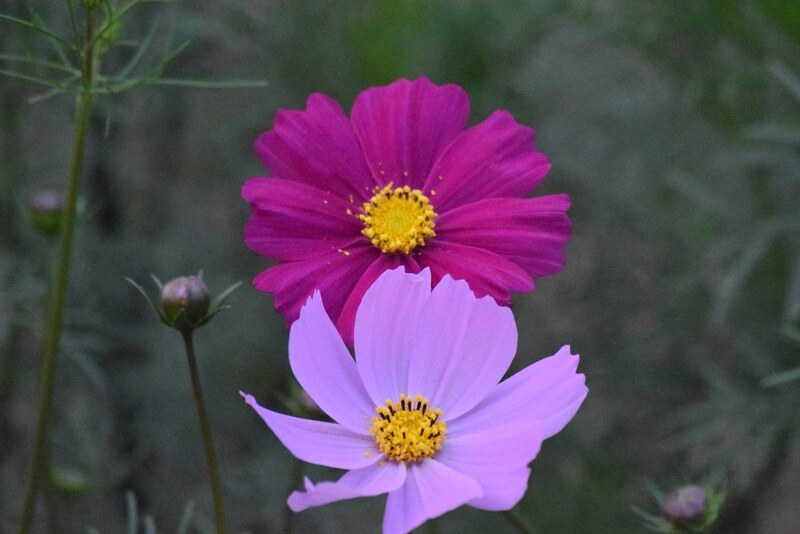 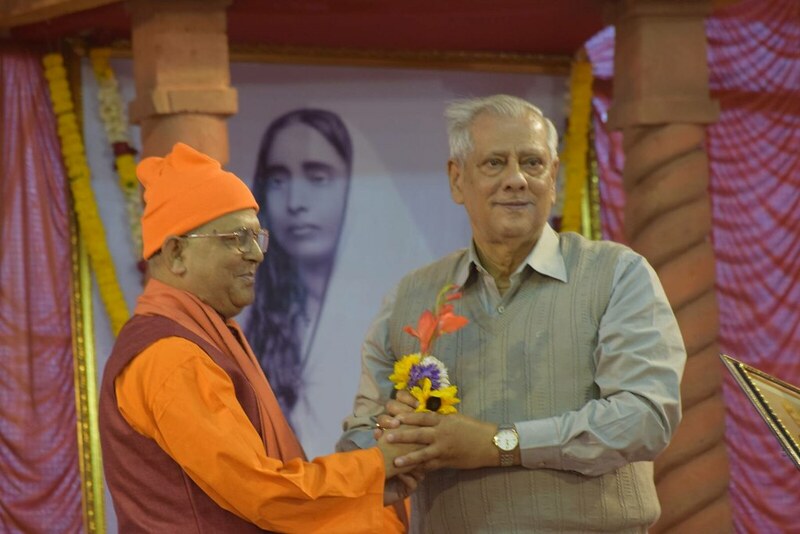 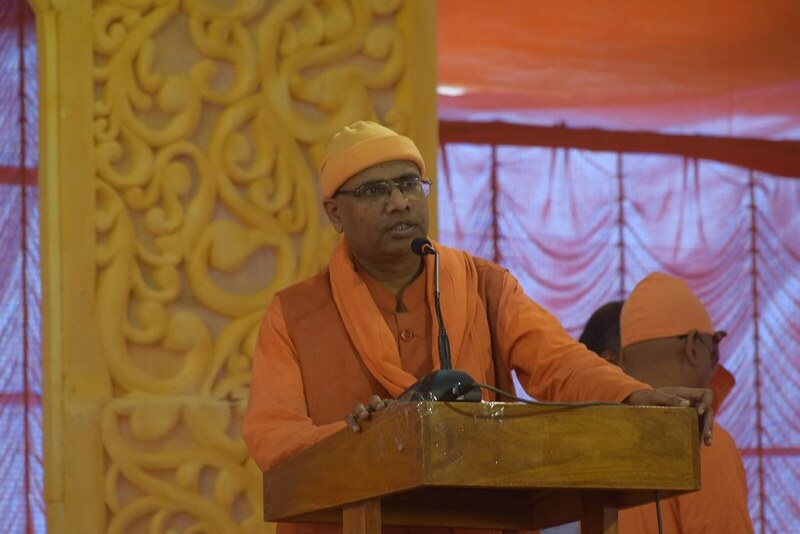 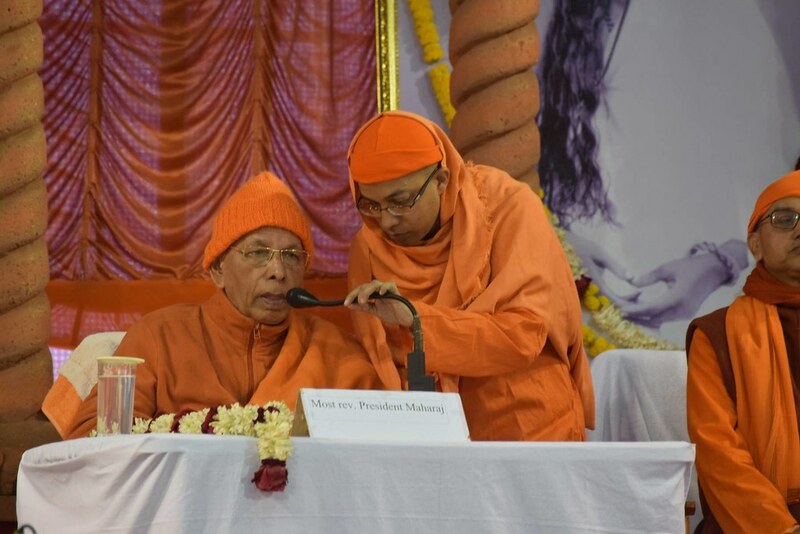 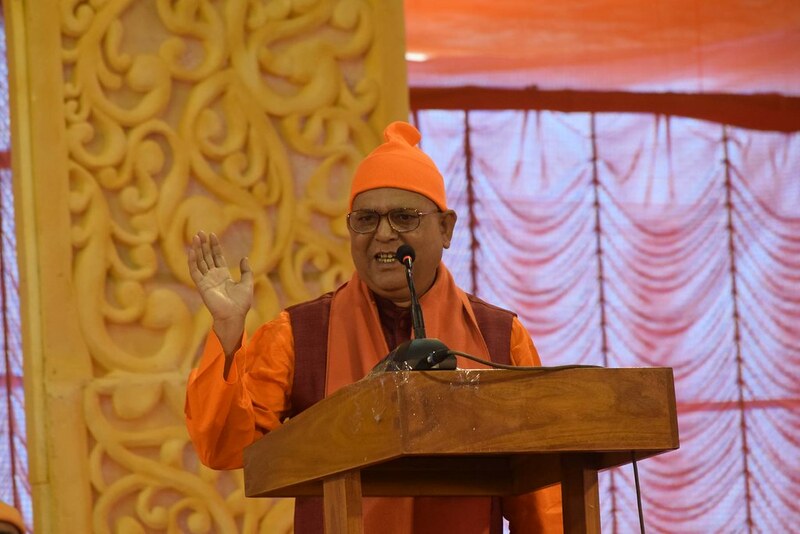 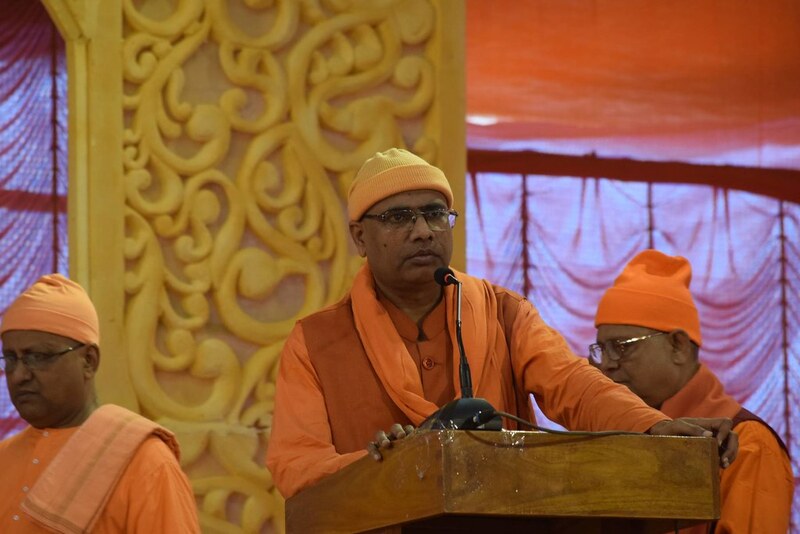 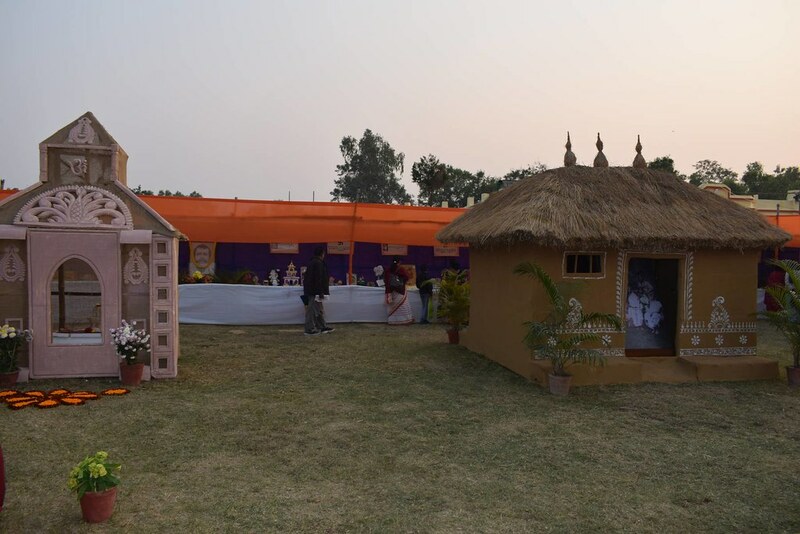 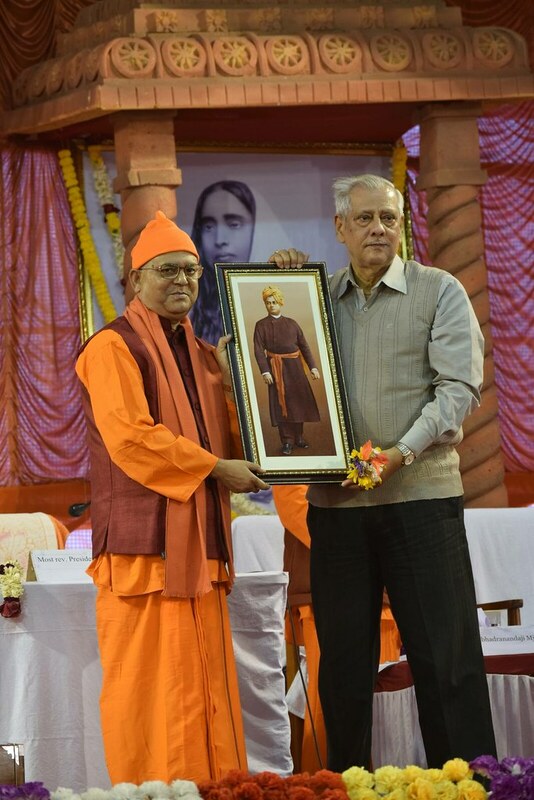 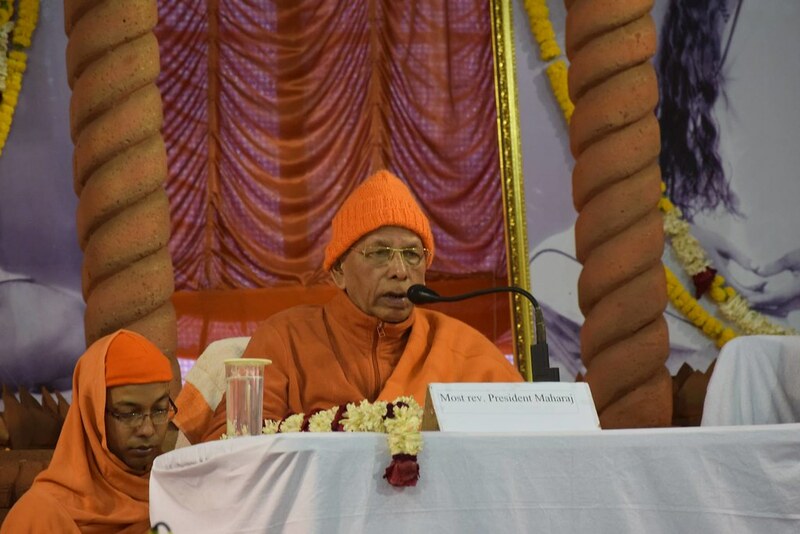 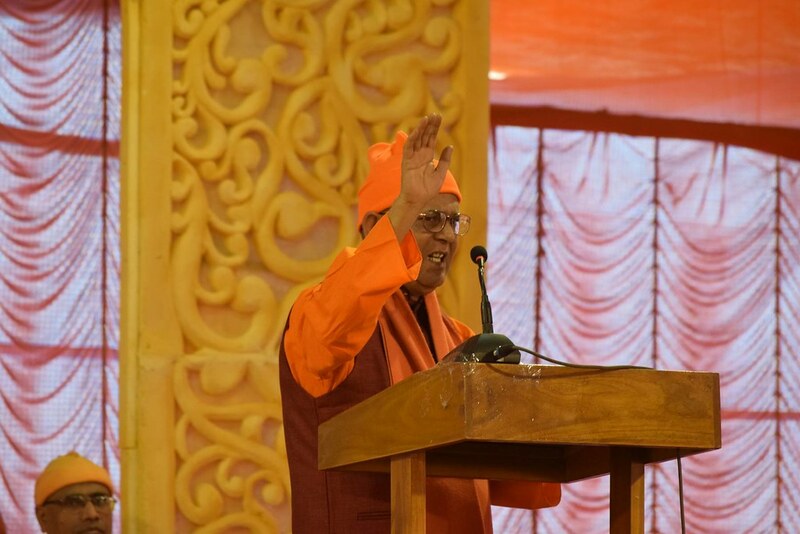 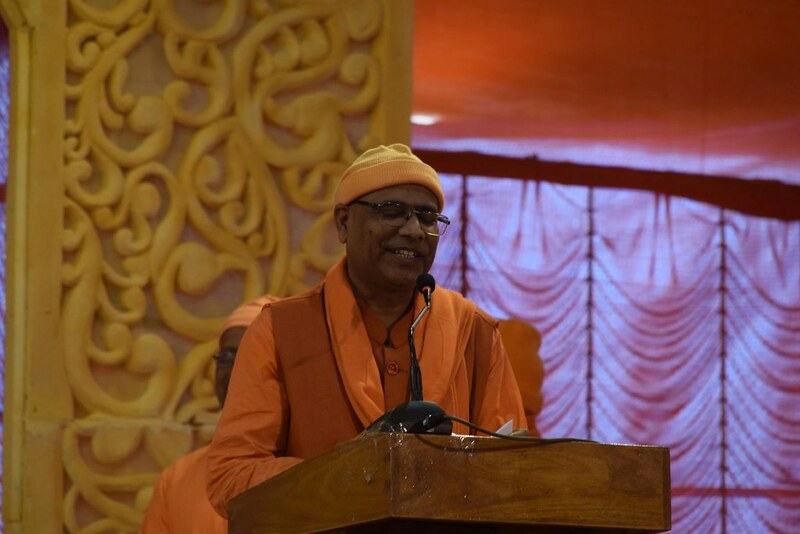 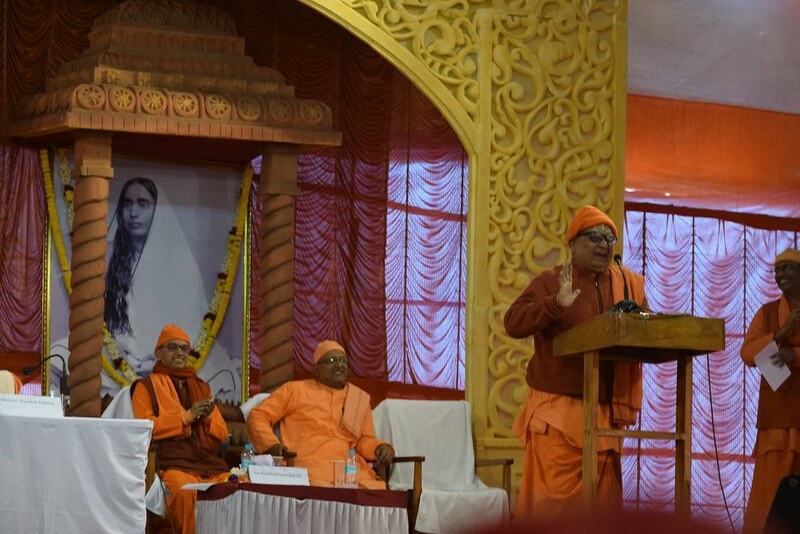 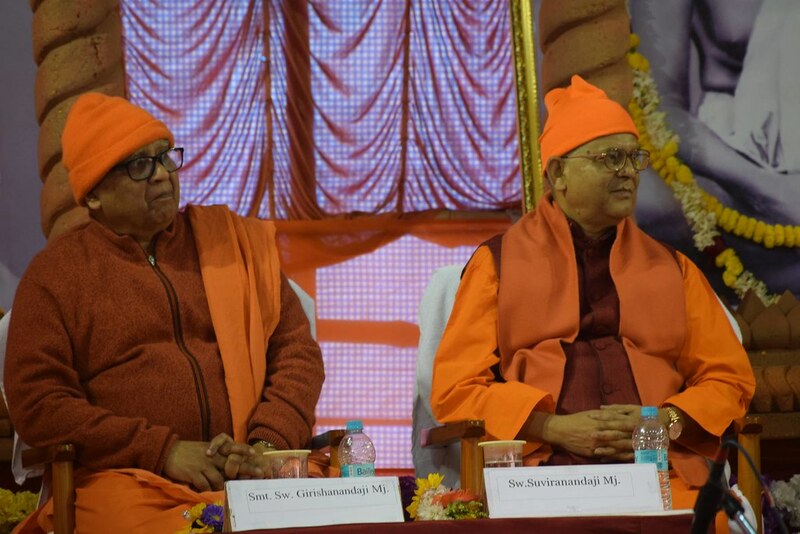 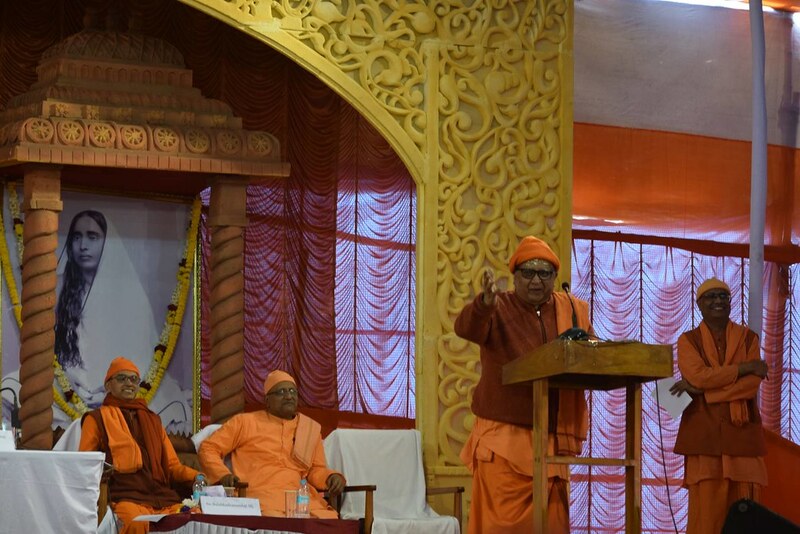 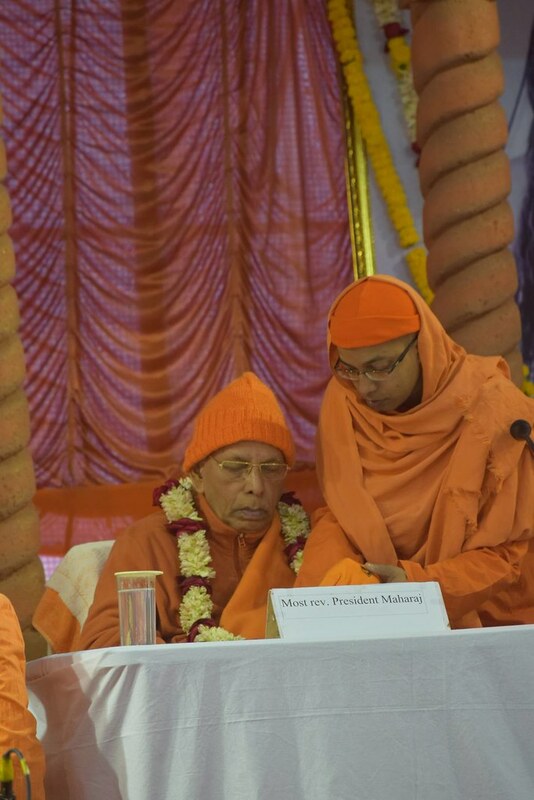 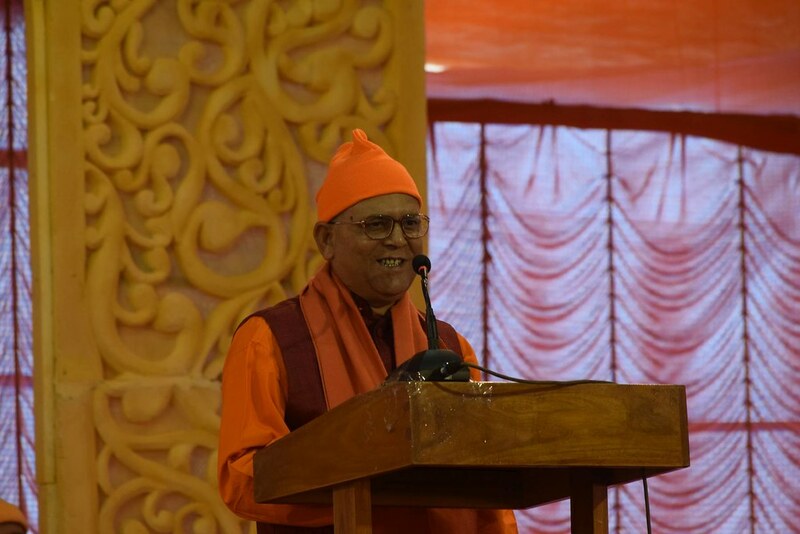 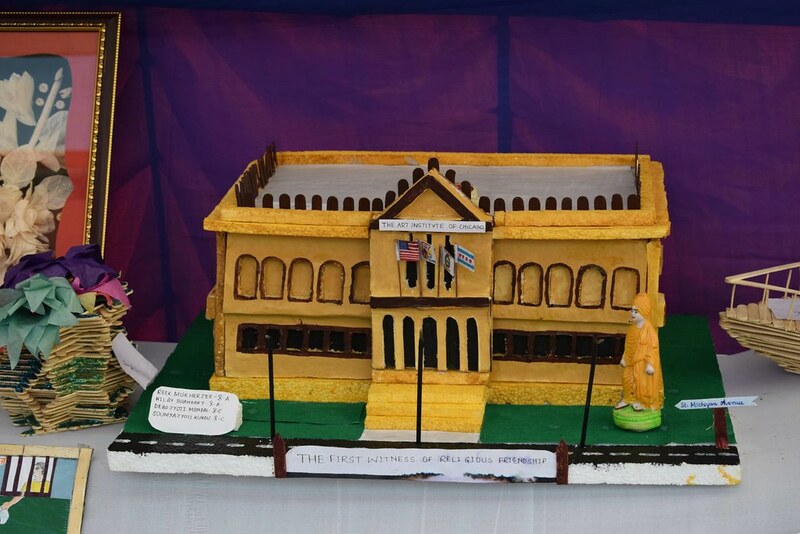 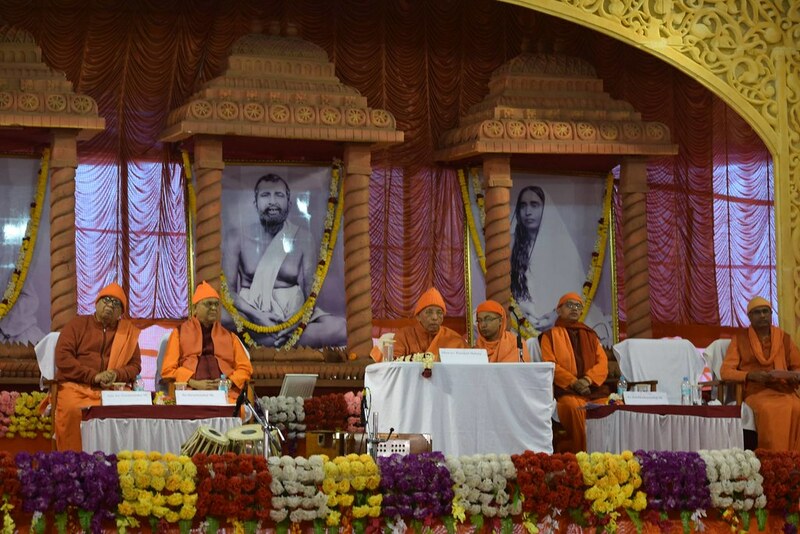 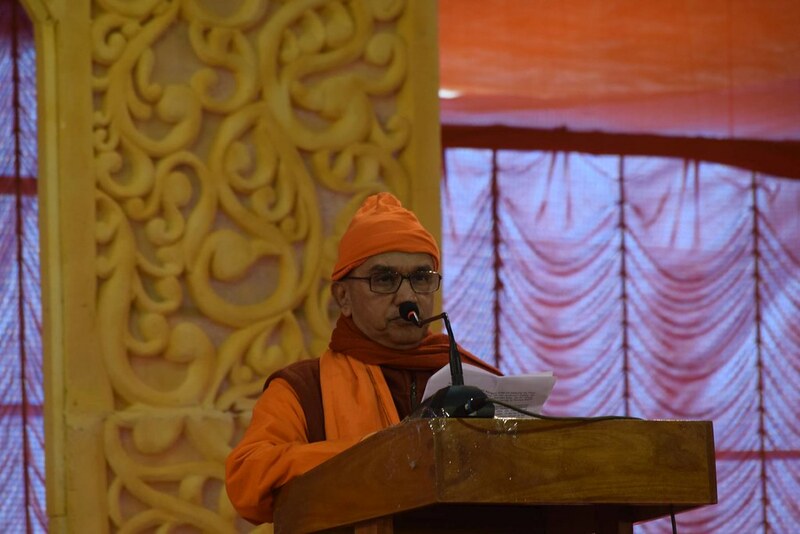 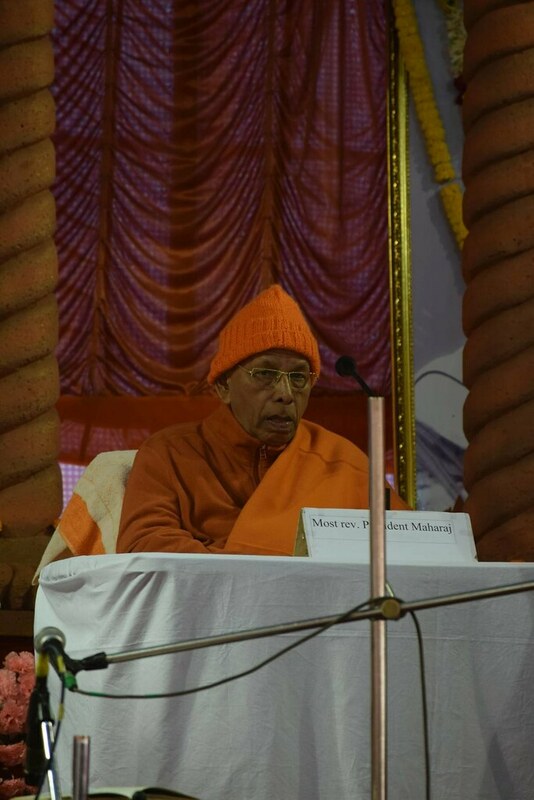 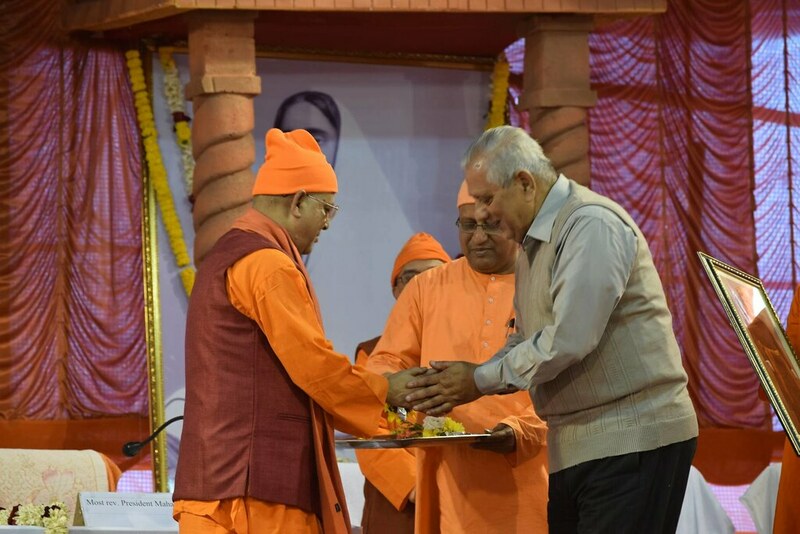 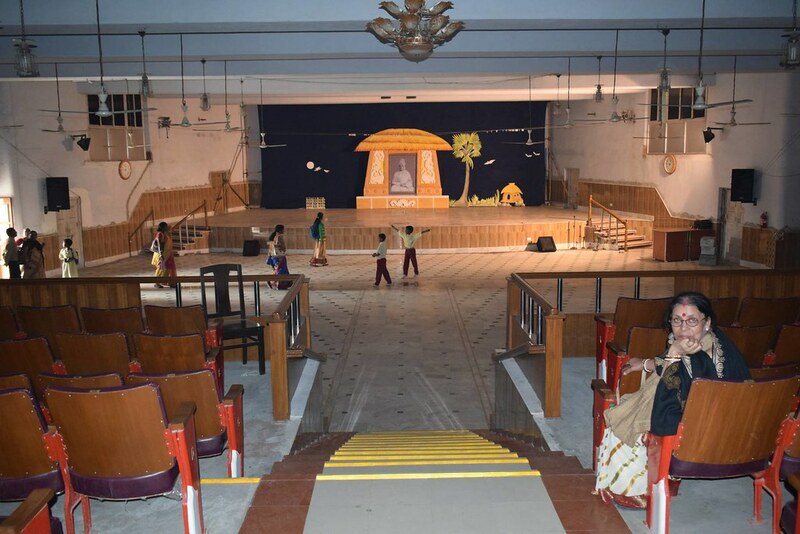 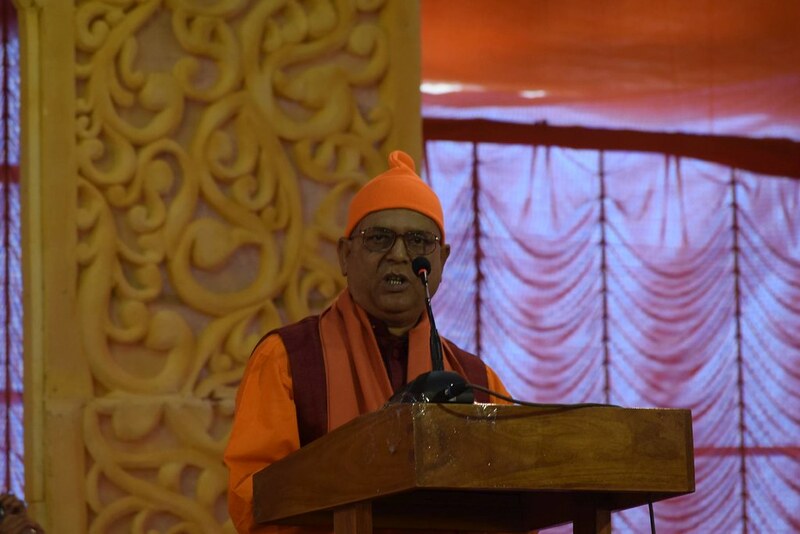 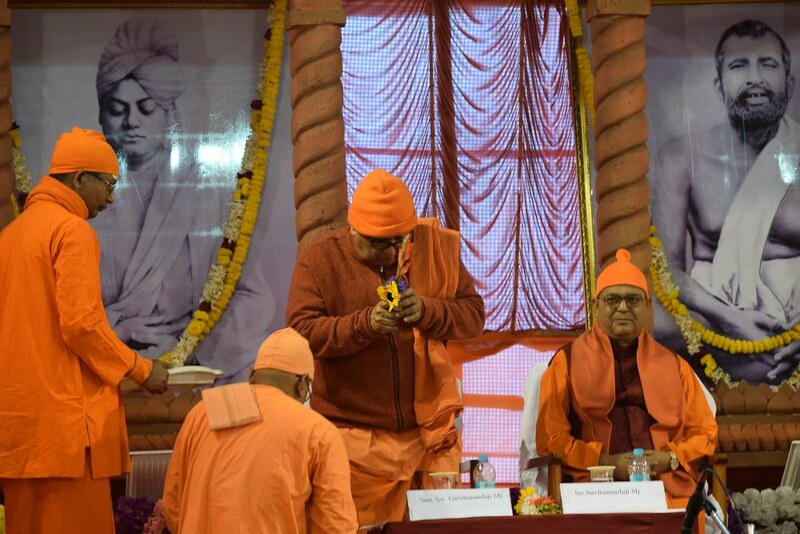 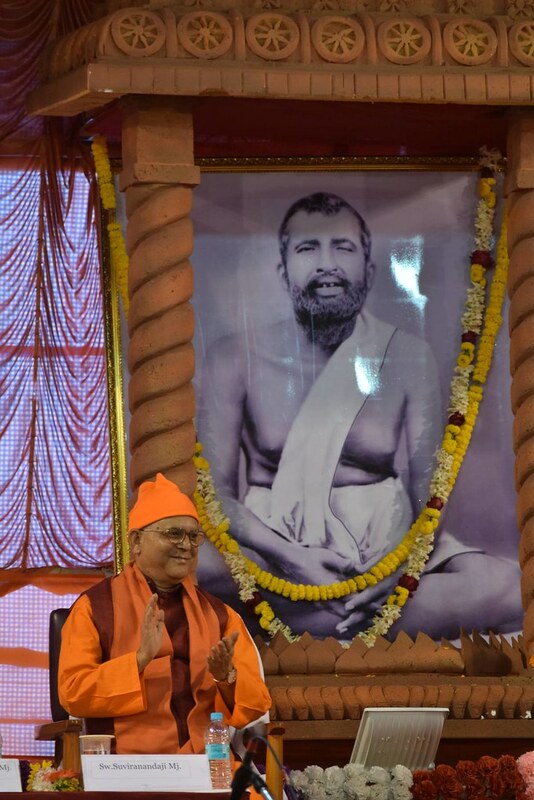 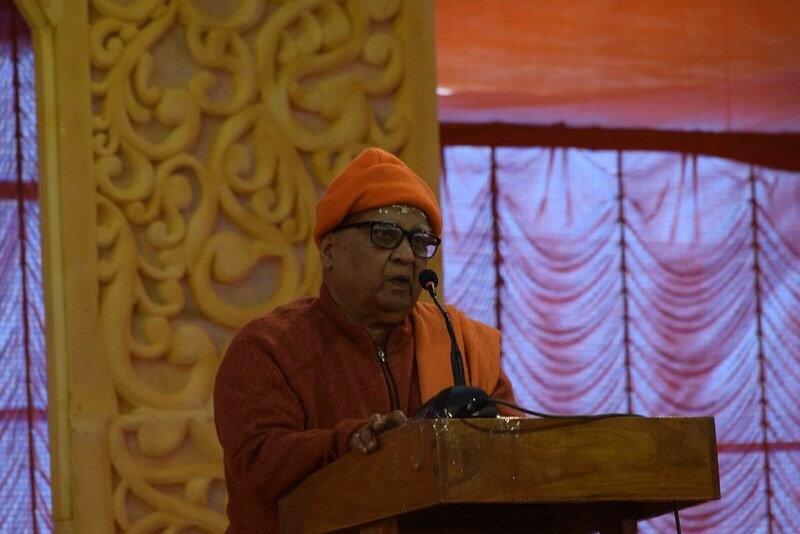 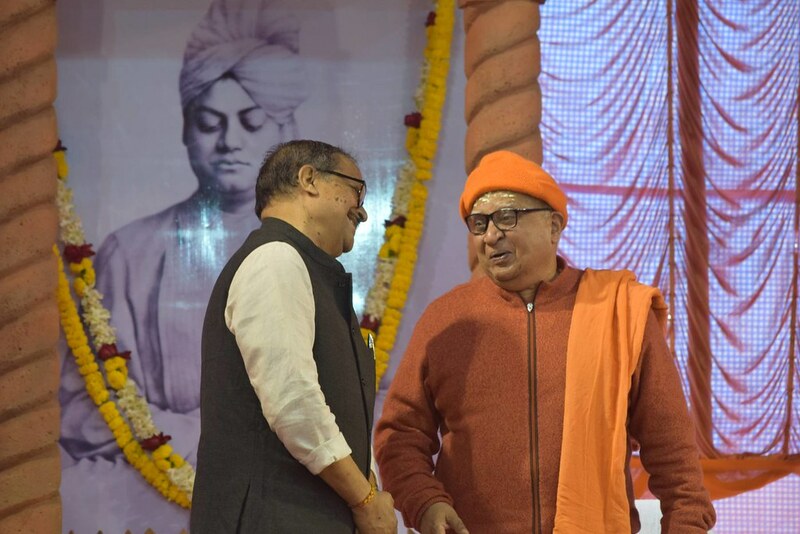 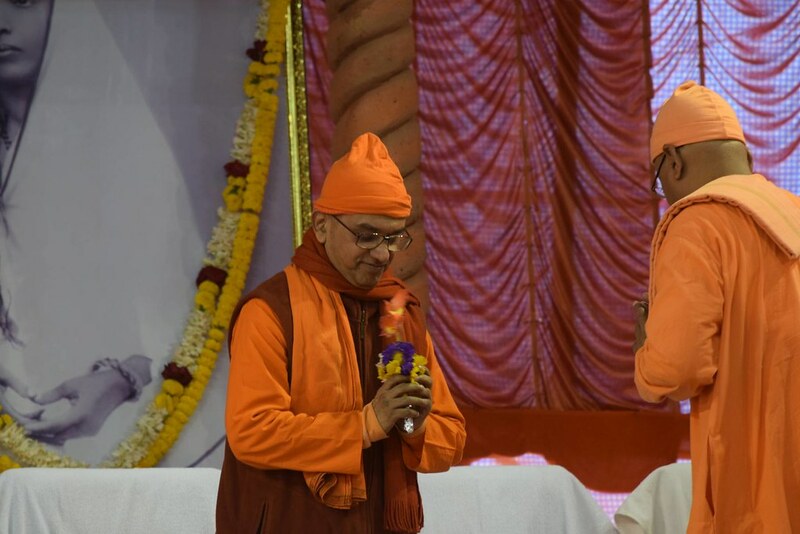 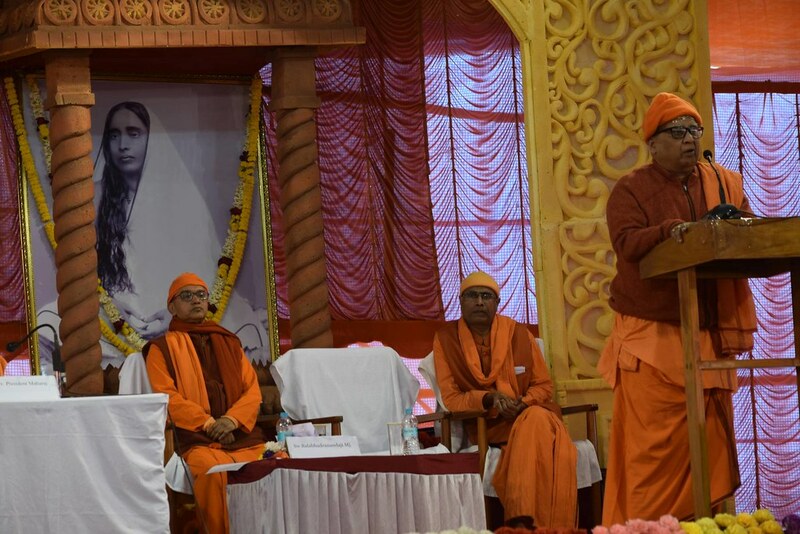 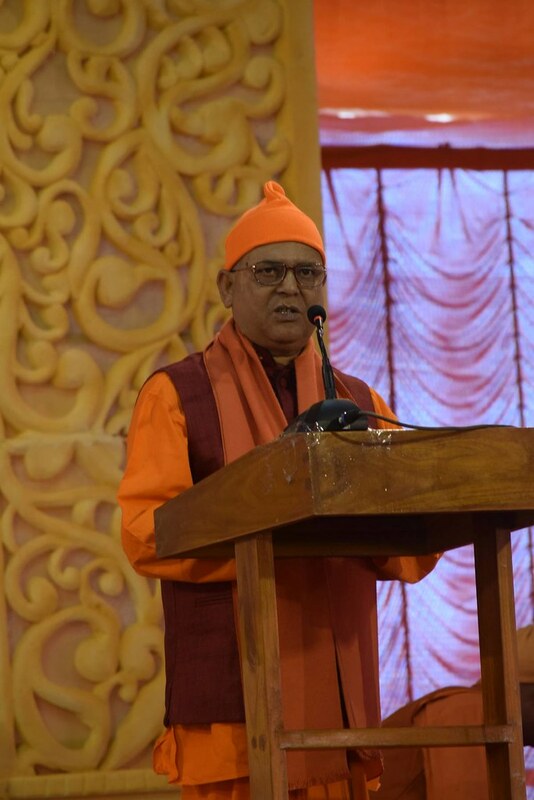 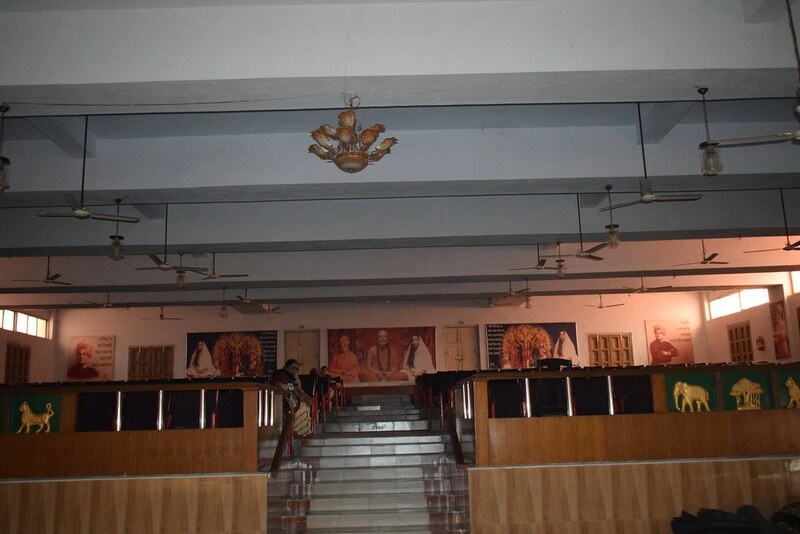 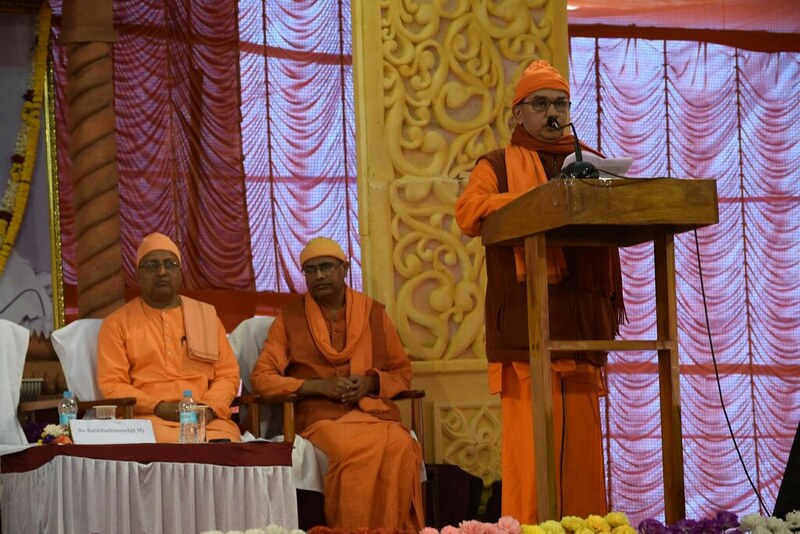 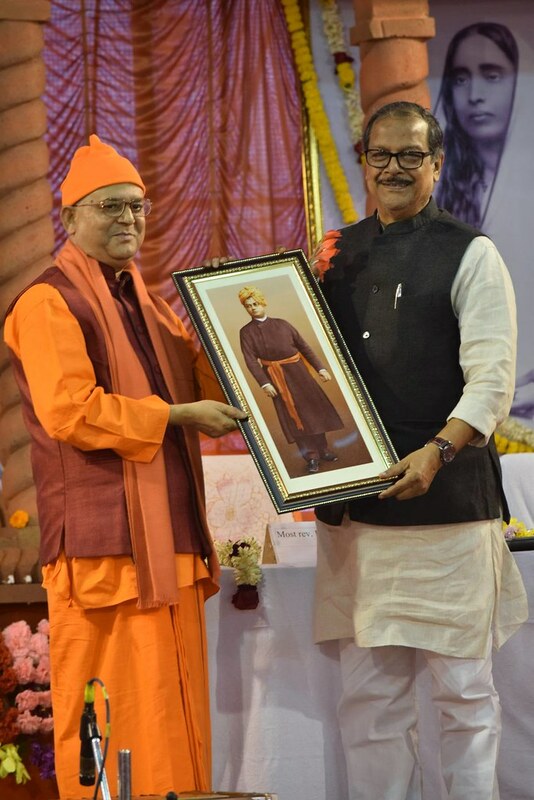 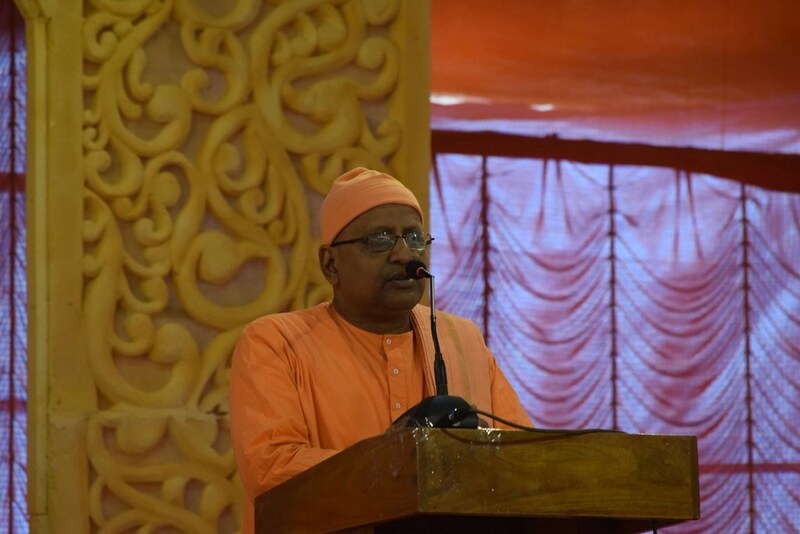 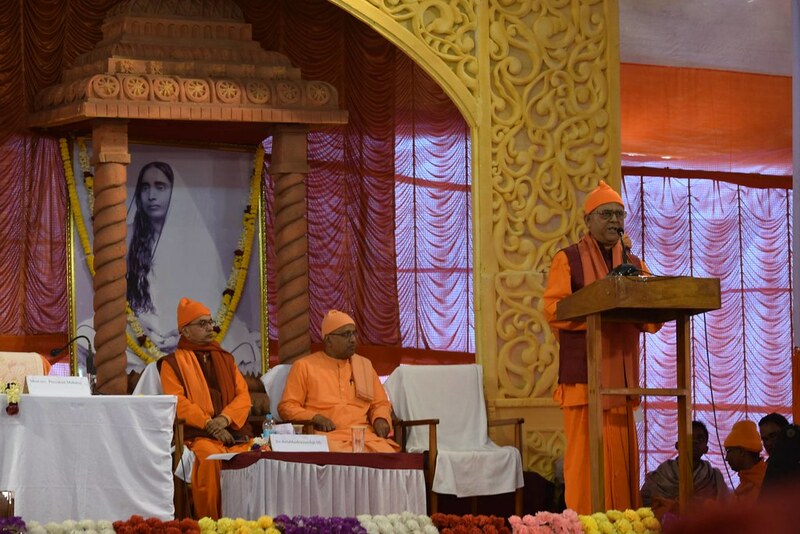 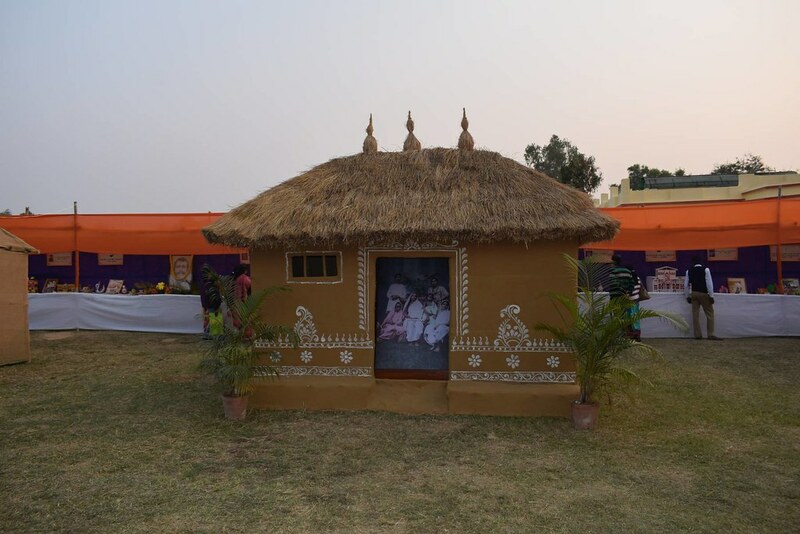 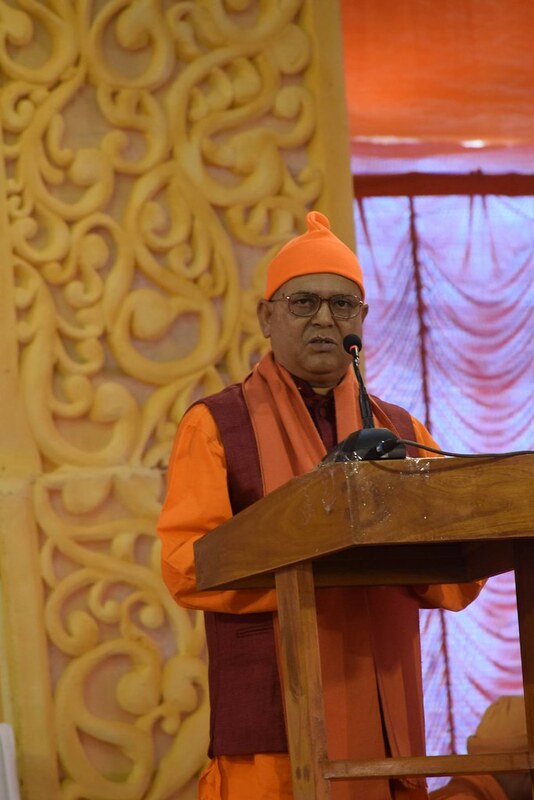 Swami Balabhadrananda and Swami Girishananda, both previous Secretaries of the Centre, spoke about the Ashrama’s history, its development since it was shifted to the present location in 1994 and the services it has been rendering to students and the under-privileged sections of society. 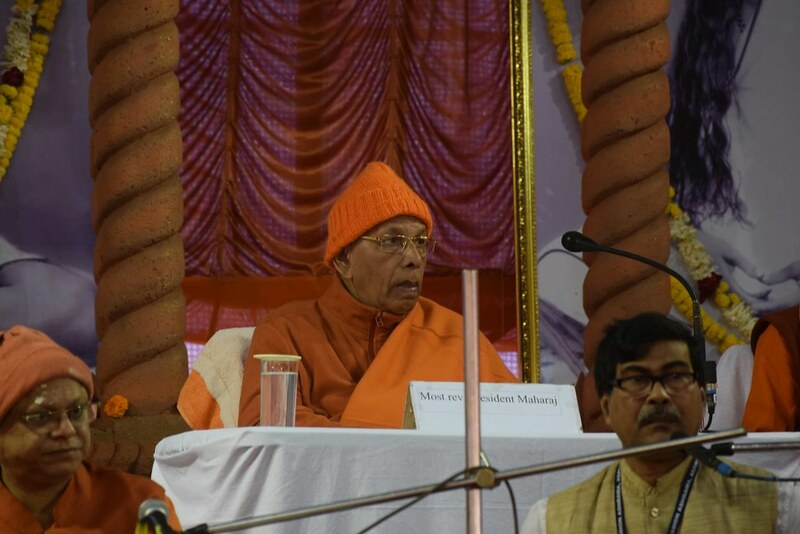 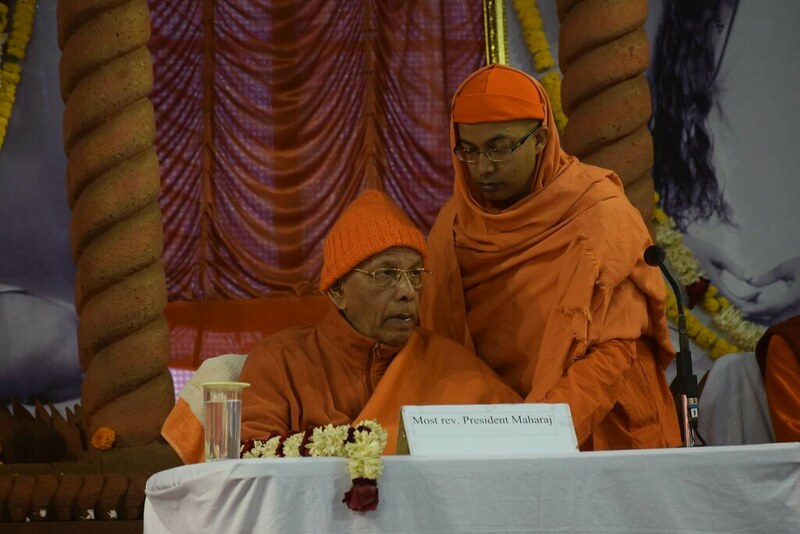 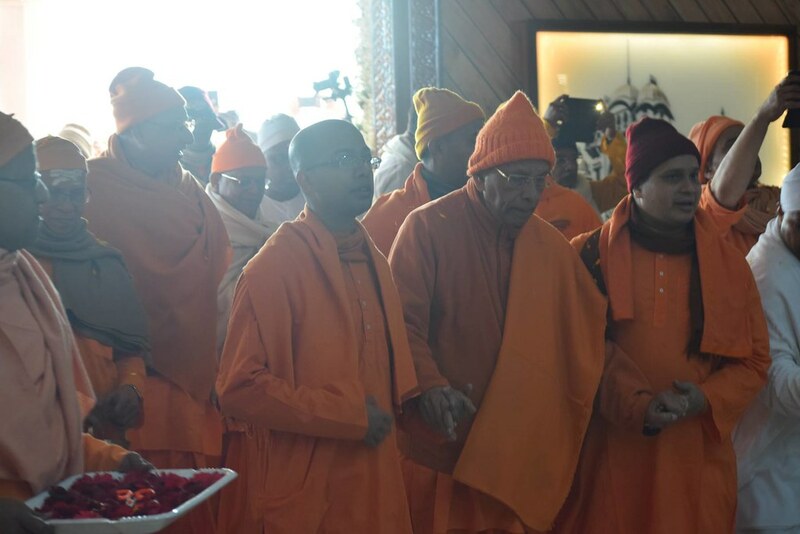 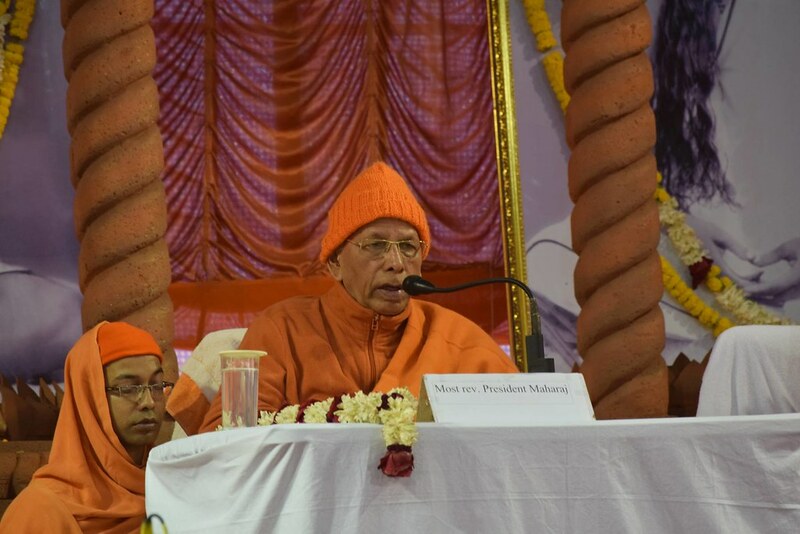 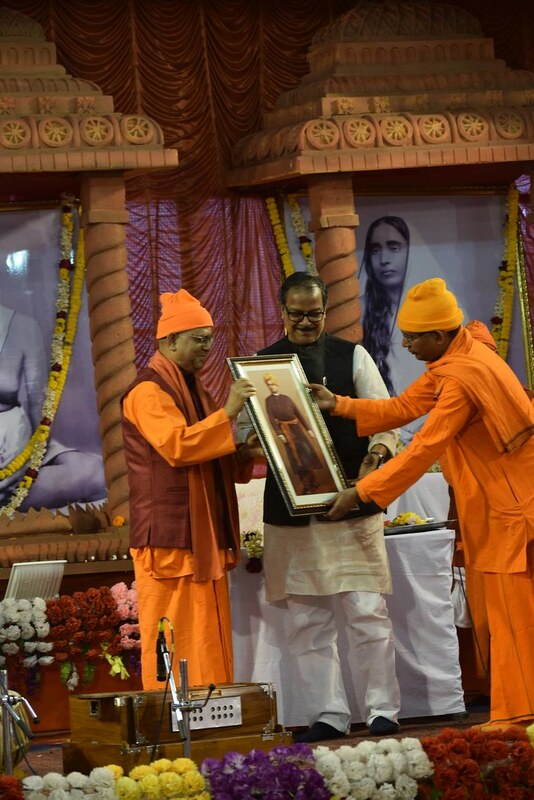 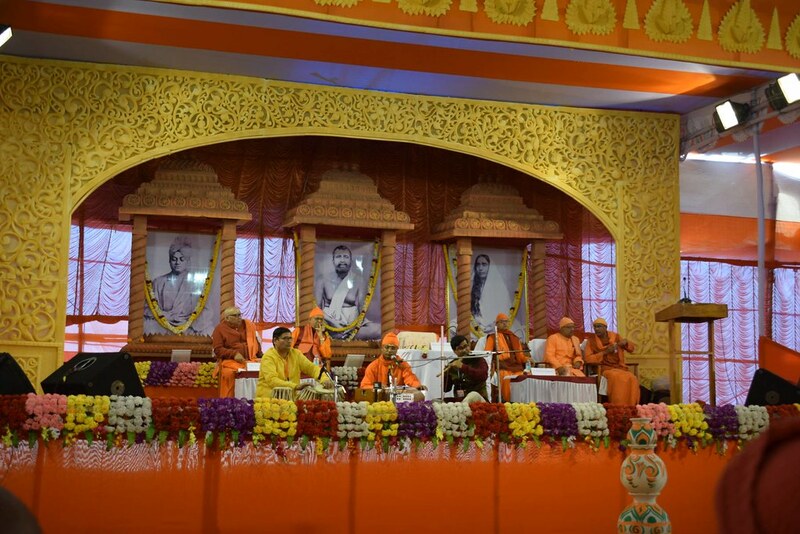 Most Revered President Maharaj gave the benediction. 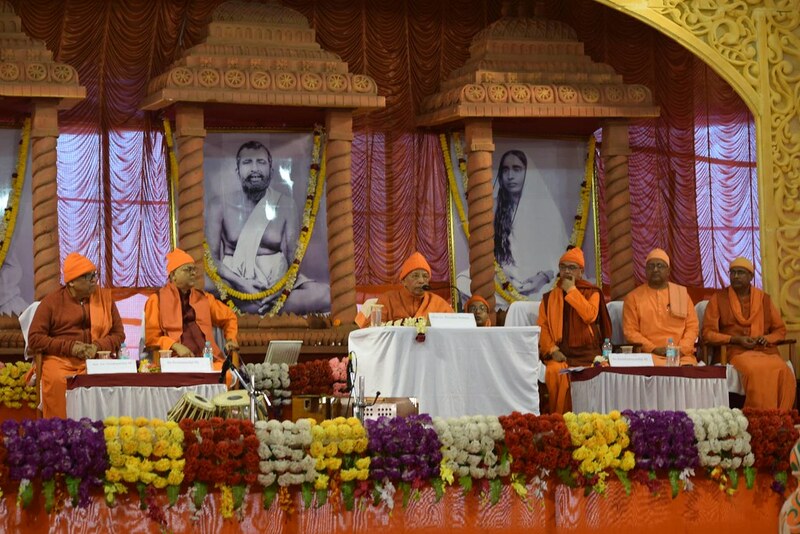 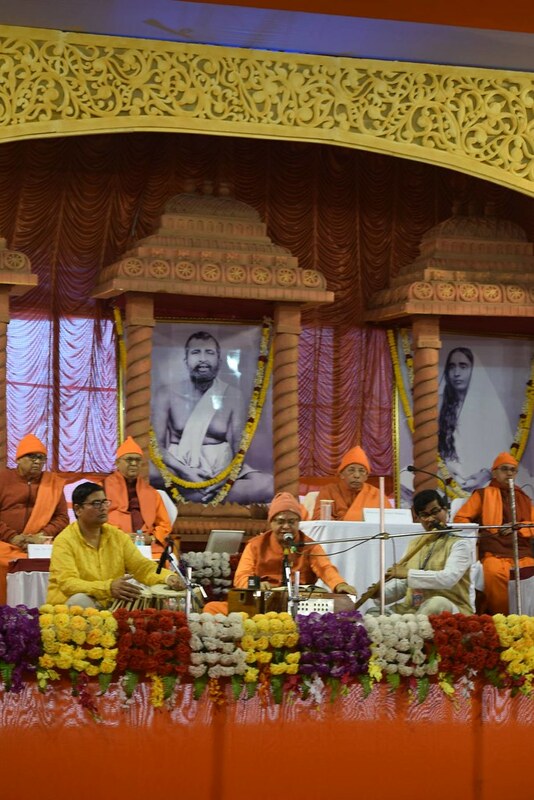 The meeting concluded with devotional songs by Swami Shivadhishananda. 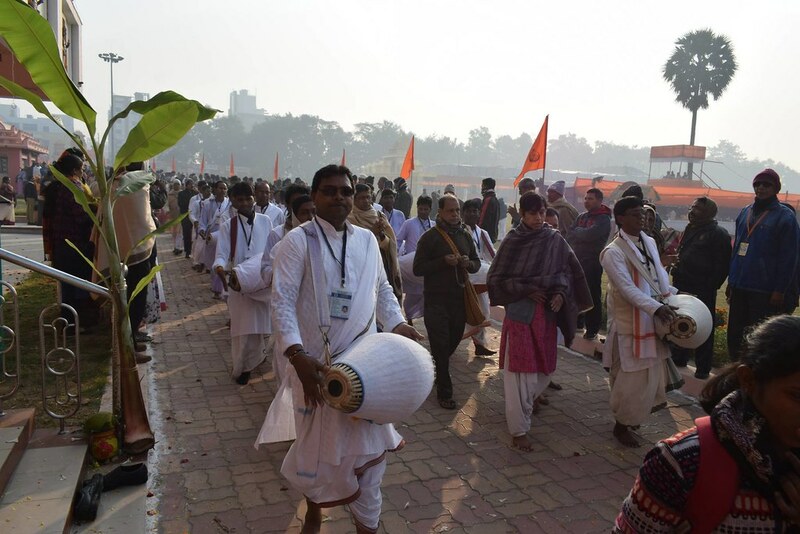 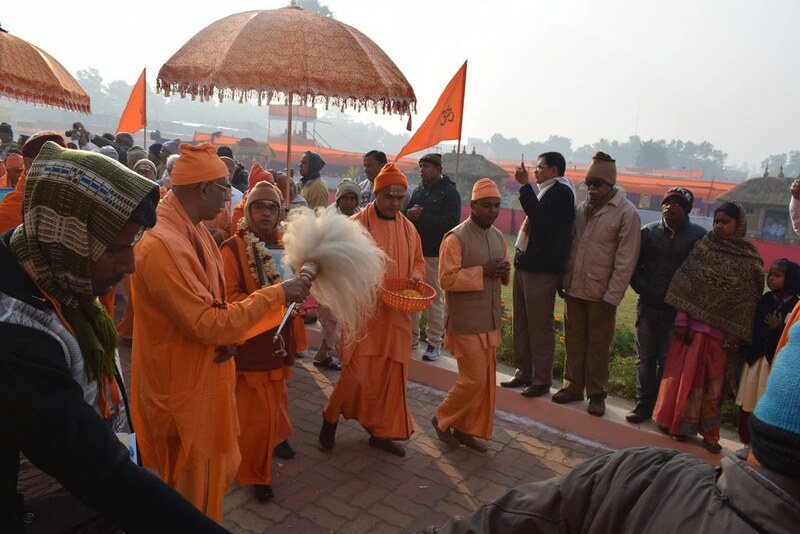 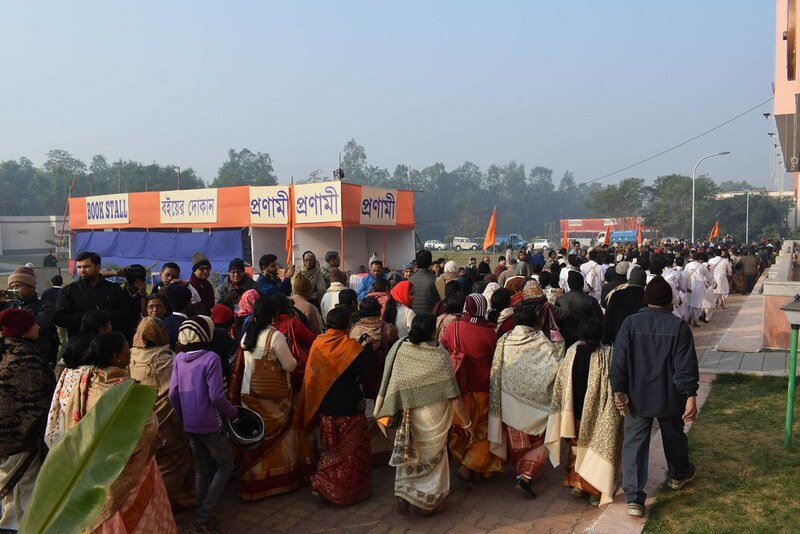 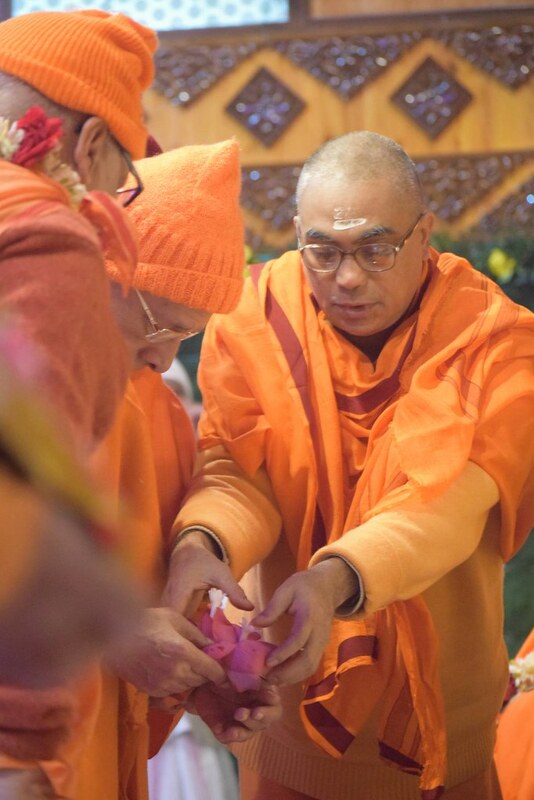 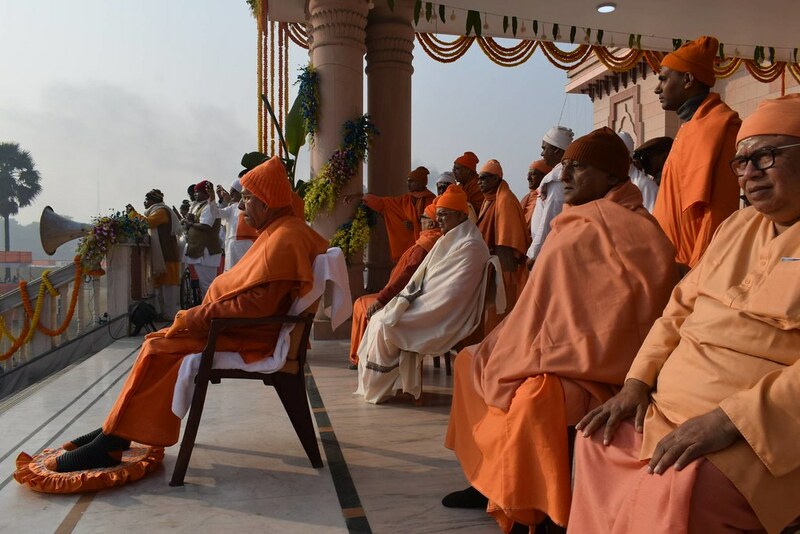 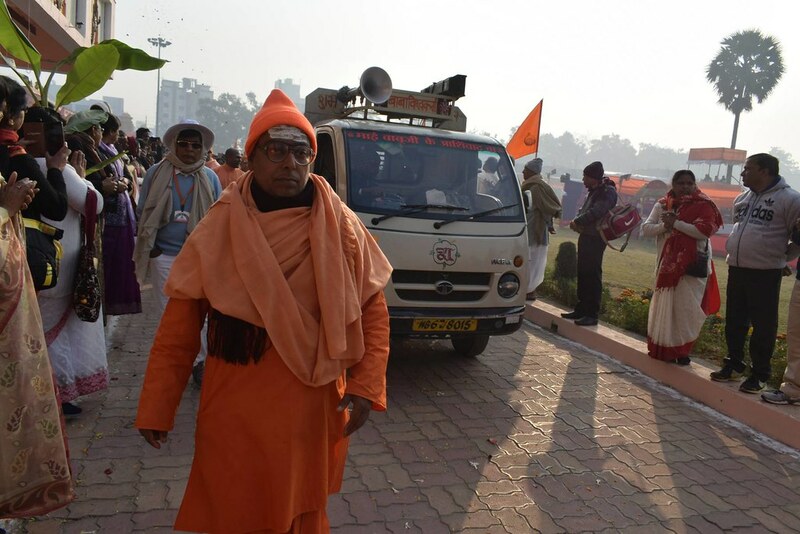 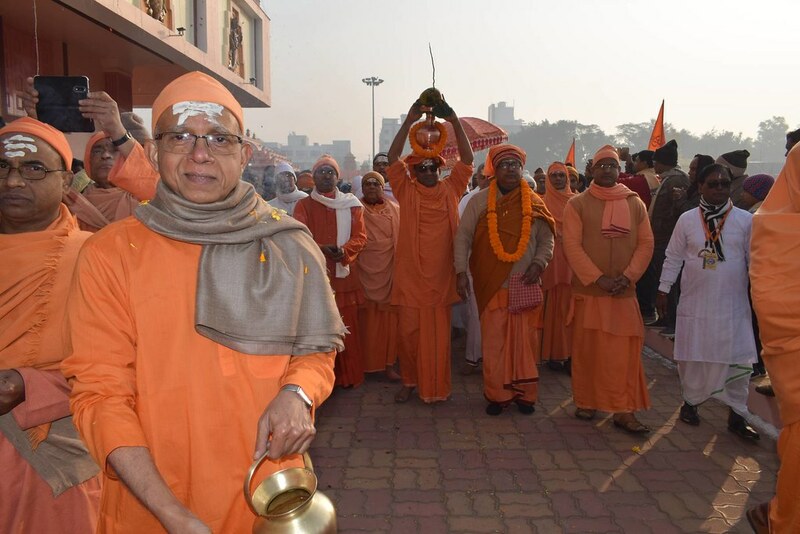 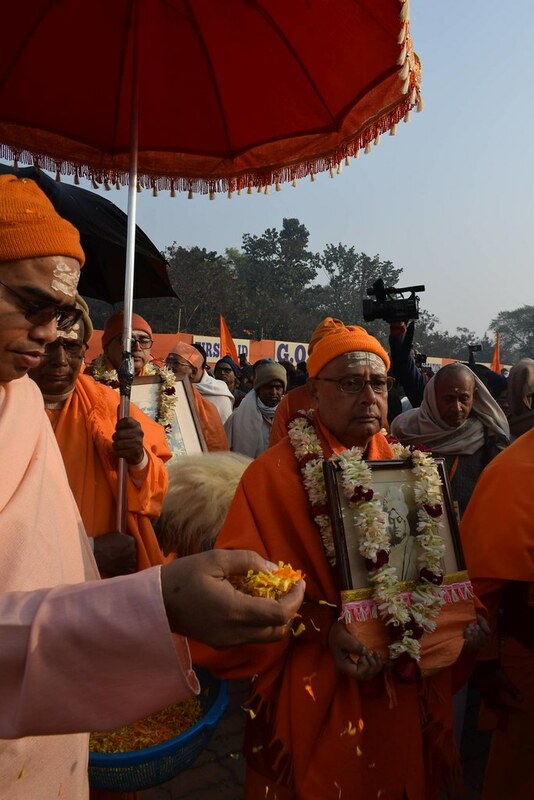 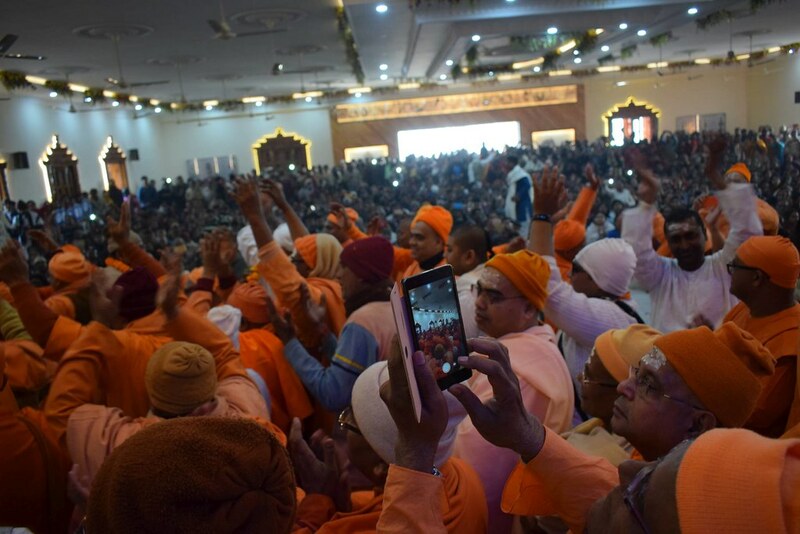 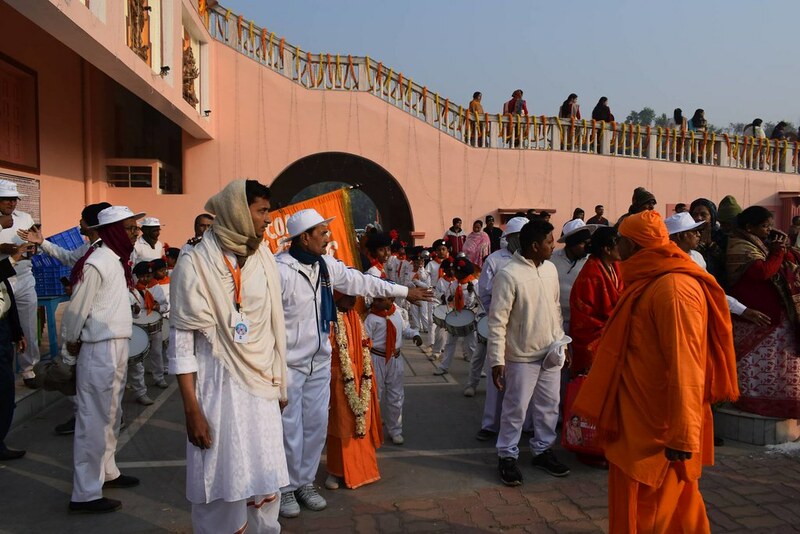 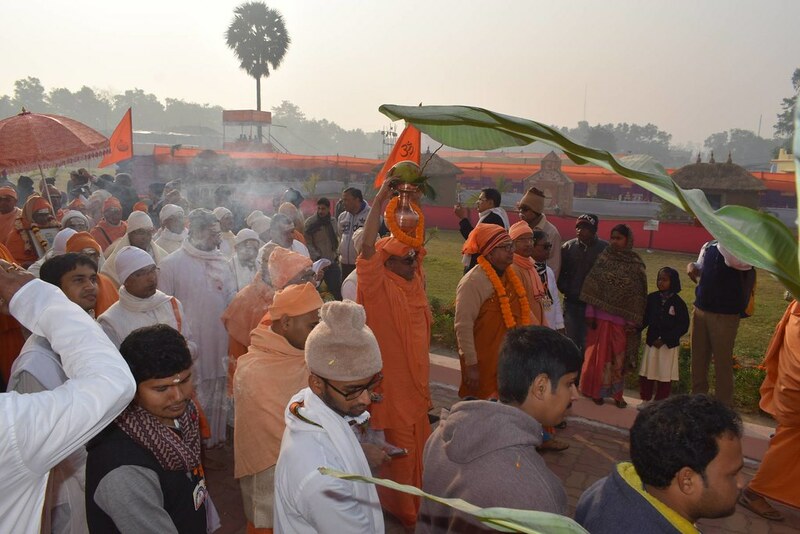 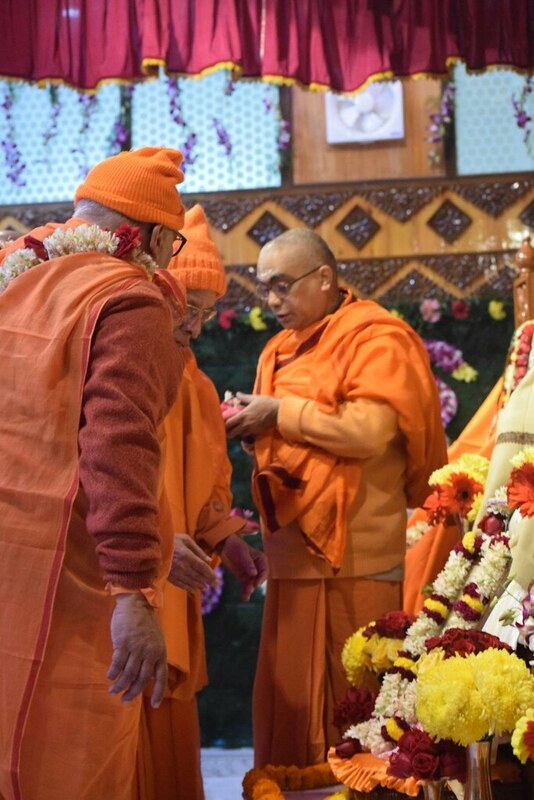 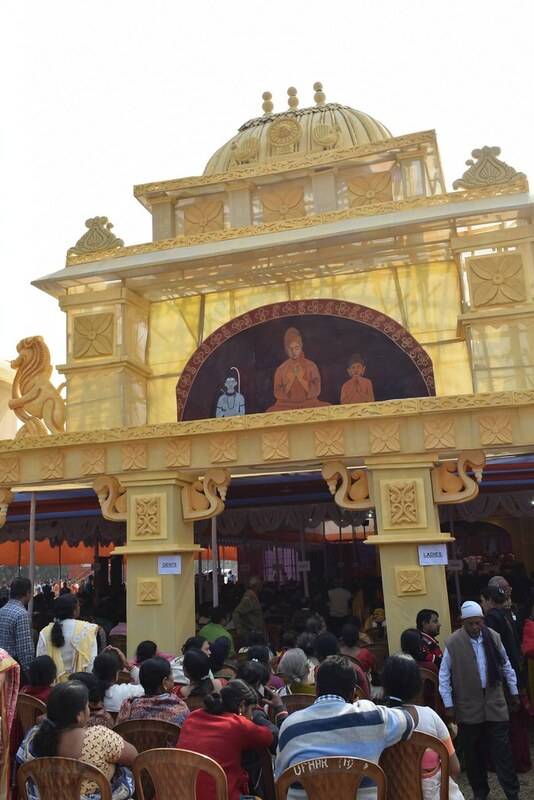 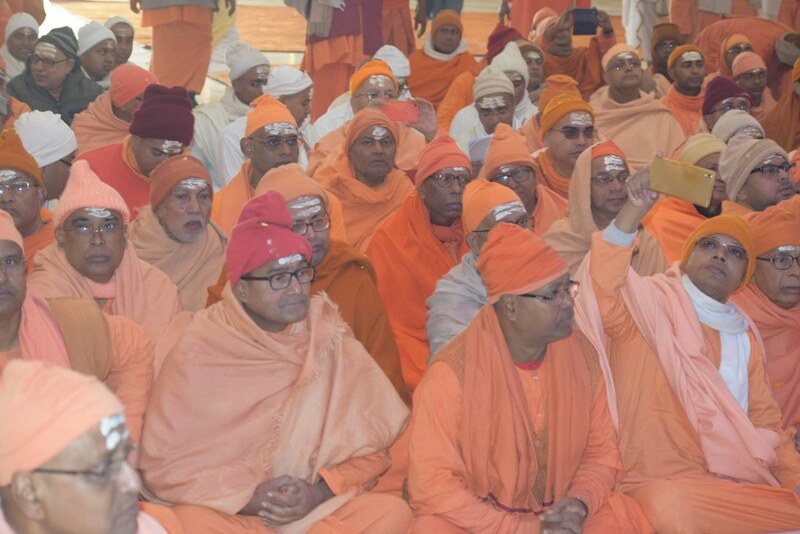 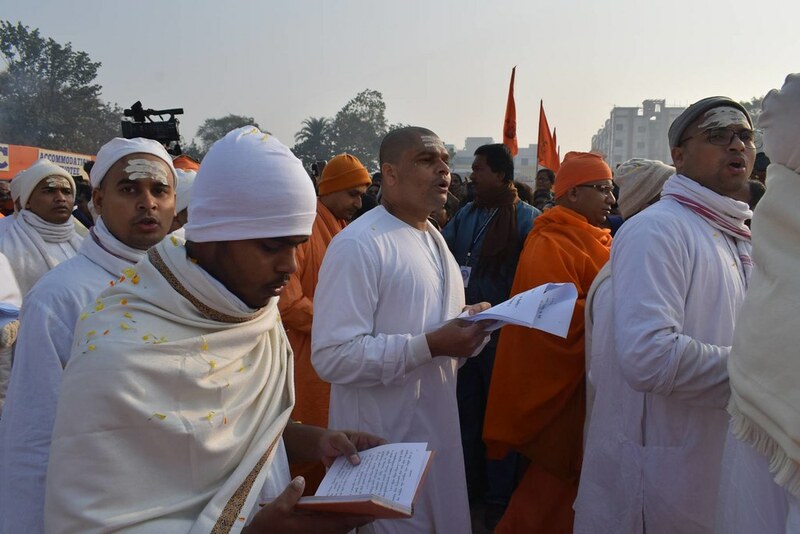 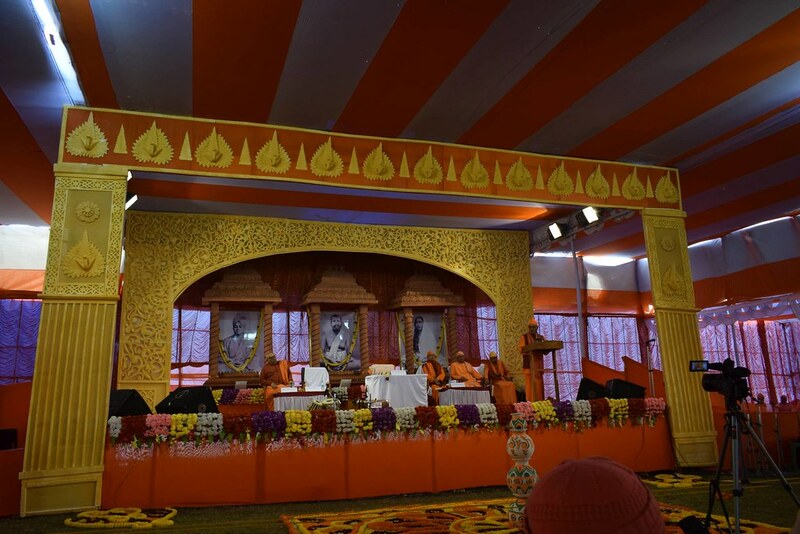 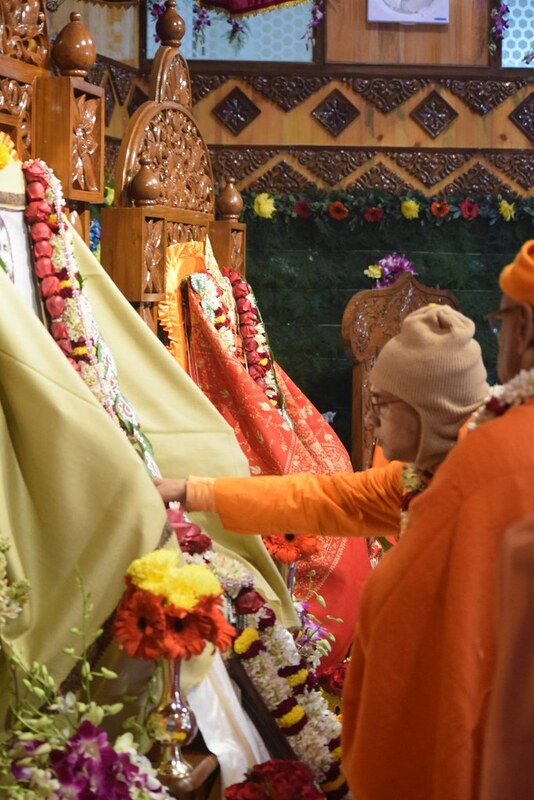 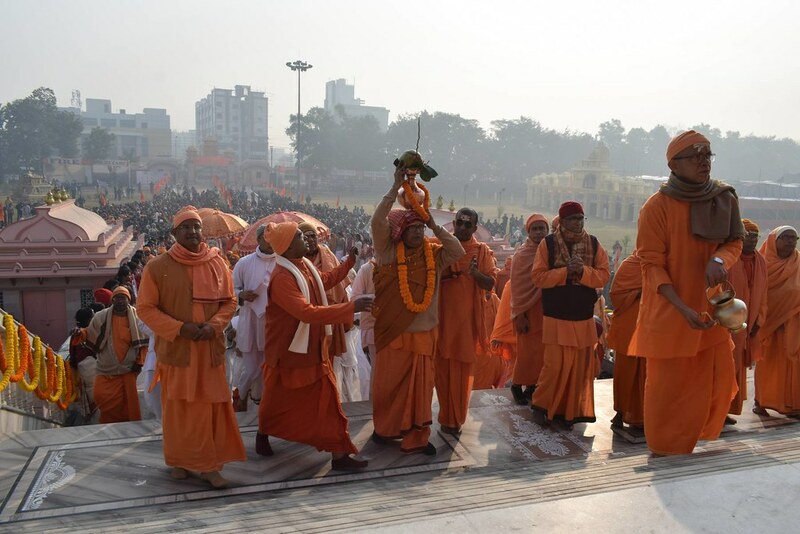 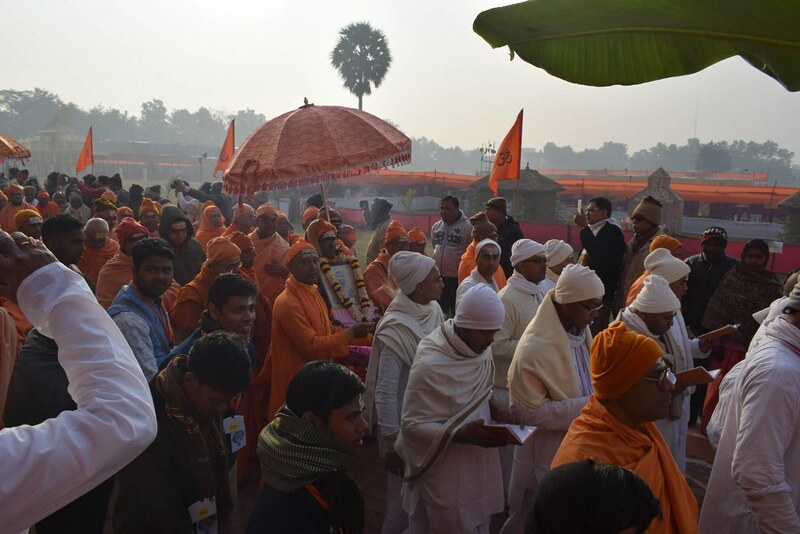 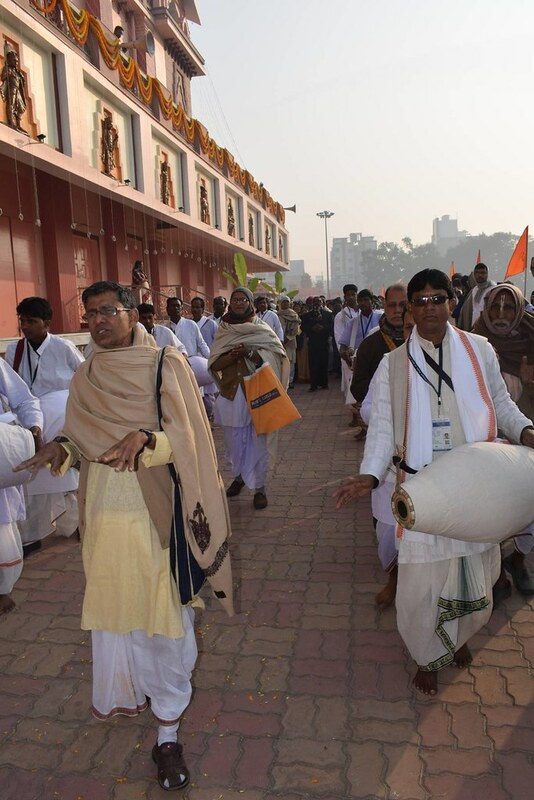 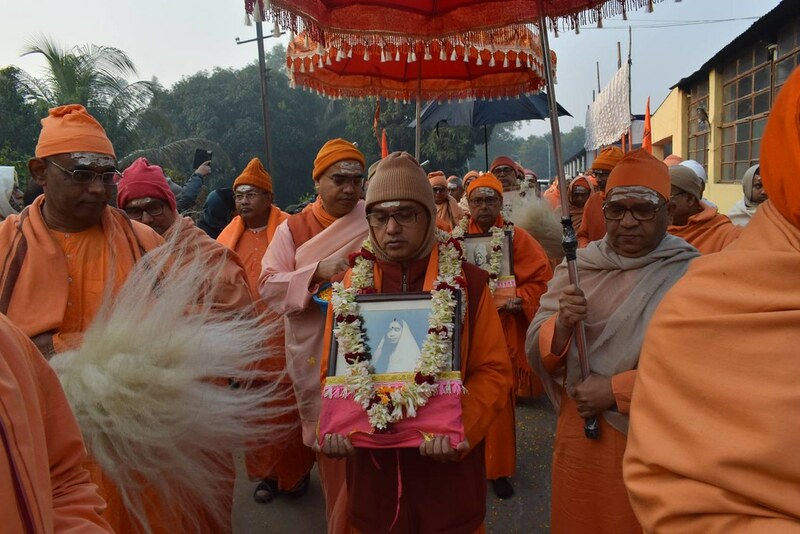 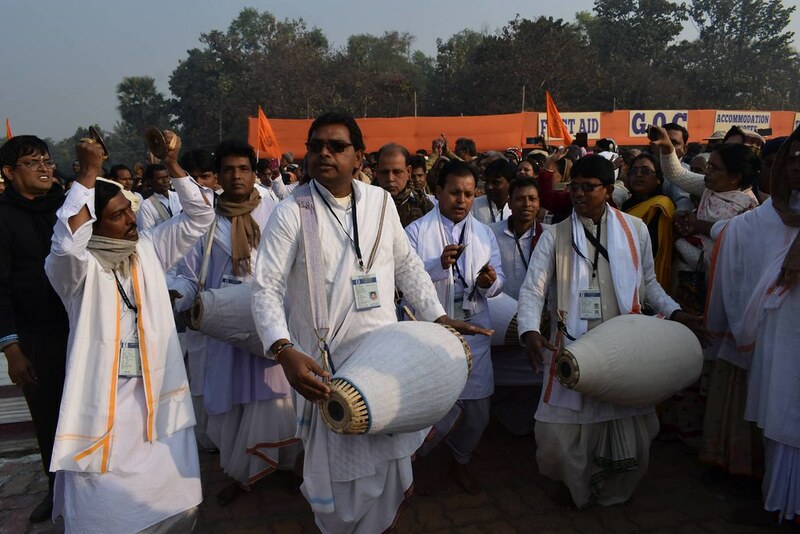 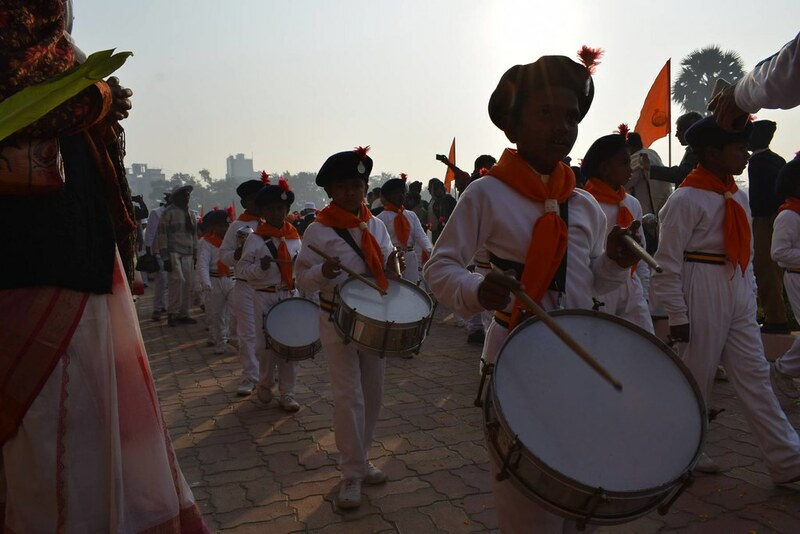 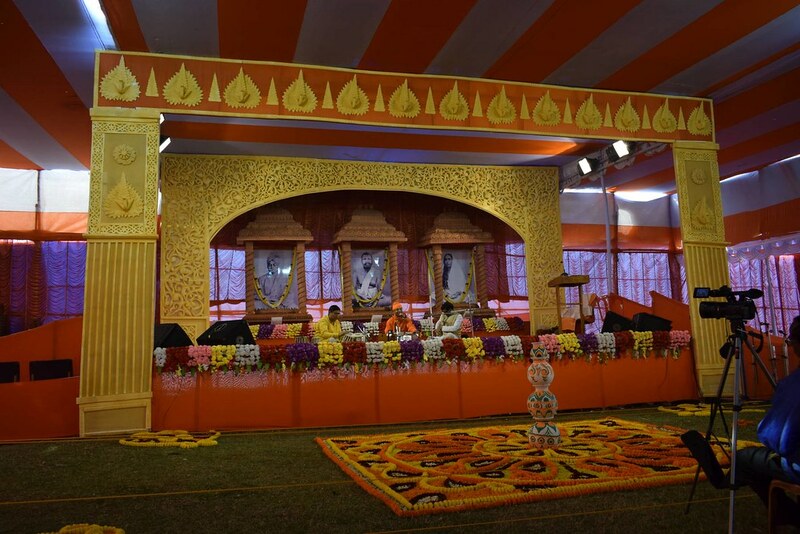 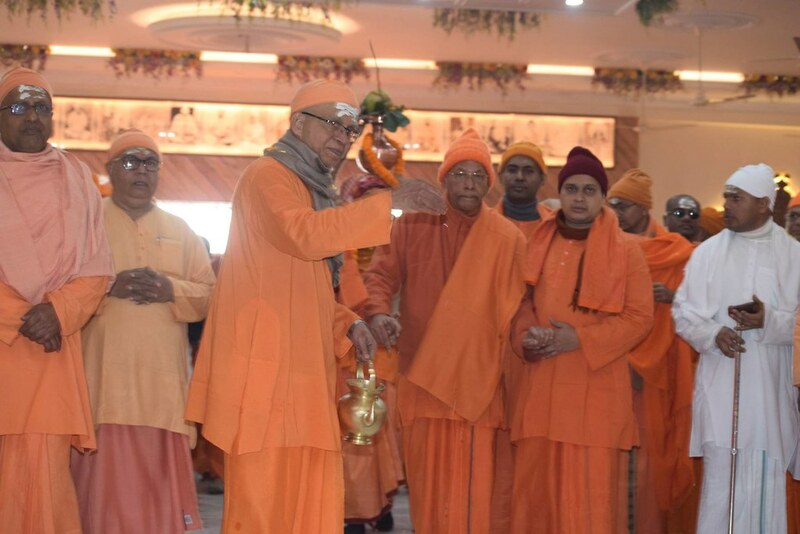 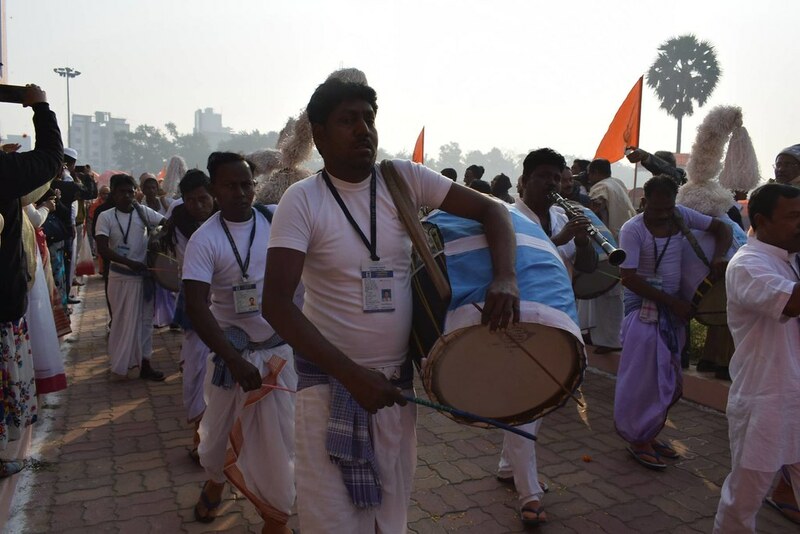 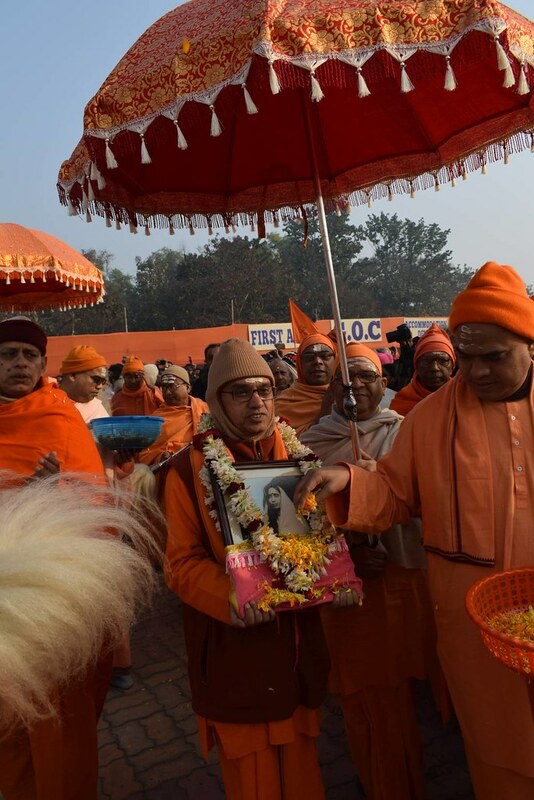 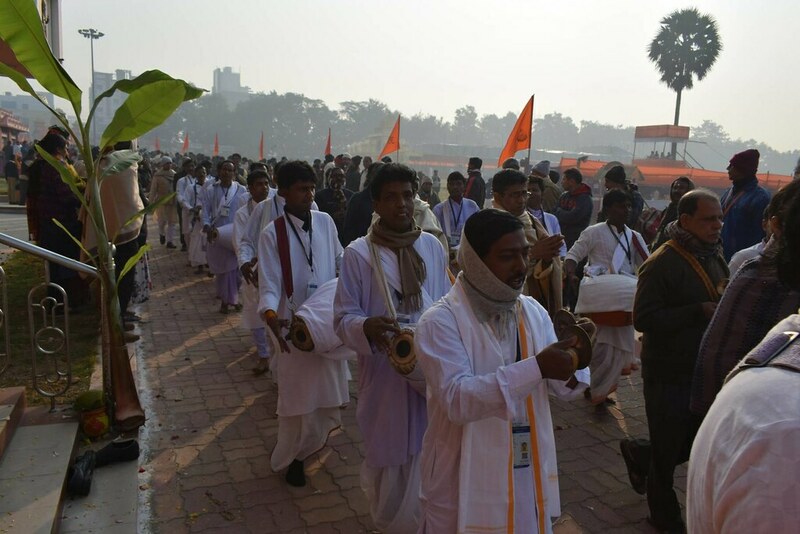 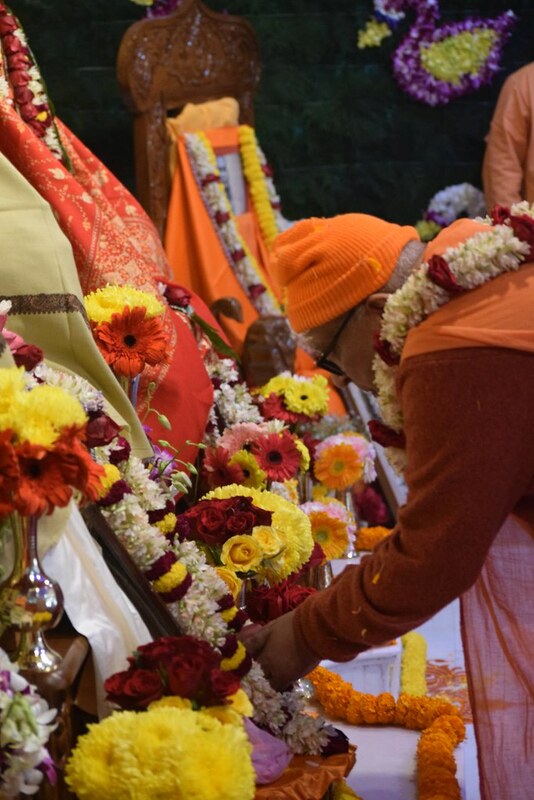 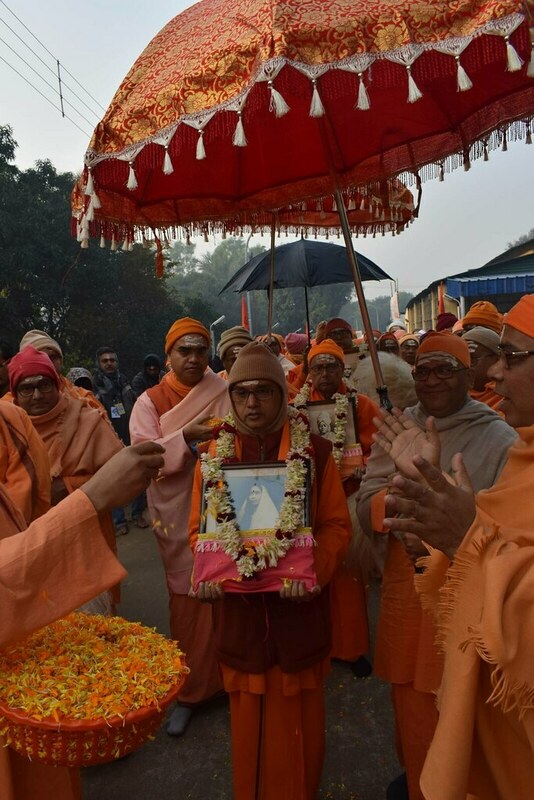 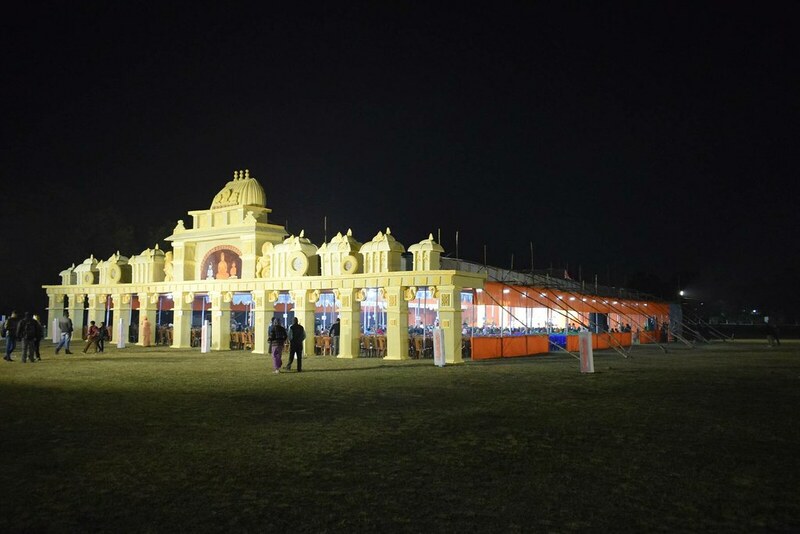 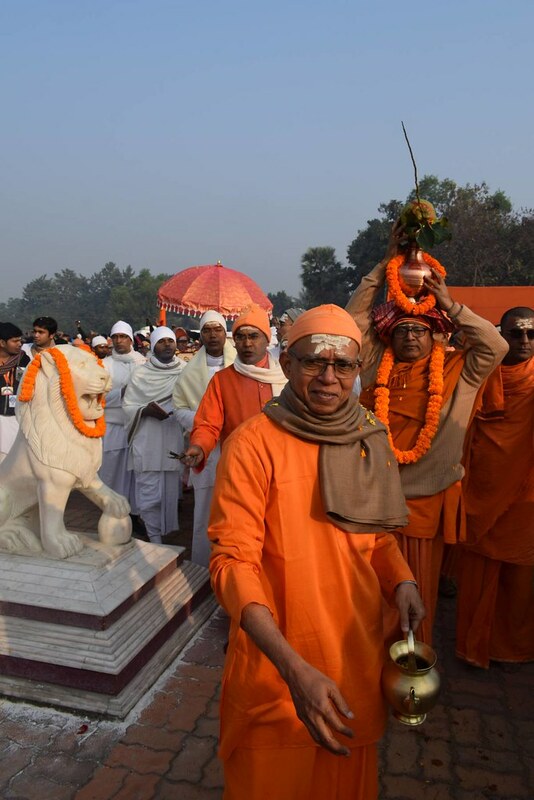 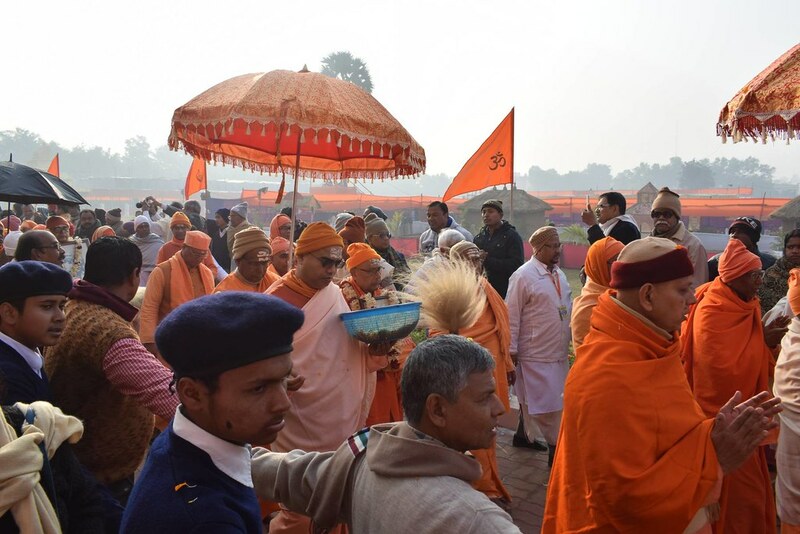 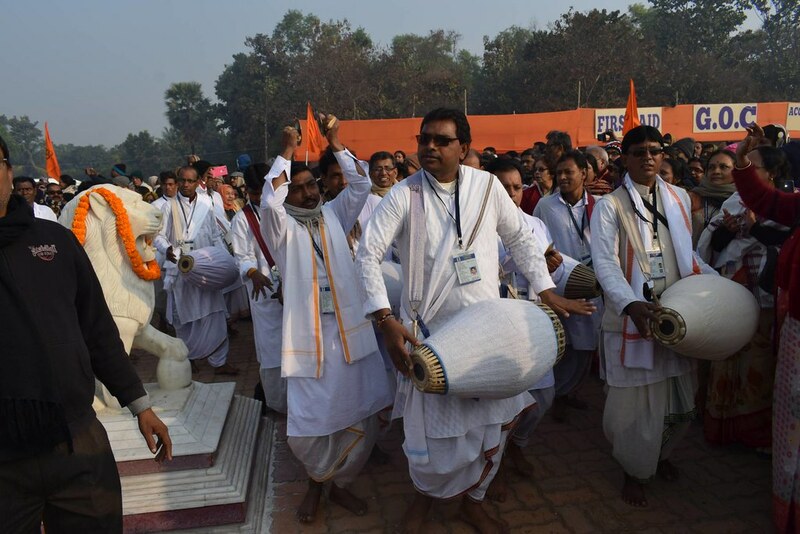 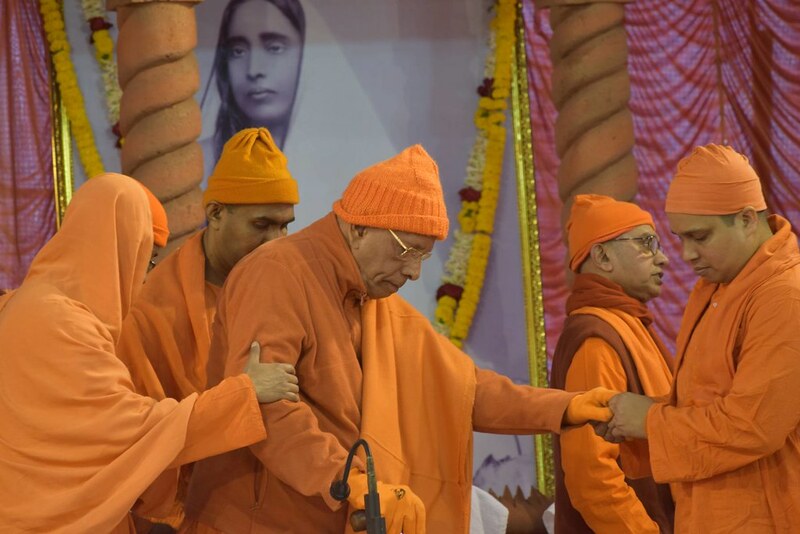 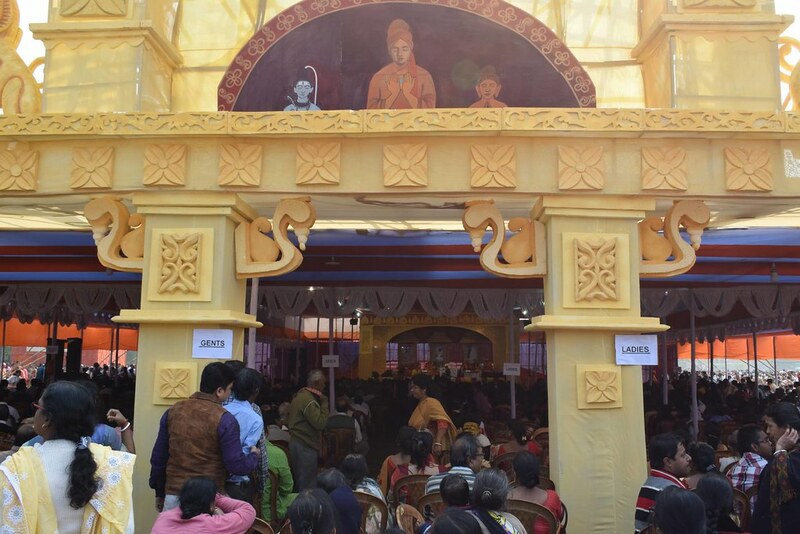 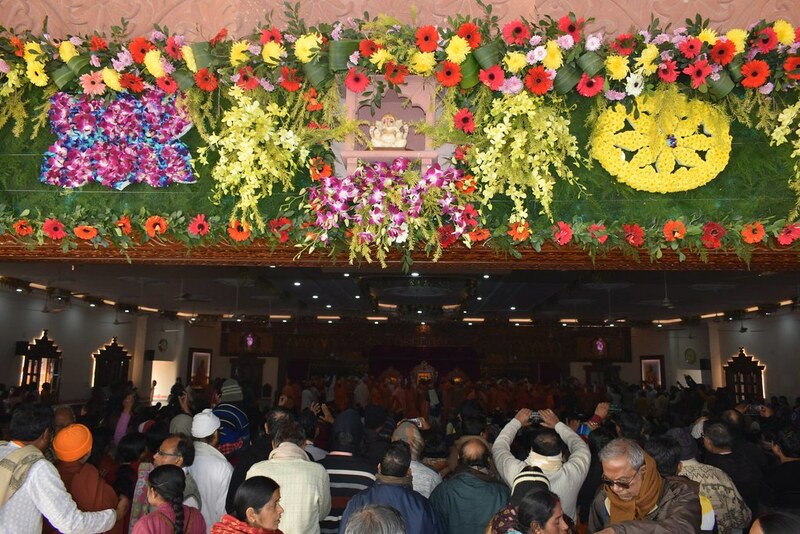 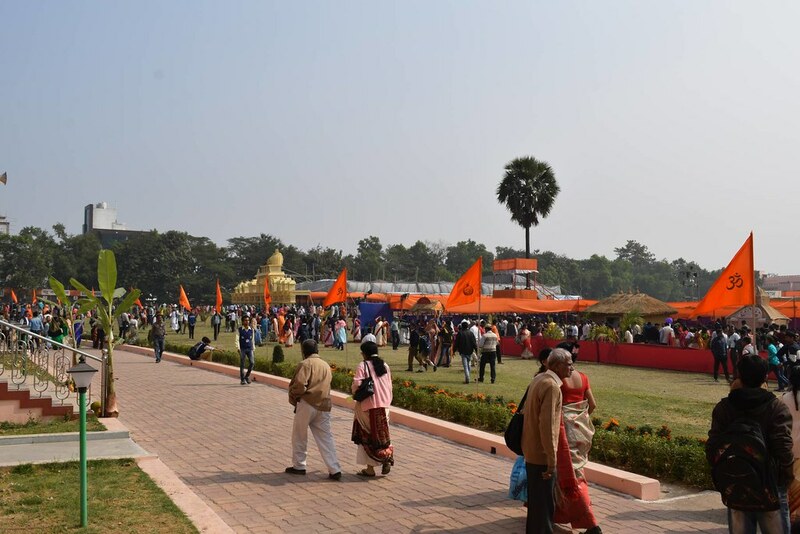 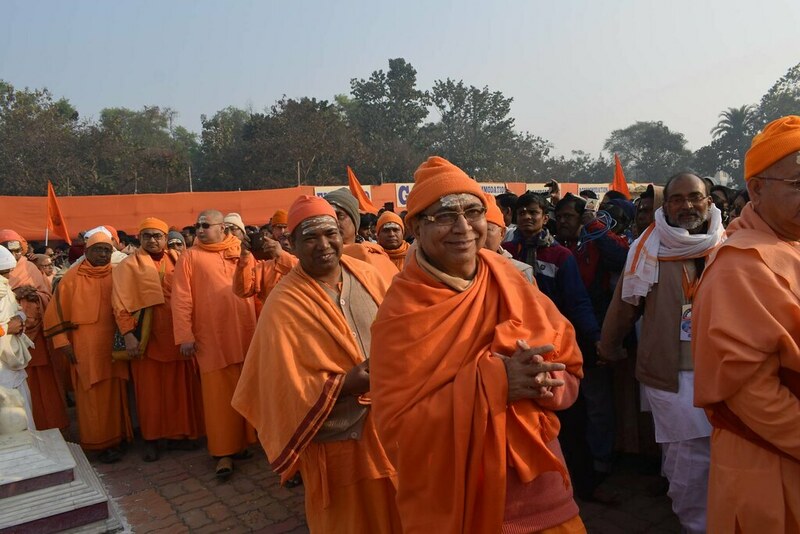 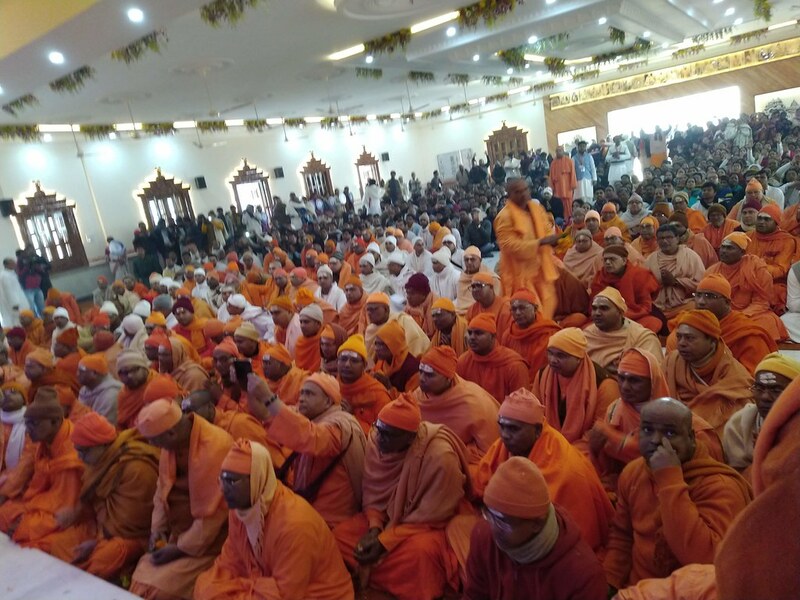 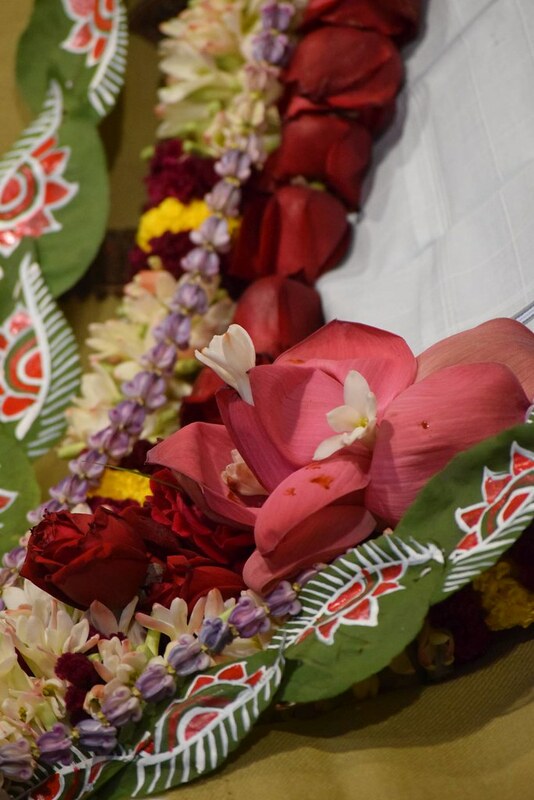 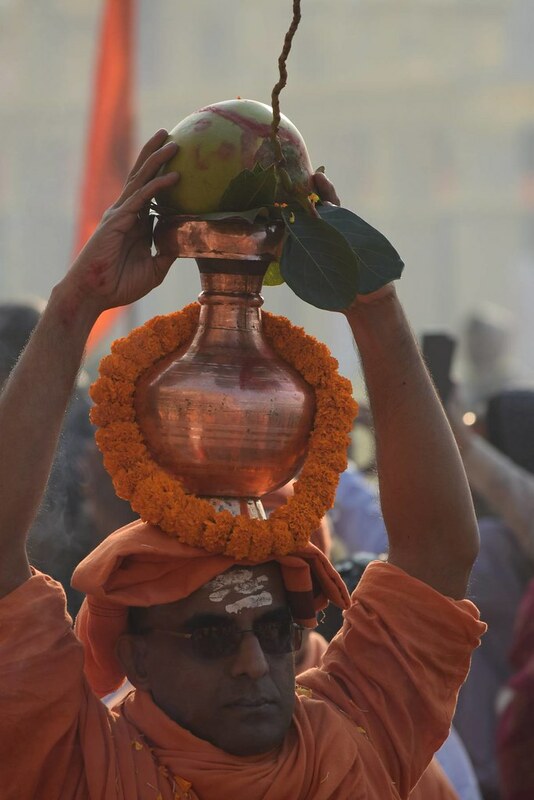 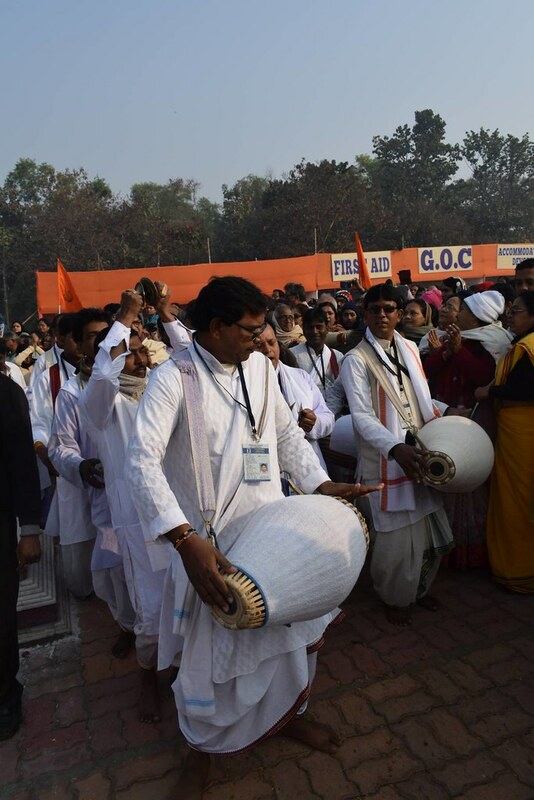 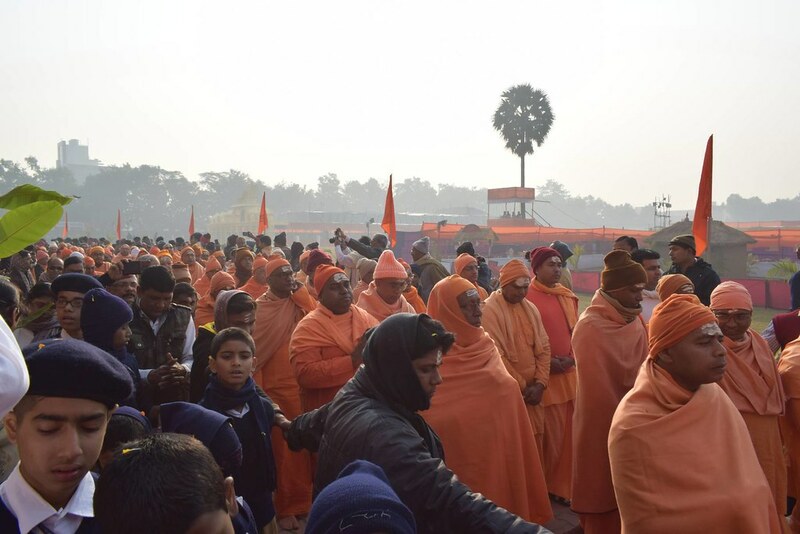 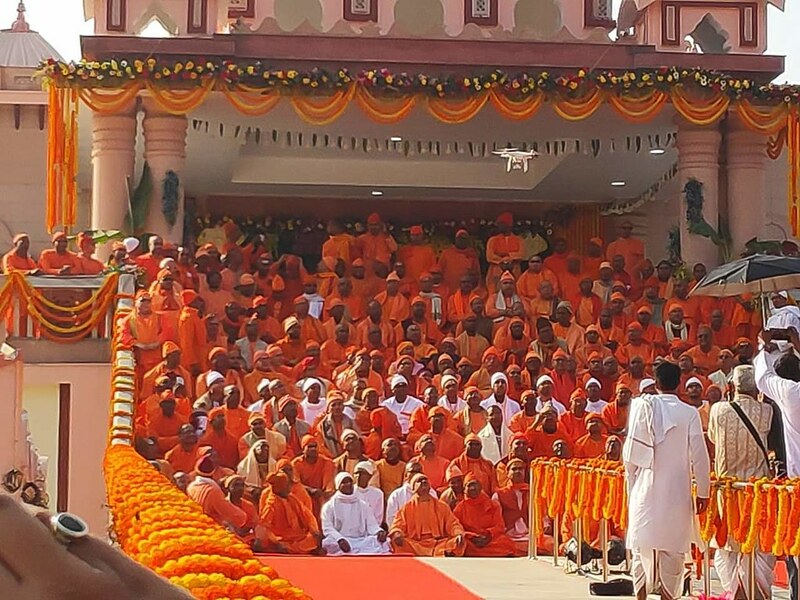 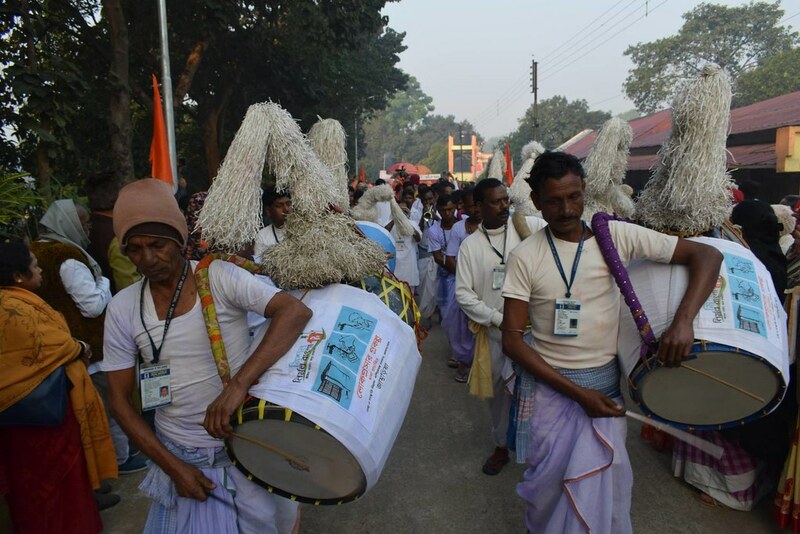 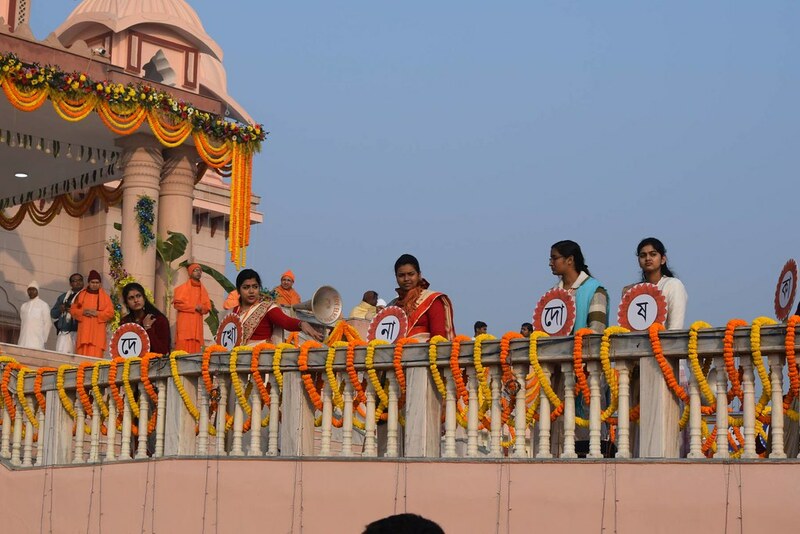 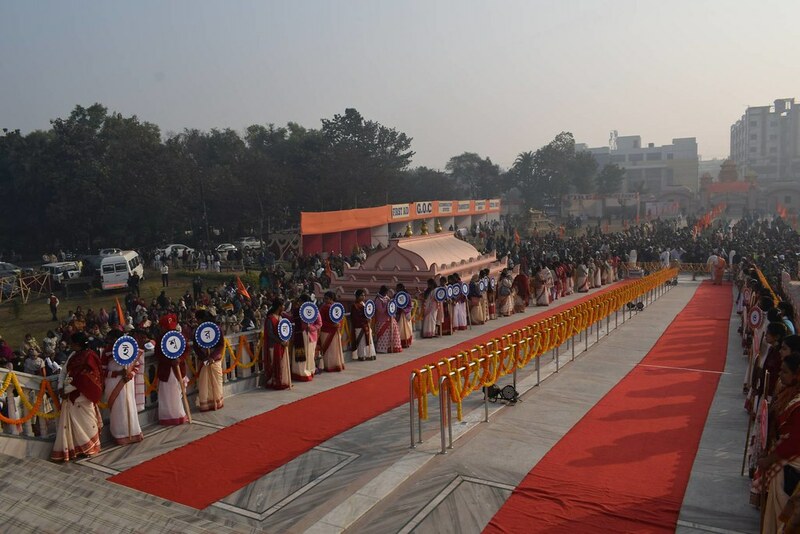 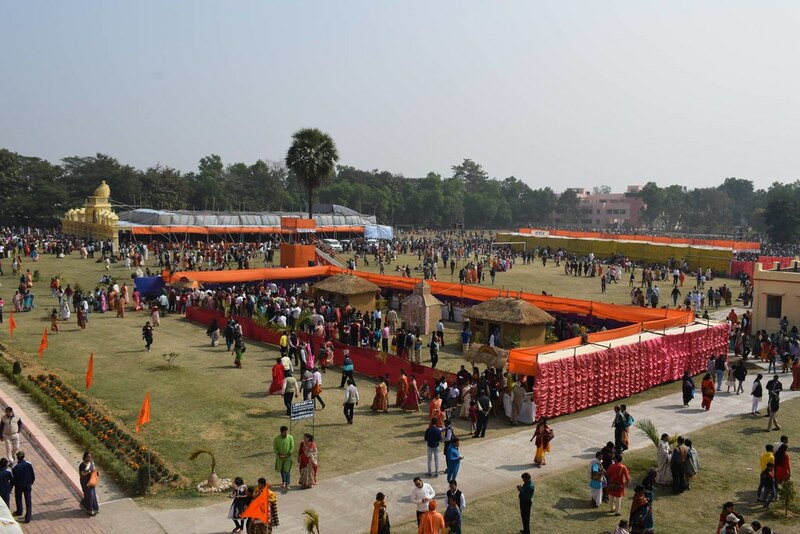 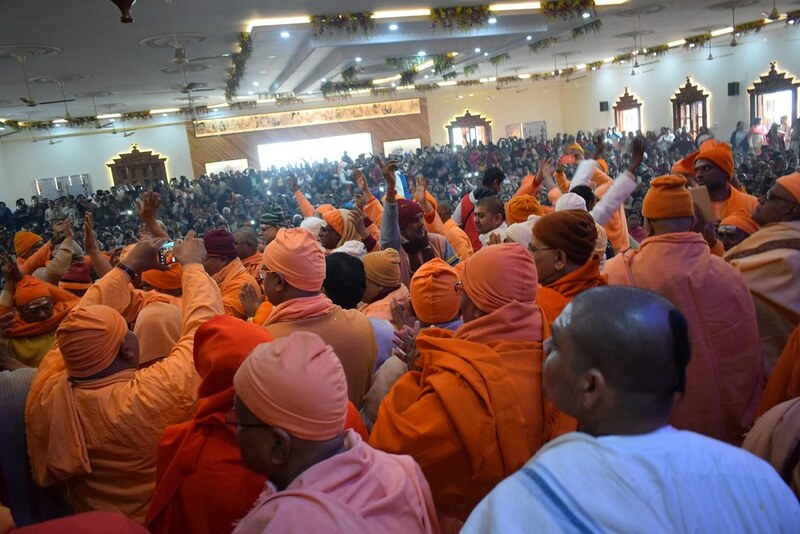 About 350 monks and brahmacharins from different centres, and 40,000 devotees from nearby towns and villages participated in the ceremony and took Prasad. 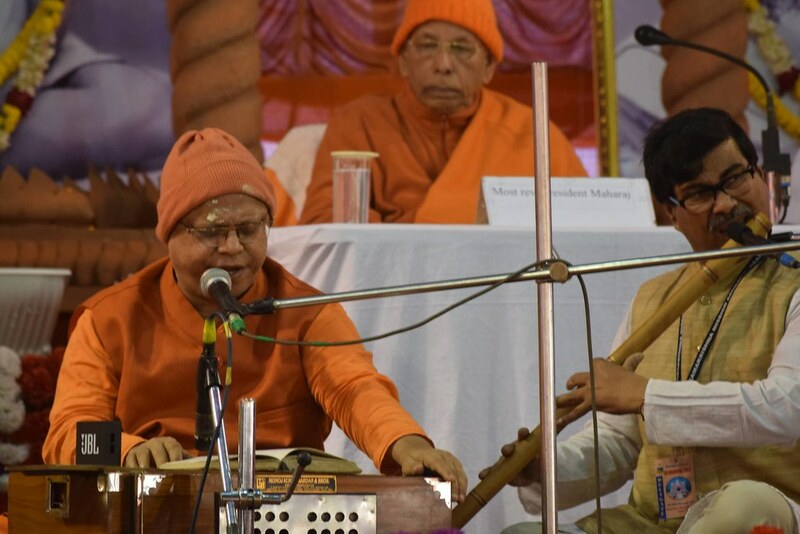 The morning meeting was followed by a day-long programme of baul songs, bhajans and a discourse on Ramcharitmanas by Swami Sukhananda, one of the previous Secretaries of the centre. 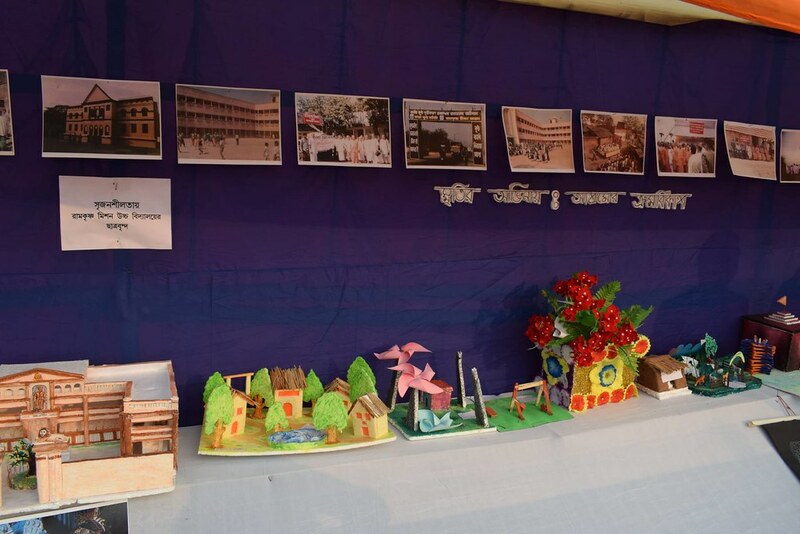 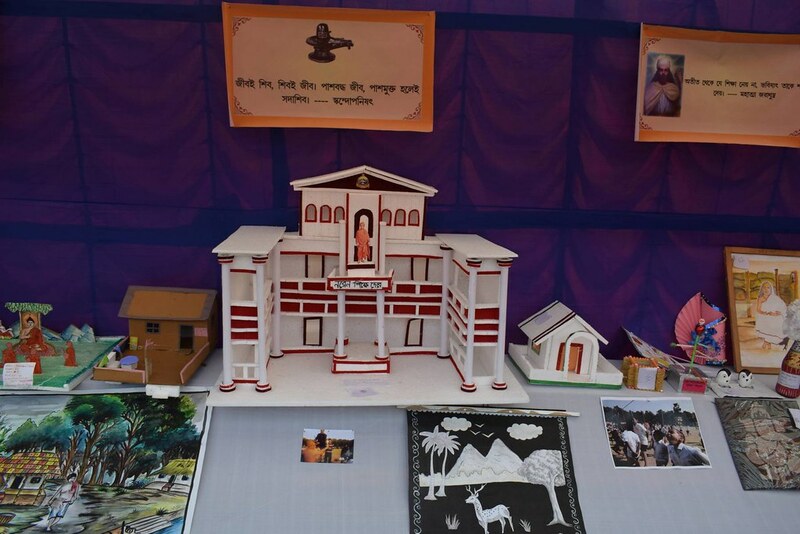 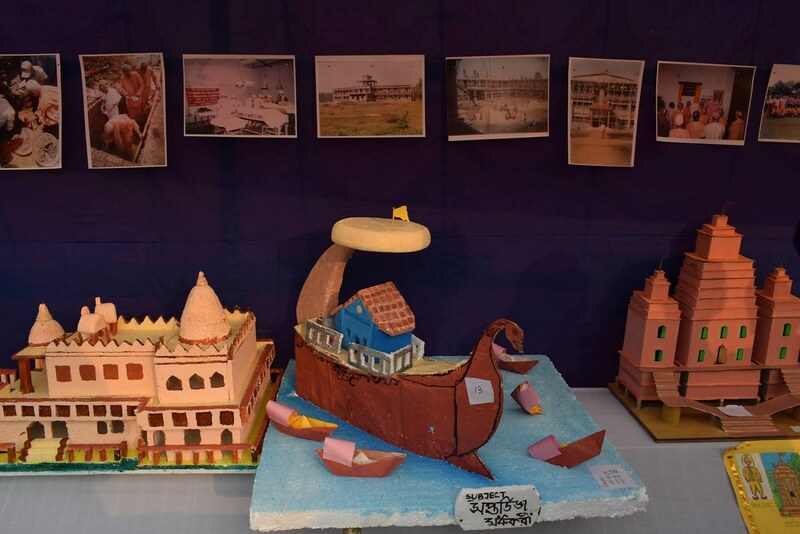 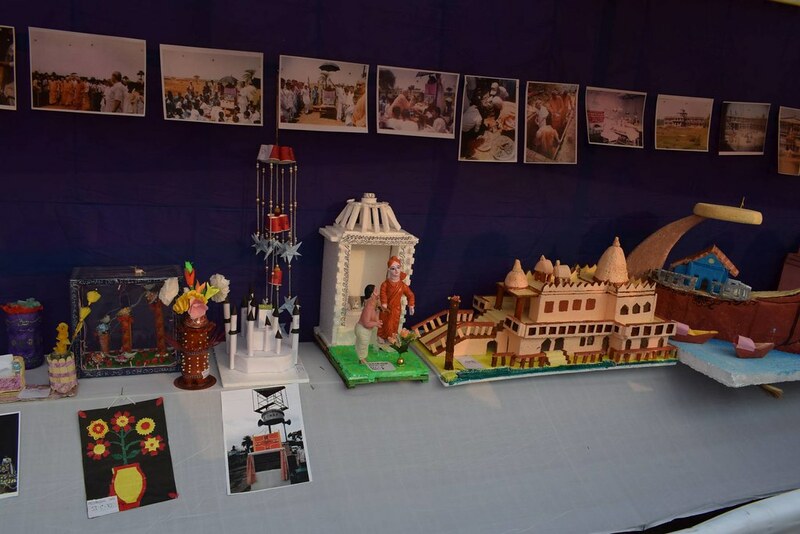 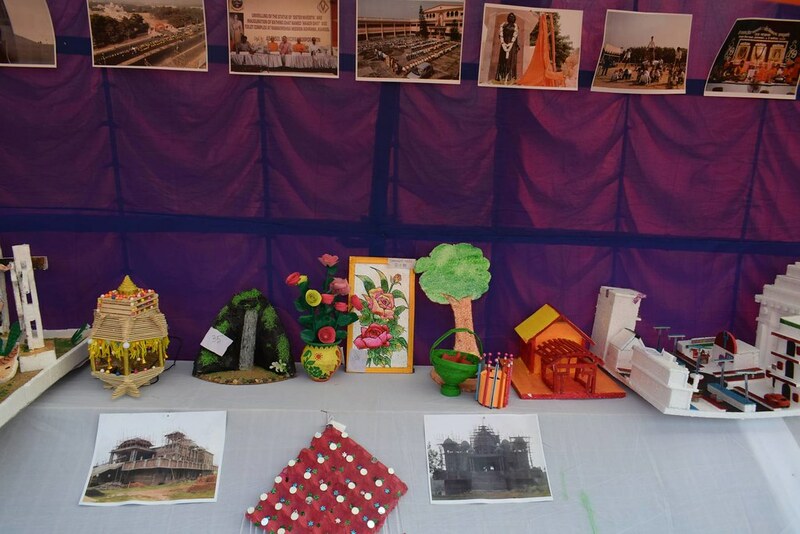 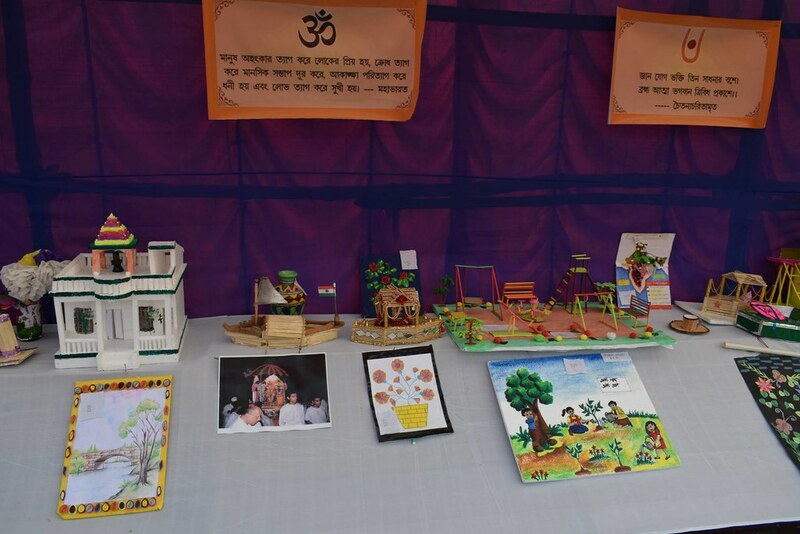 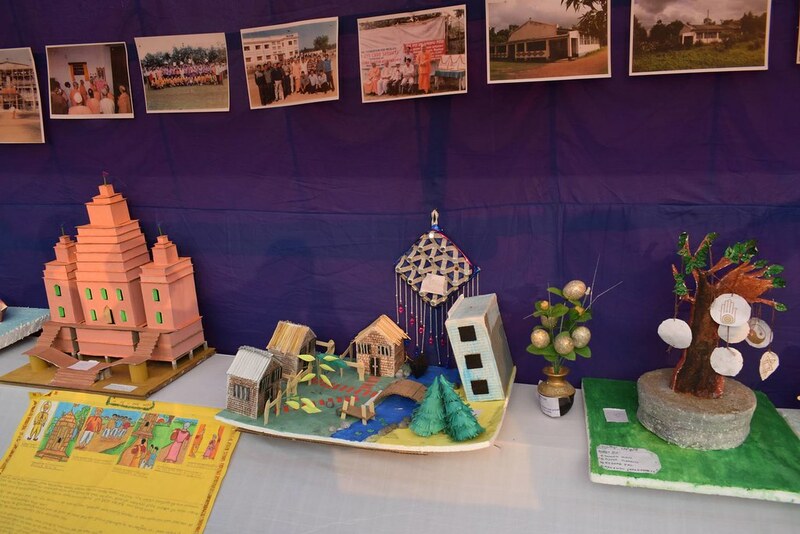 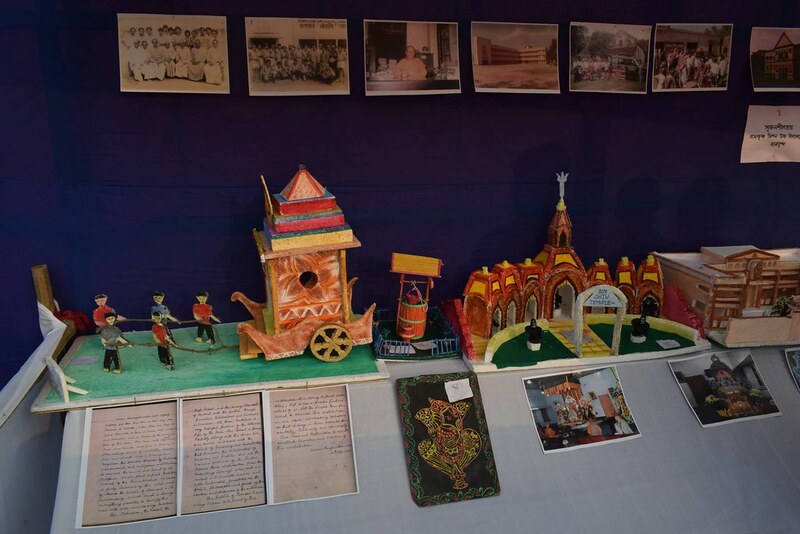 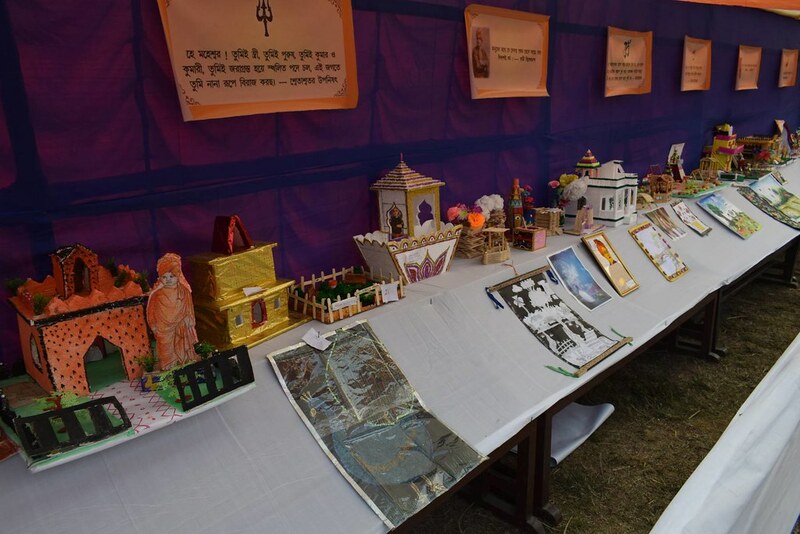 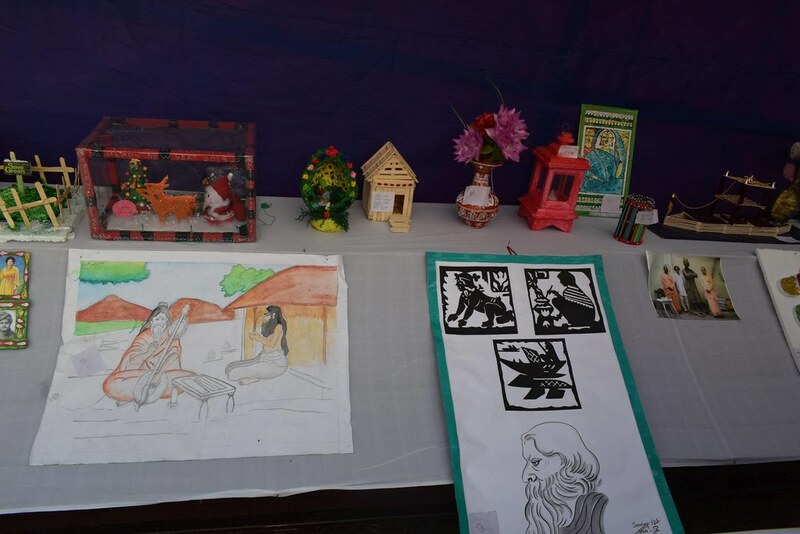 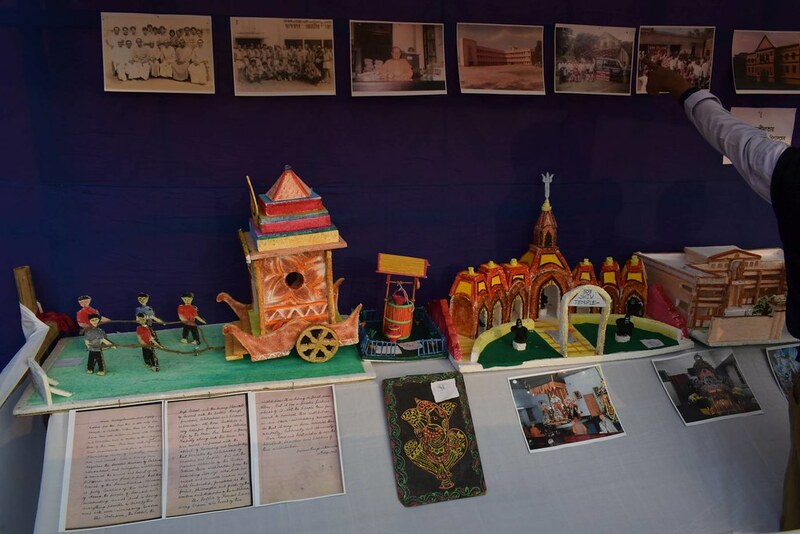 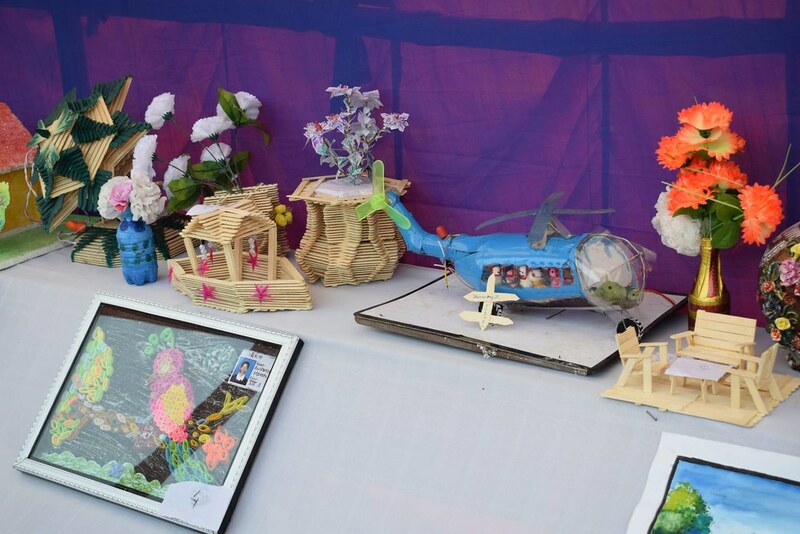 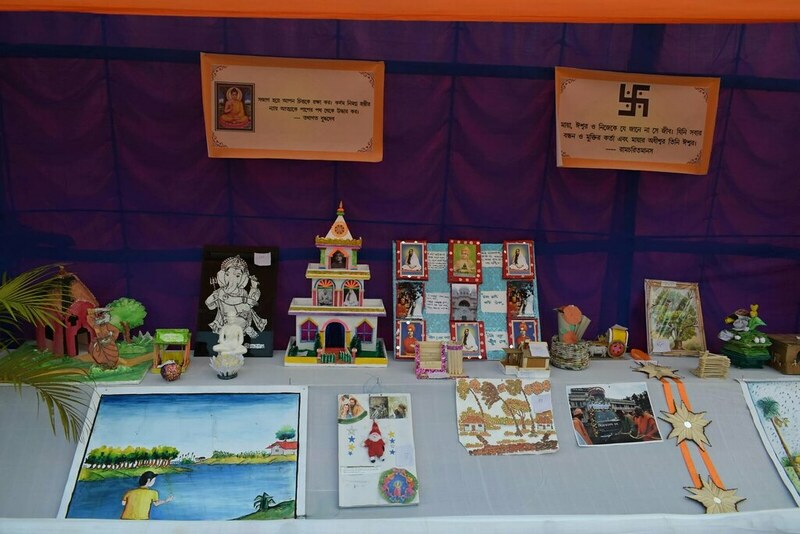 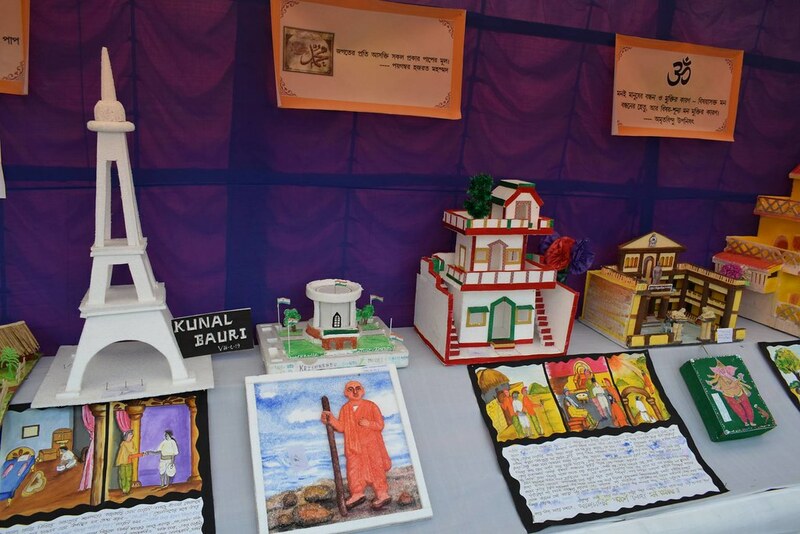 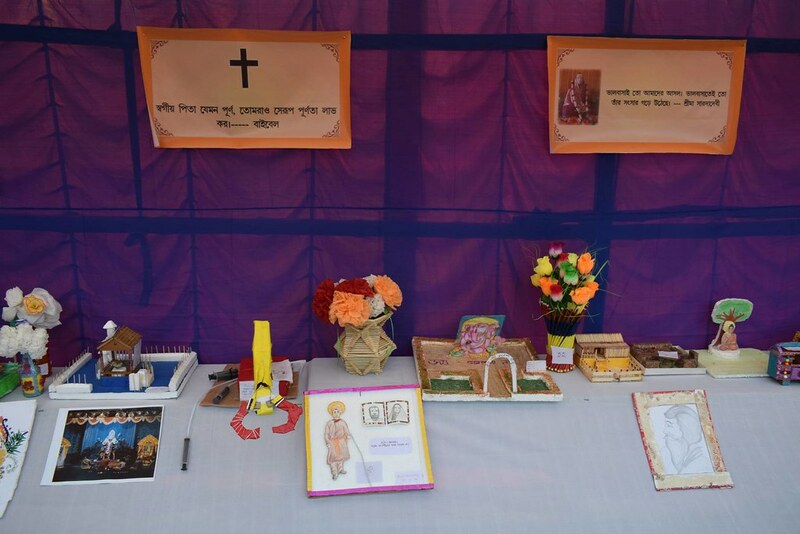 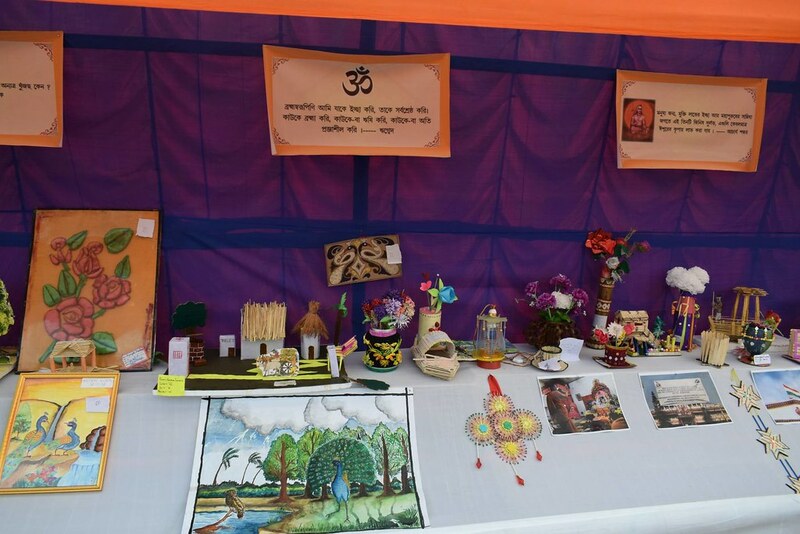 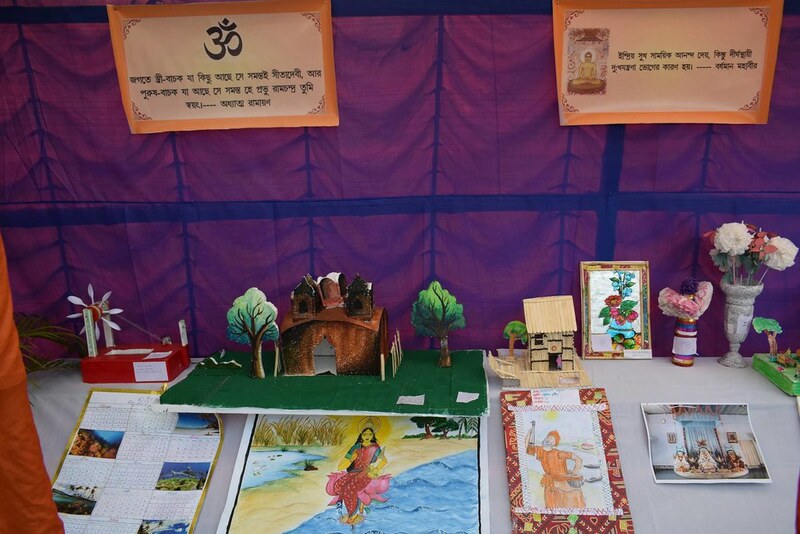 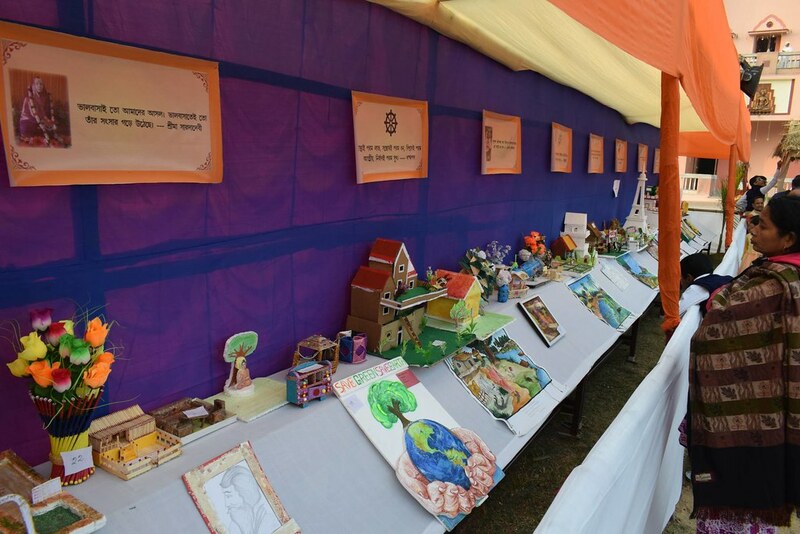 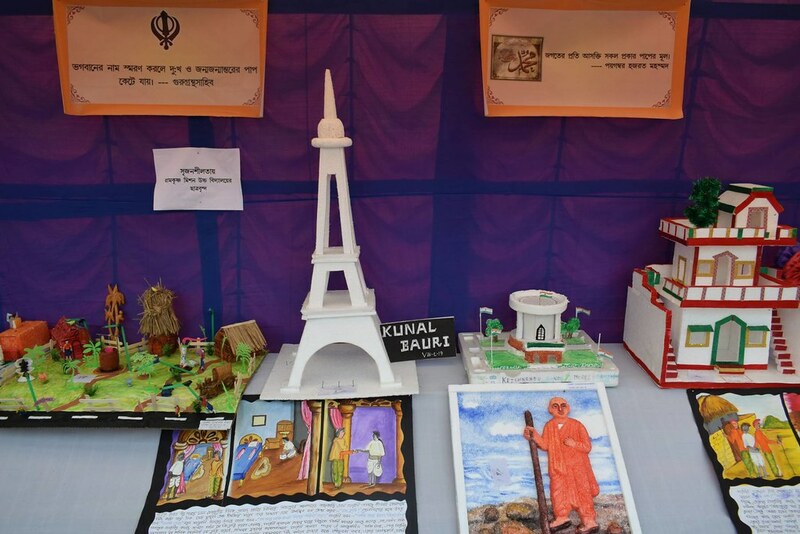 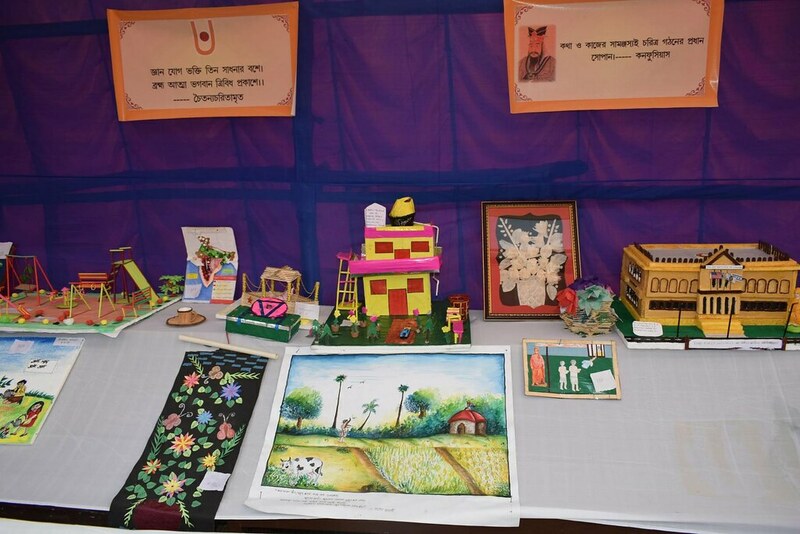 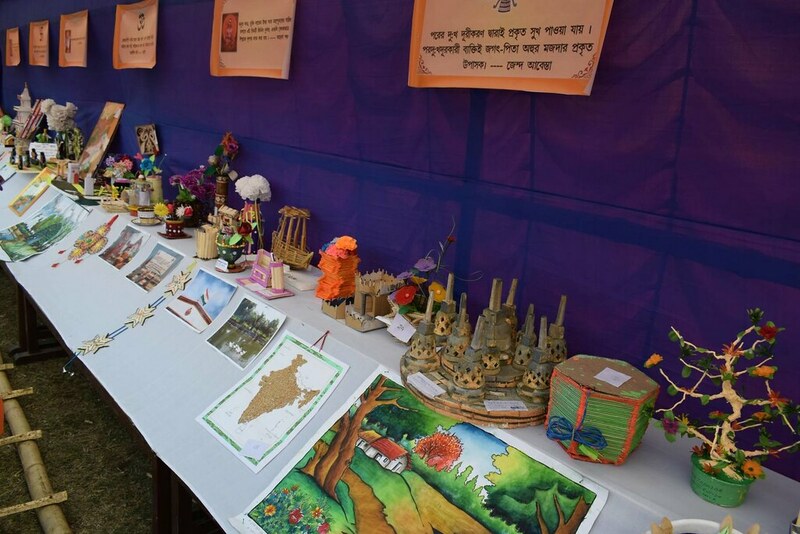 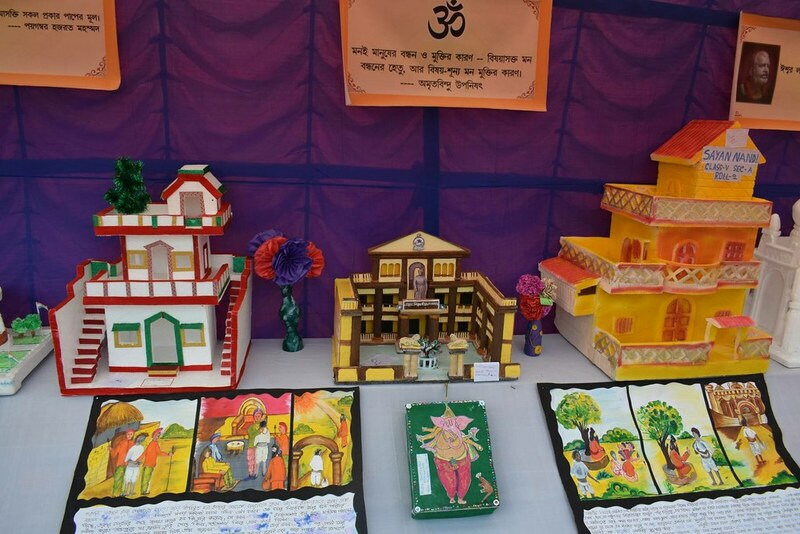 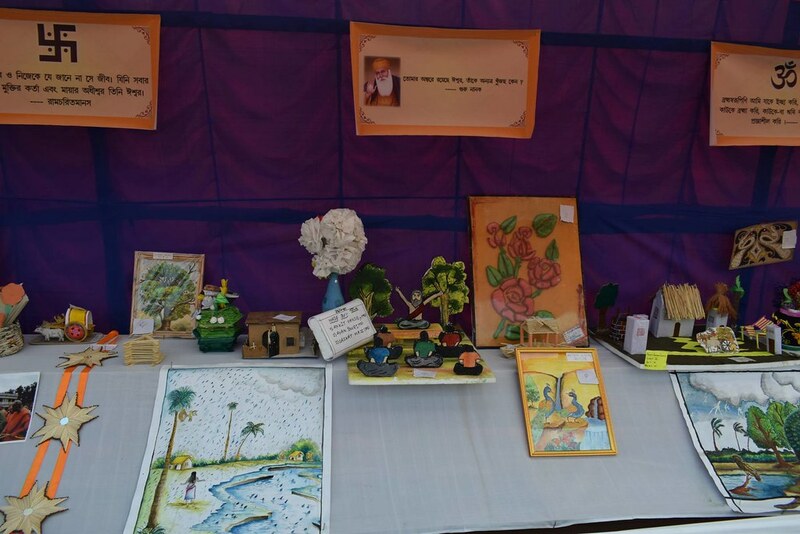 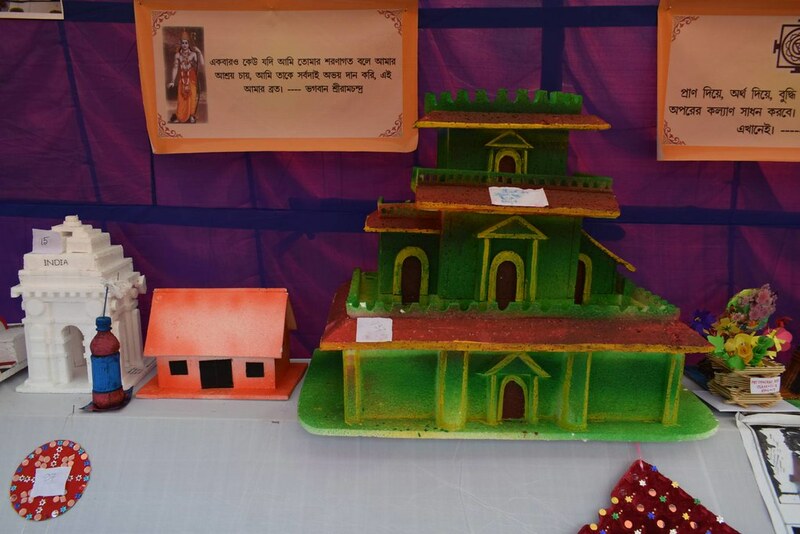 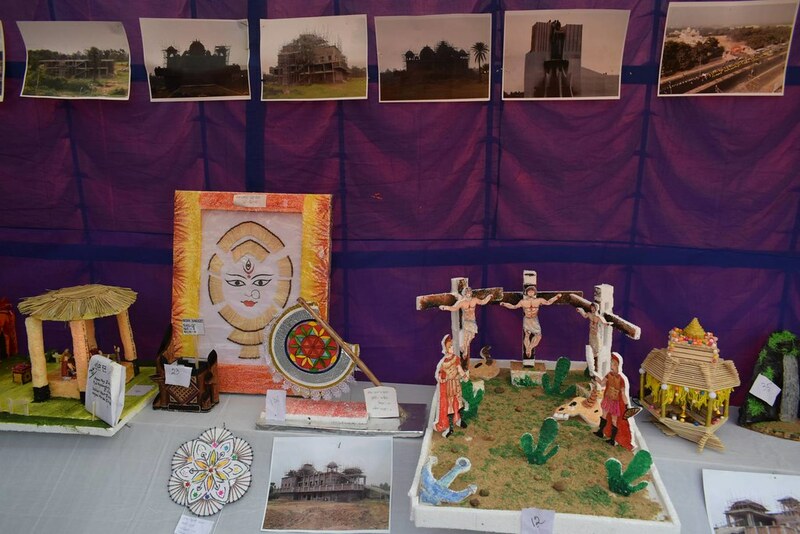 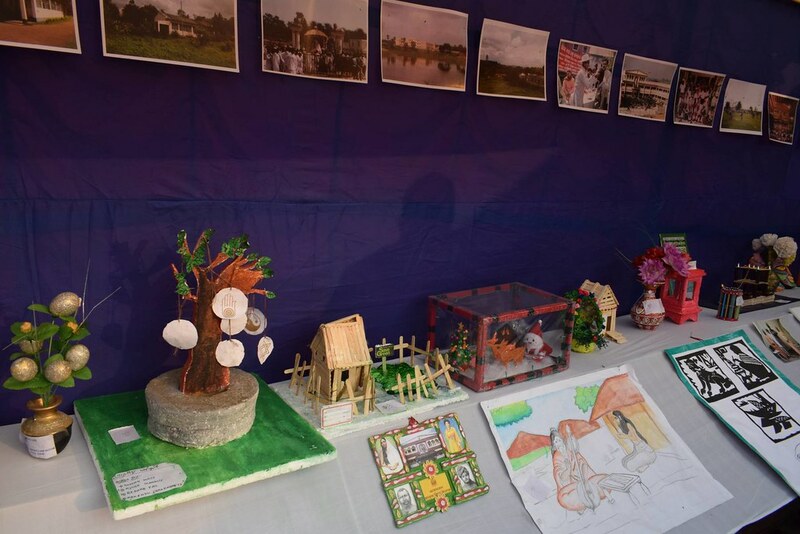 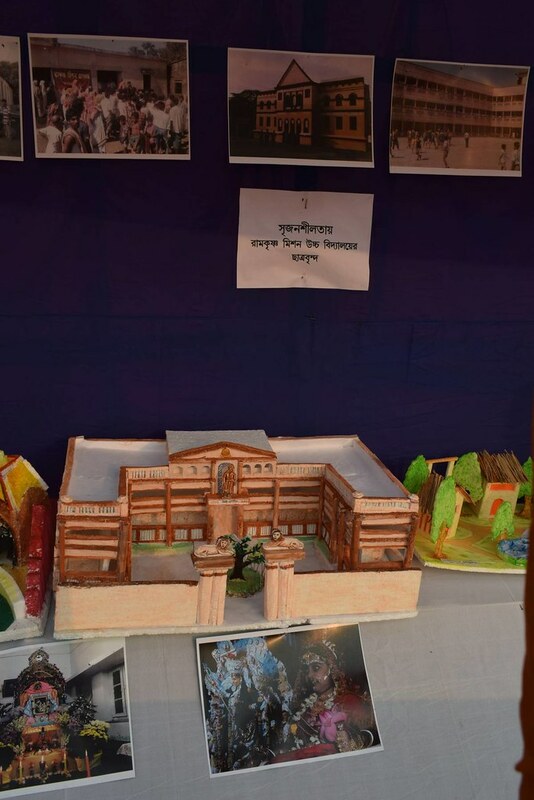 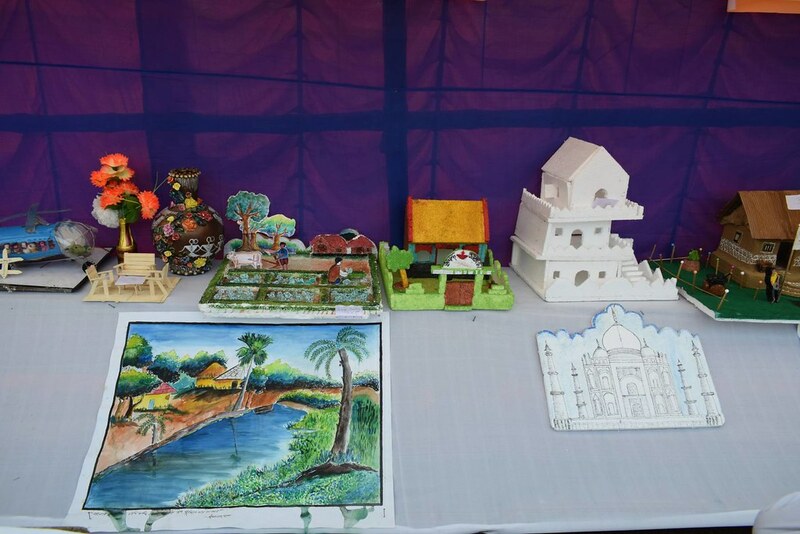 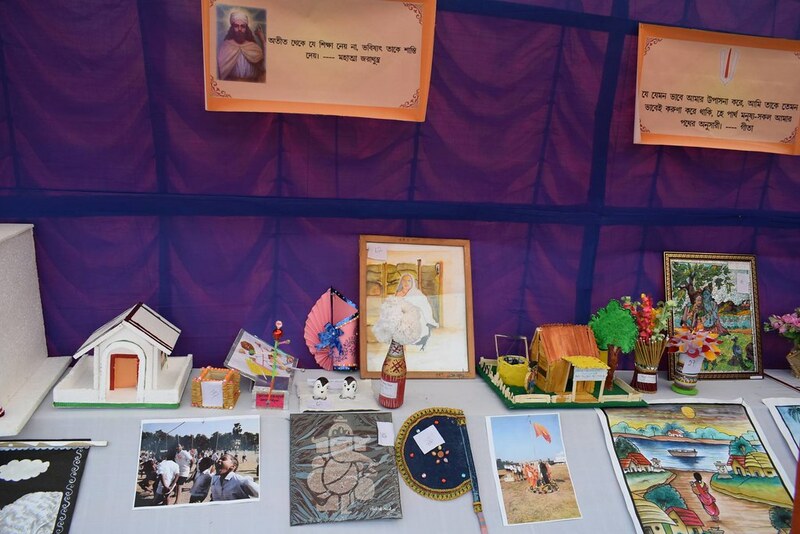 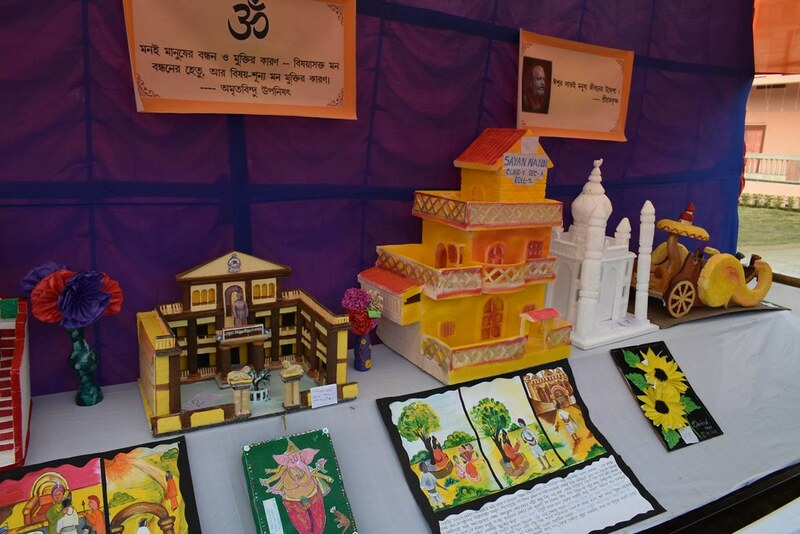 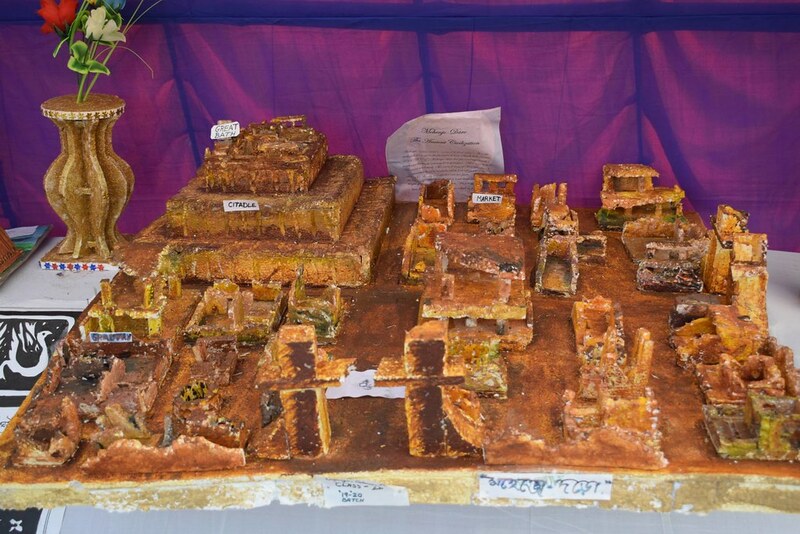 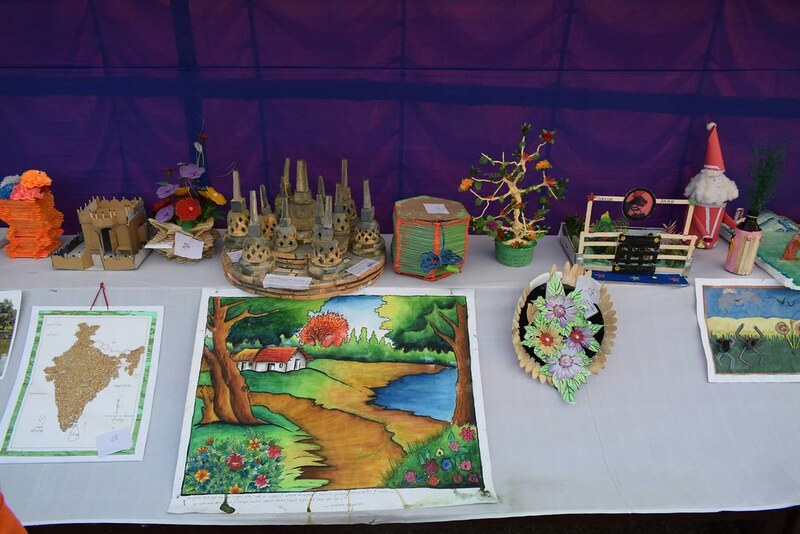 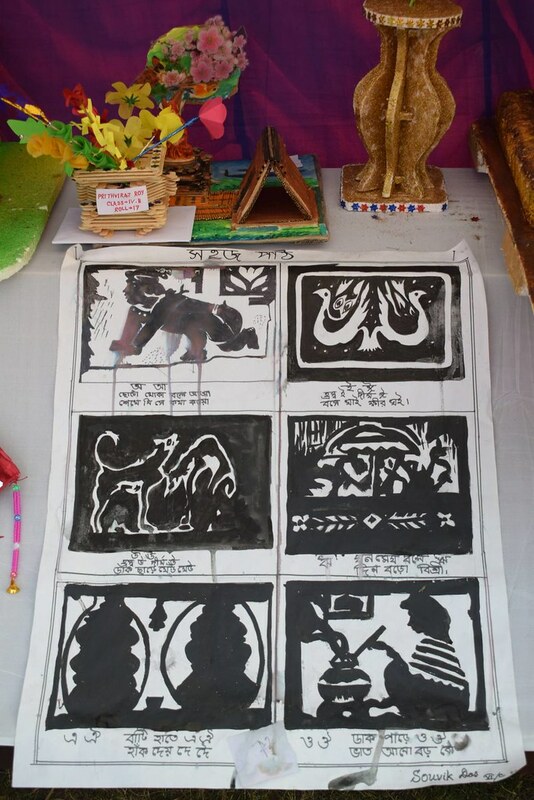 On this occasion, students of the centre’s Secondary School presented an Arts Exhibition in the premises which drew many visitors. 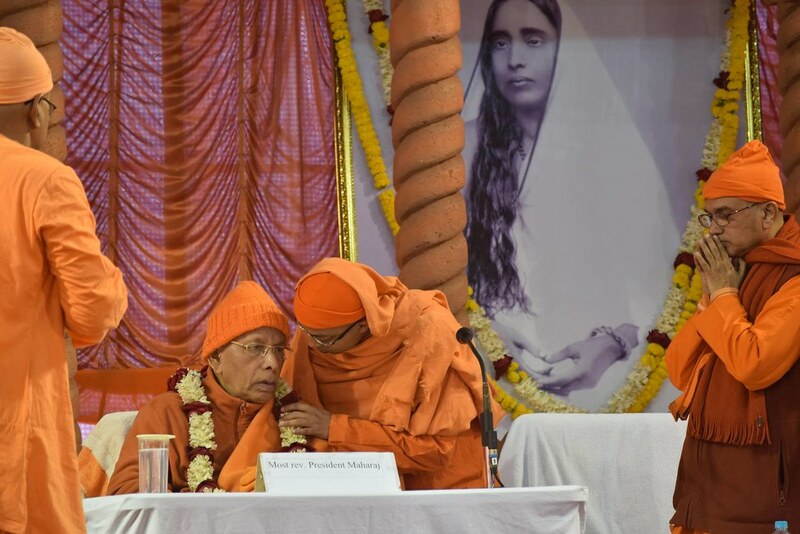 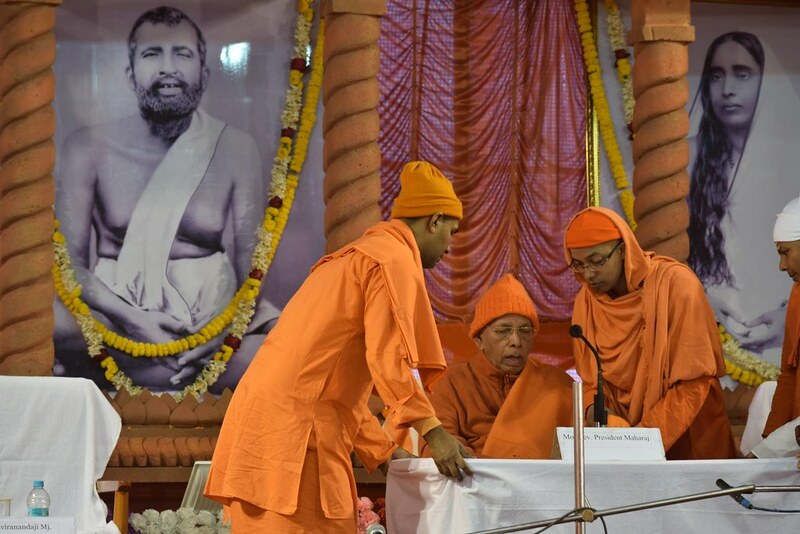 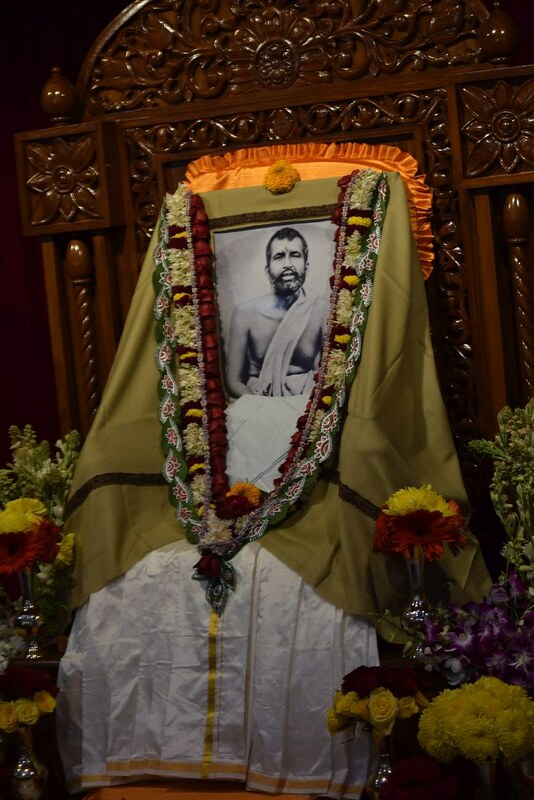 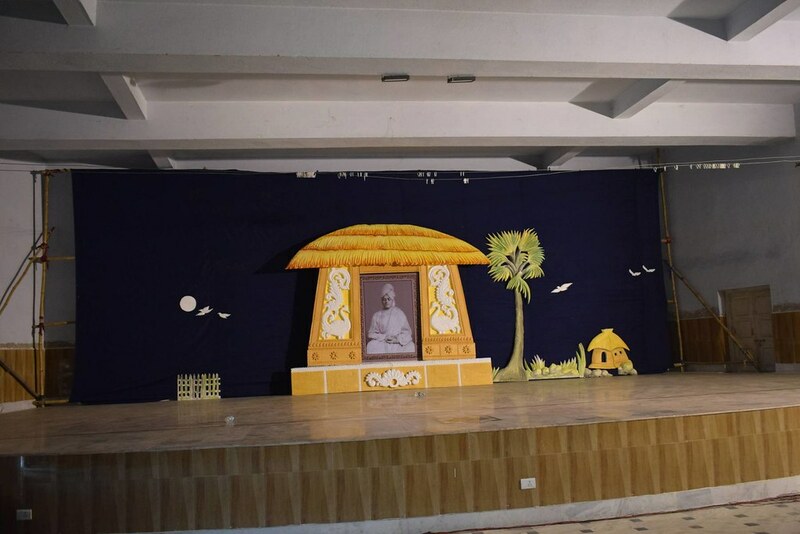 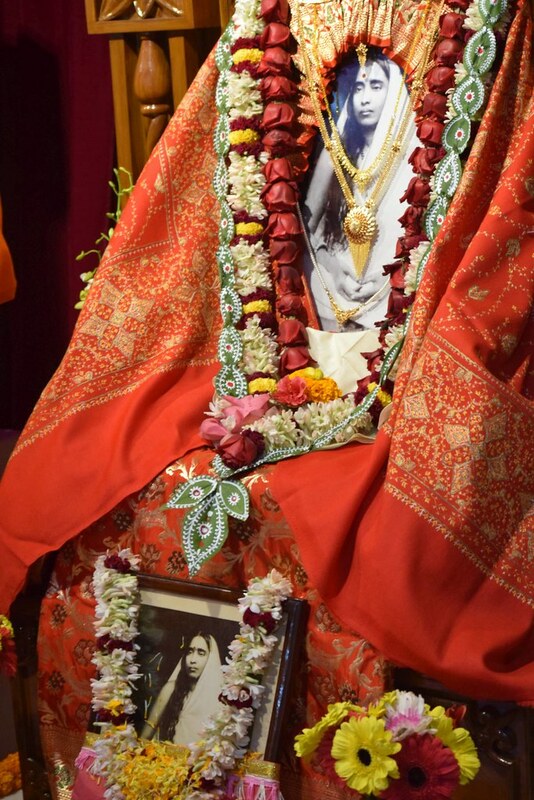 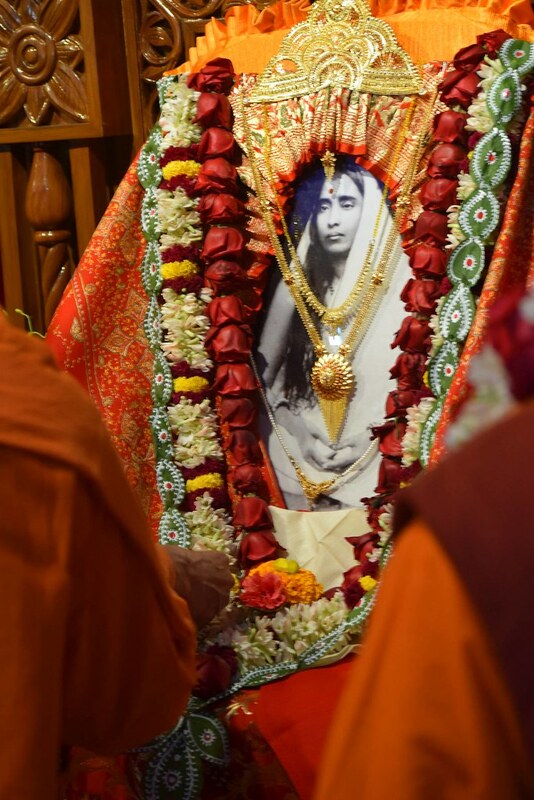 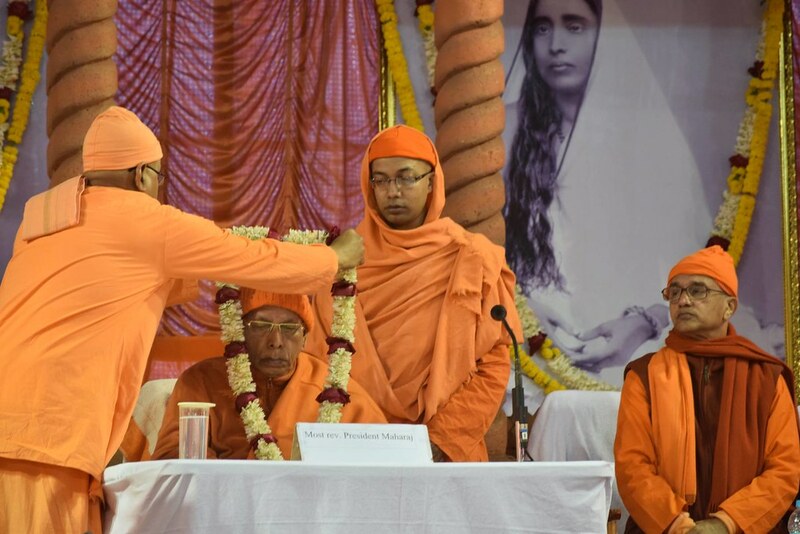 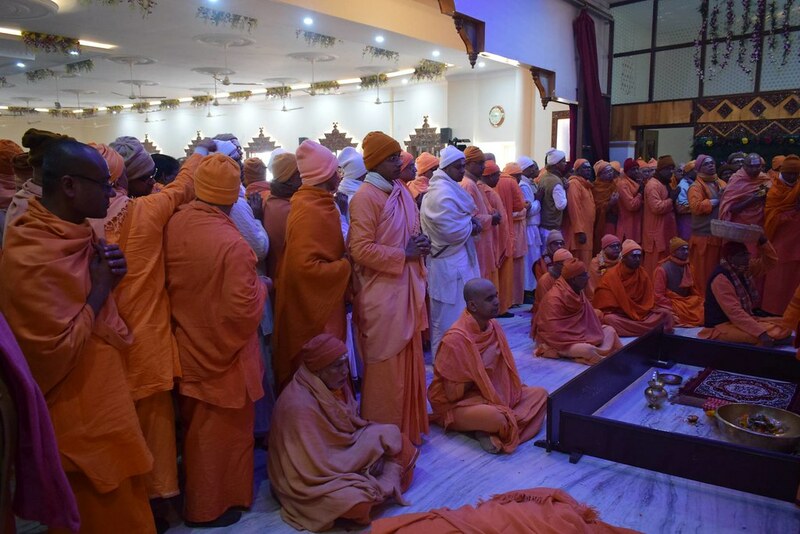 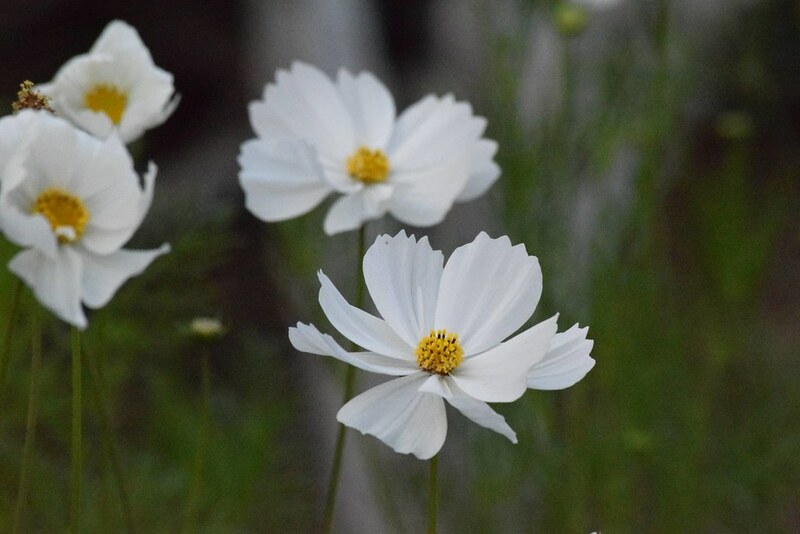 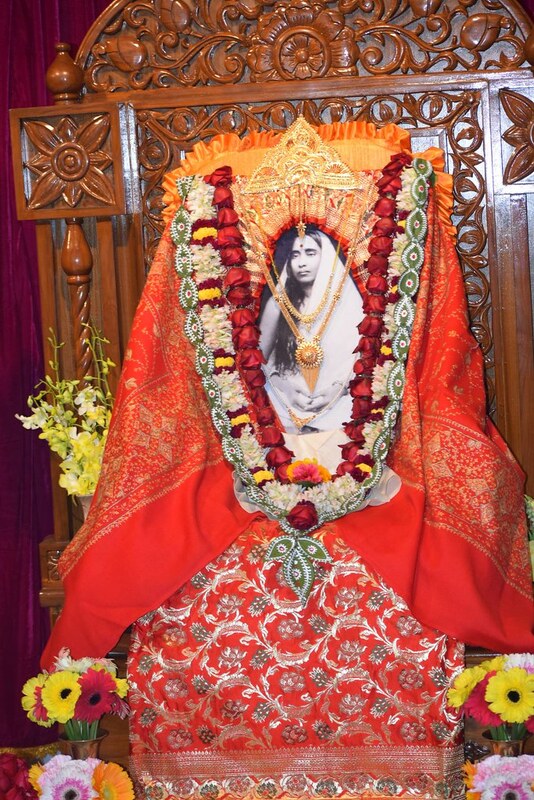 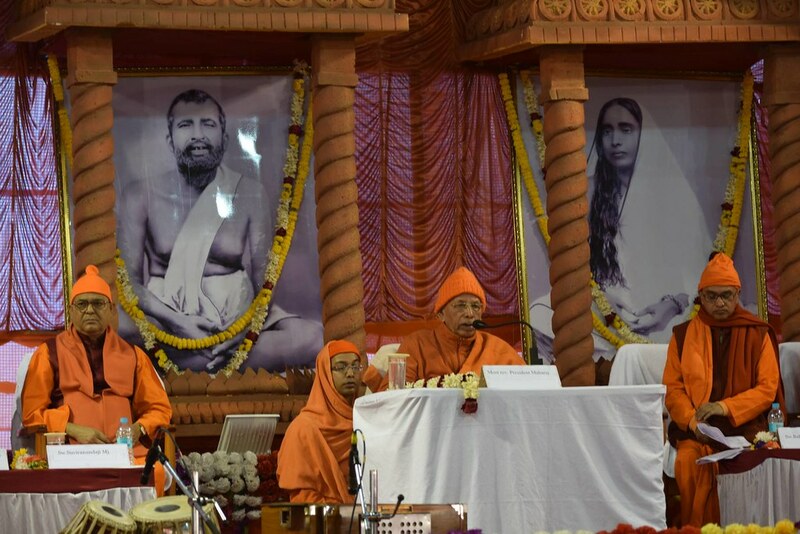 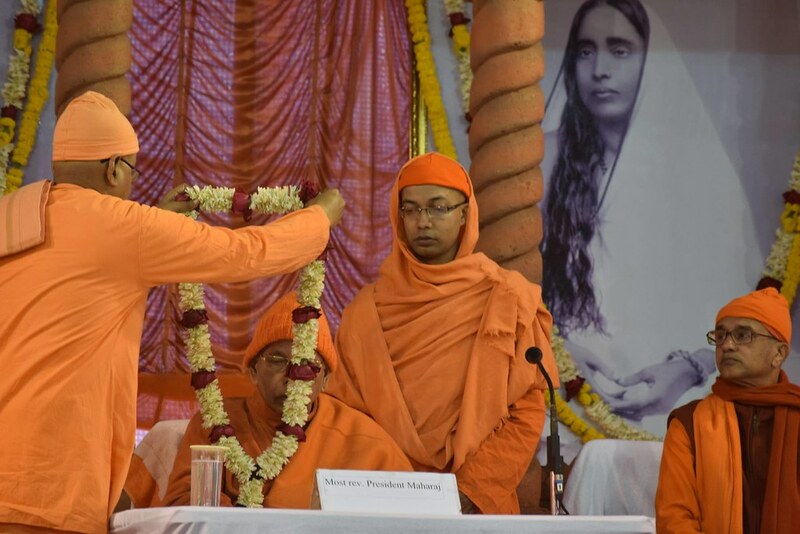 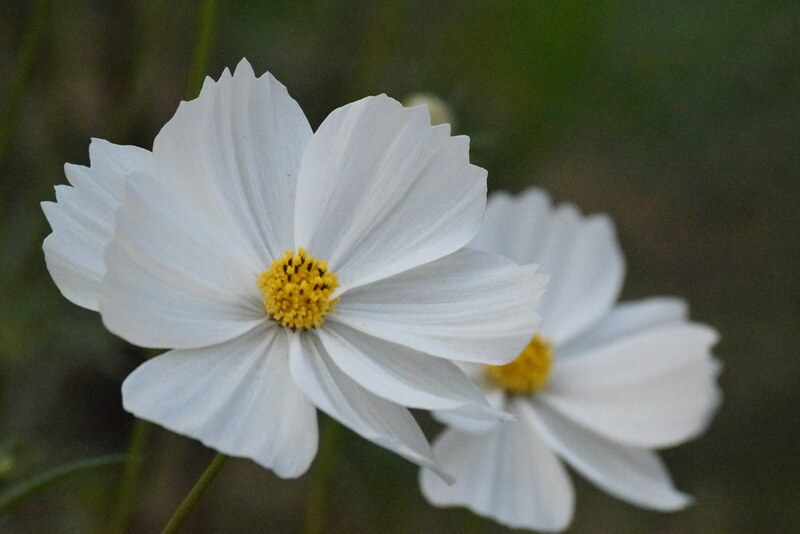 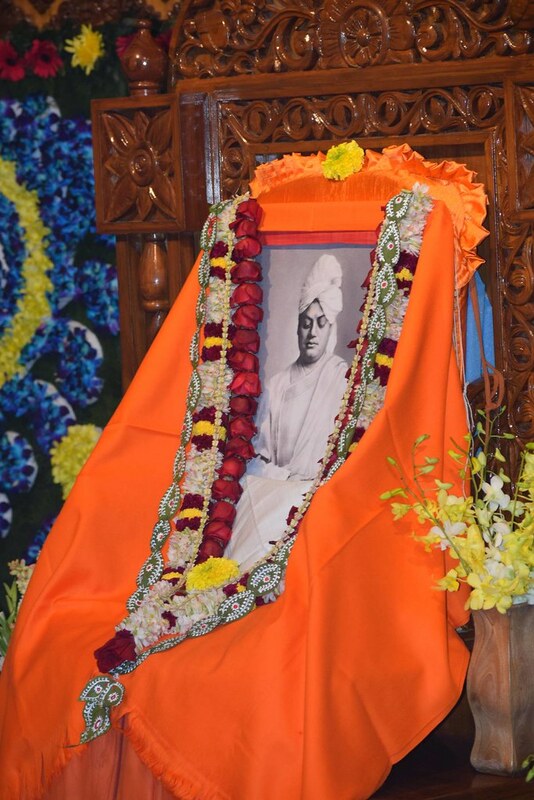 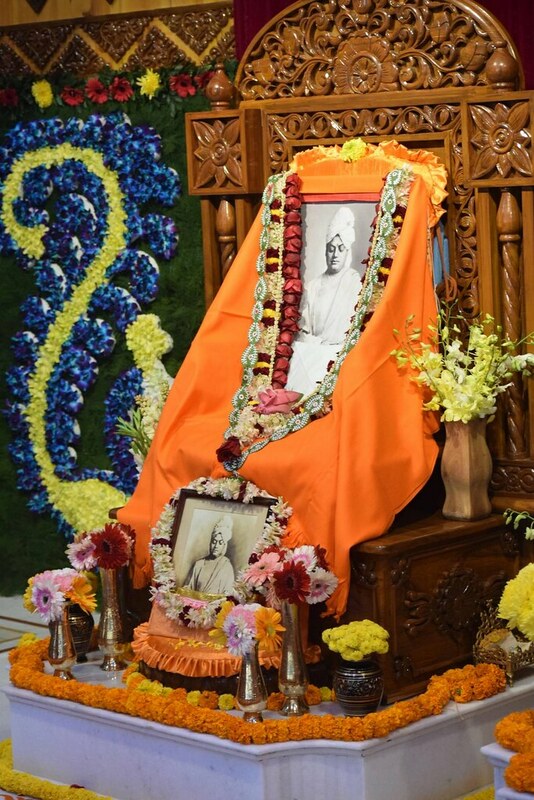 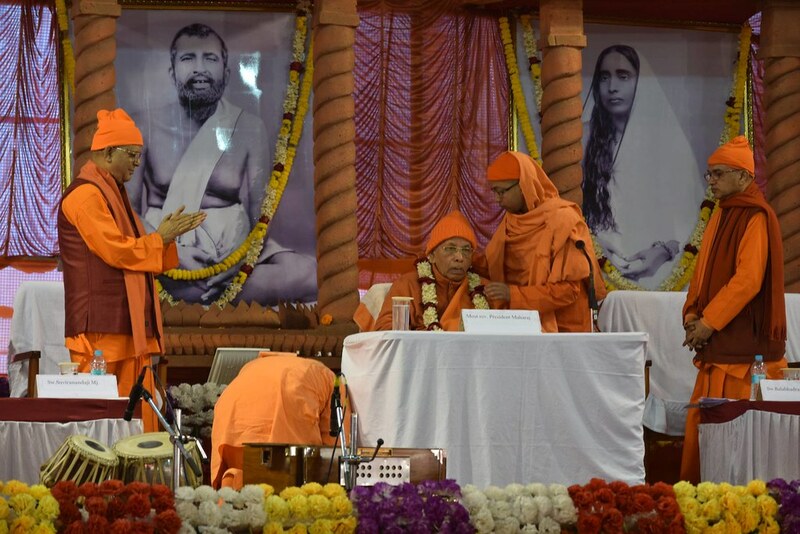 After the evening Aratrikam, a public meeting on the life and teachings of Holy Mother Sri Sarada Devi was arranged in which Swamis Suparnananda, Kripamayananda and Devapriyananda spoke and Swami Divyananda presided. 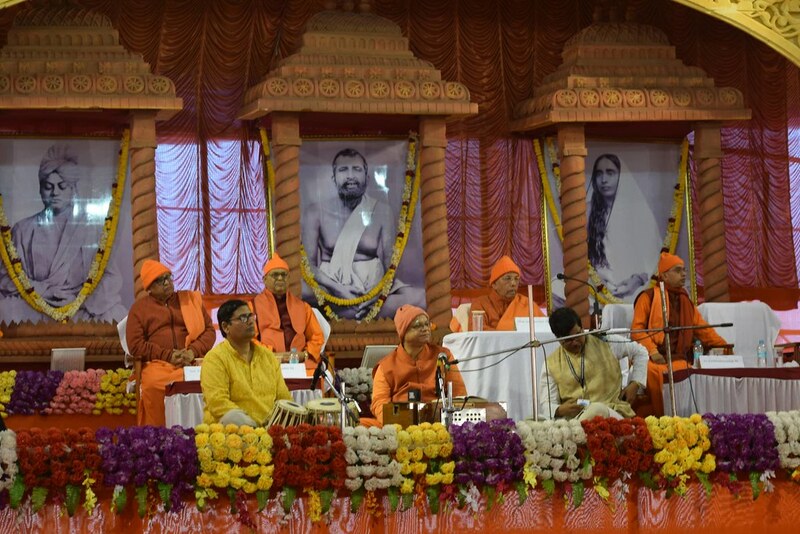 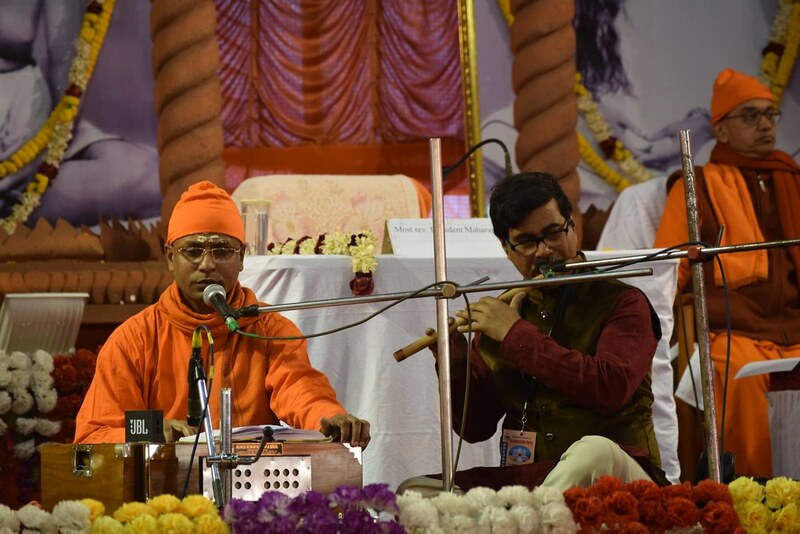 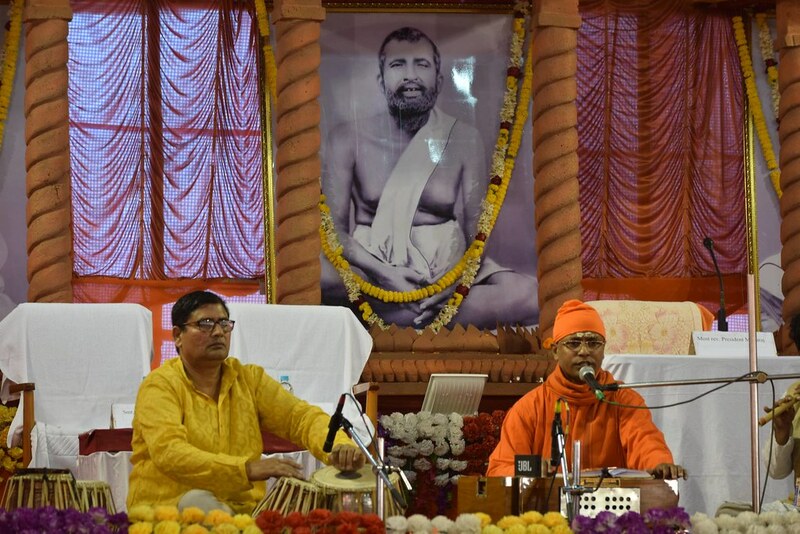 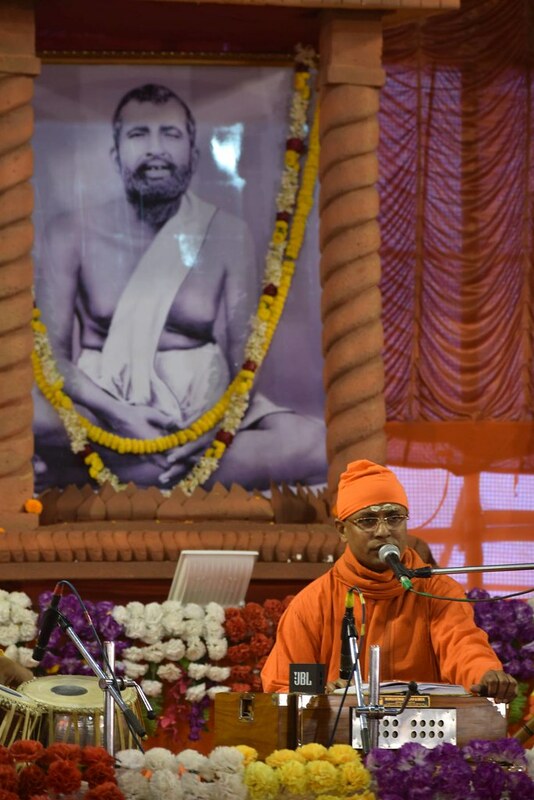 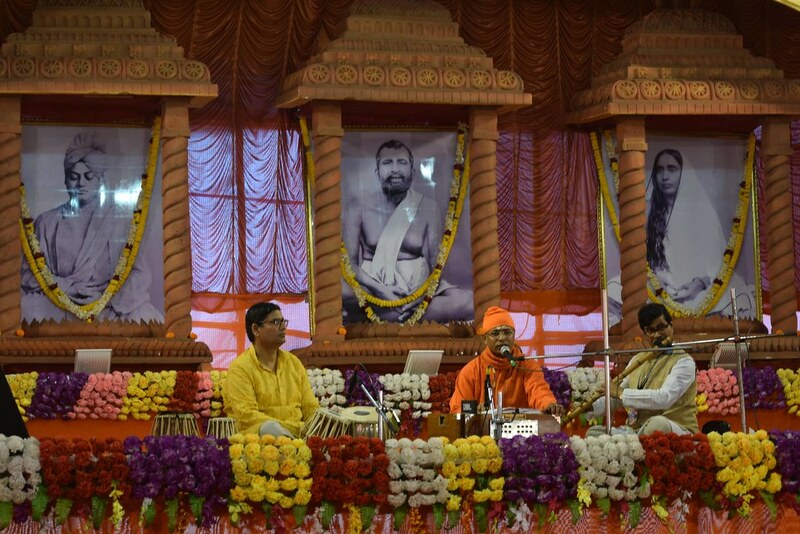 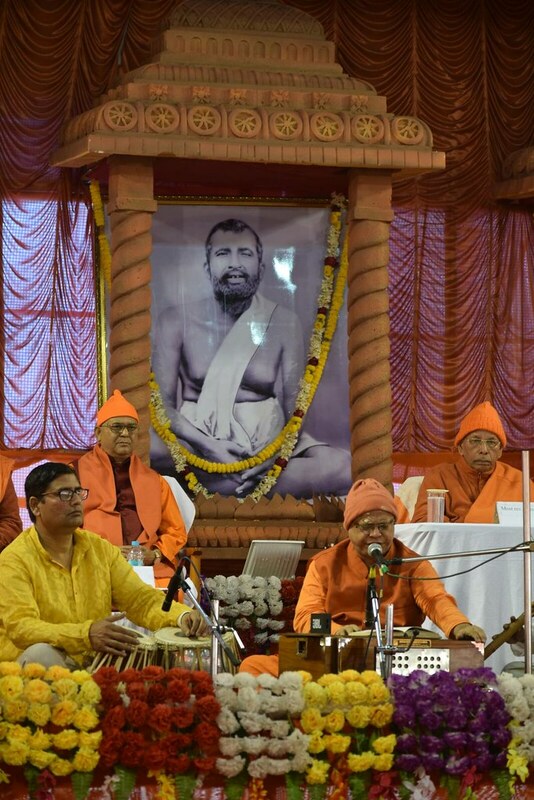 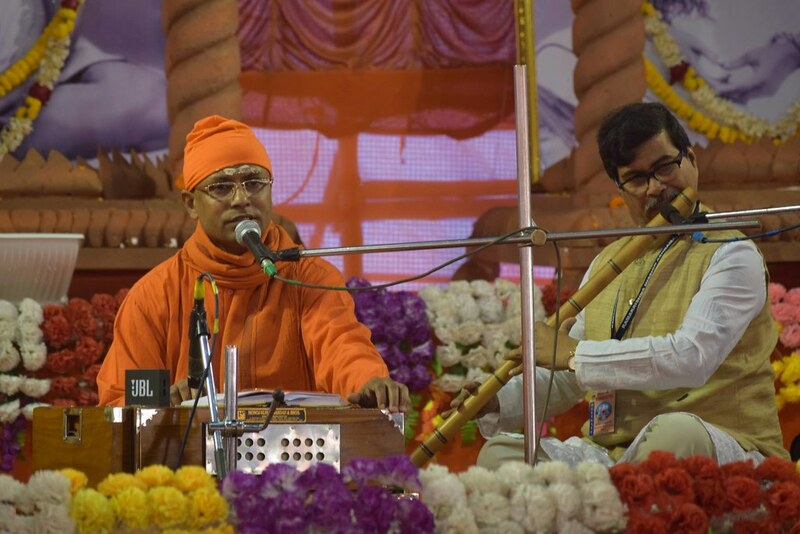 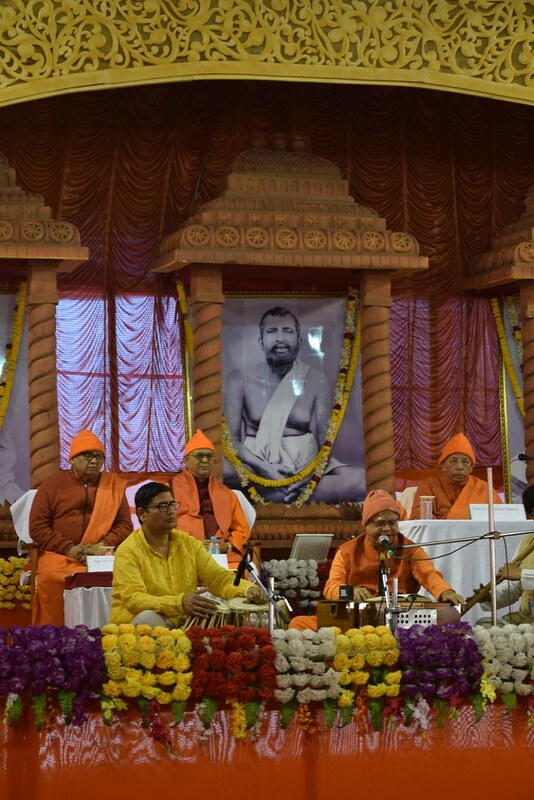 Swami Kripakarananda sang the opening song. 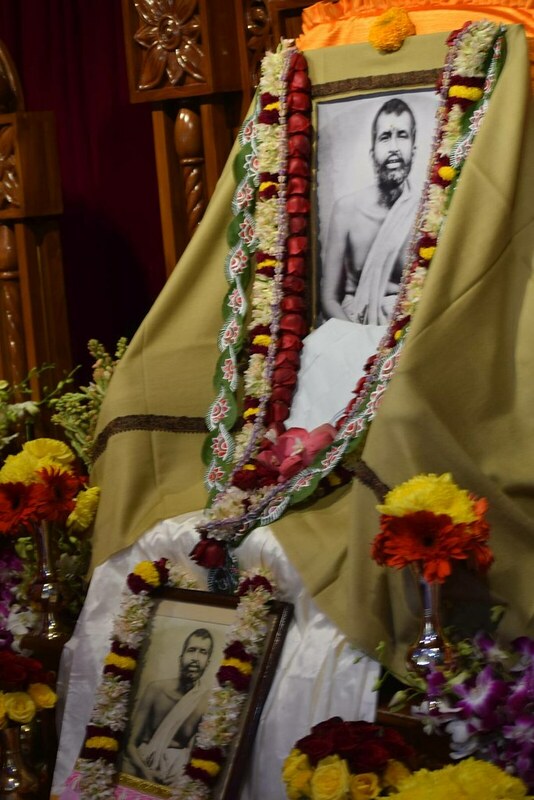 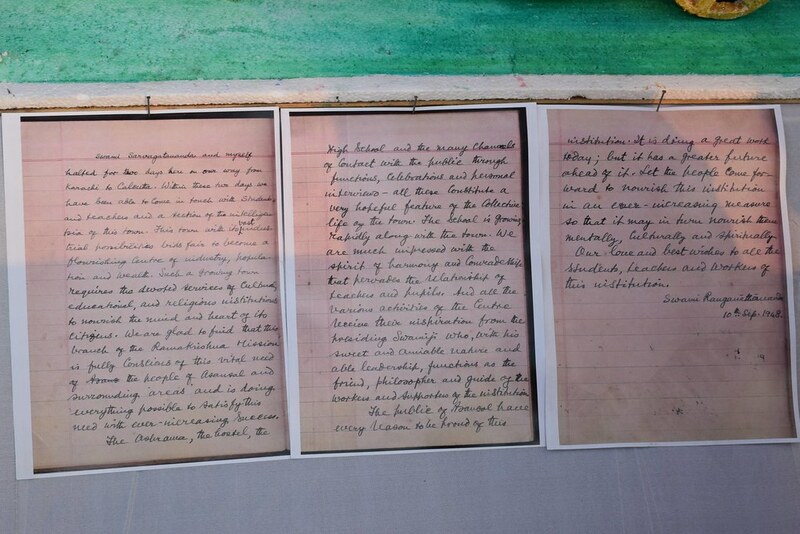 Similar meetings were held in the evenings of 19th and 21st January also on Sri Ramakrishna and Swami Vivekananda, presided over by Swami Suvirananda and Swami Sarvalokananda, respectively.